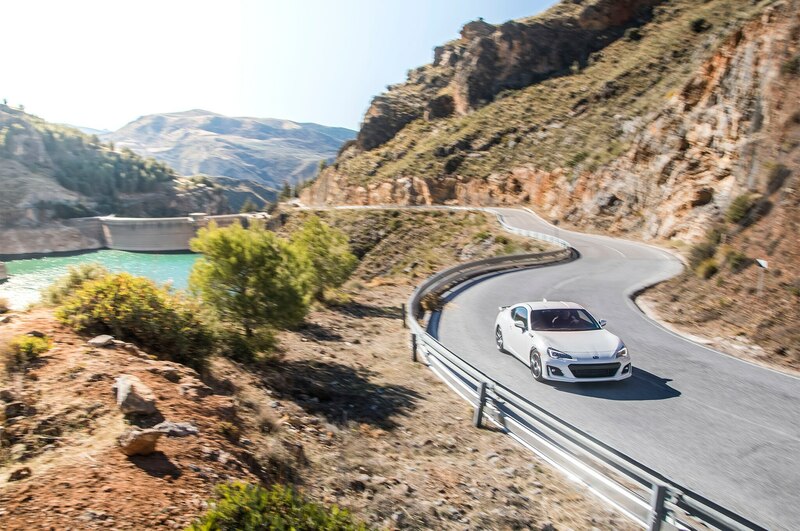 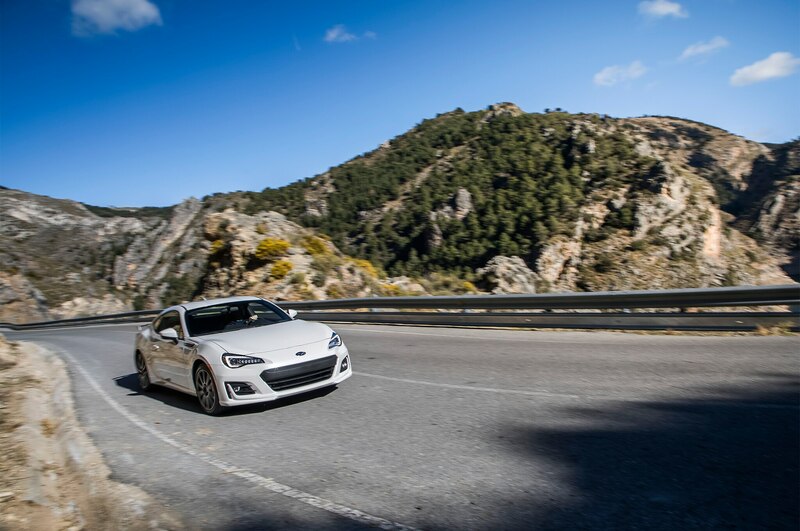 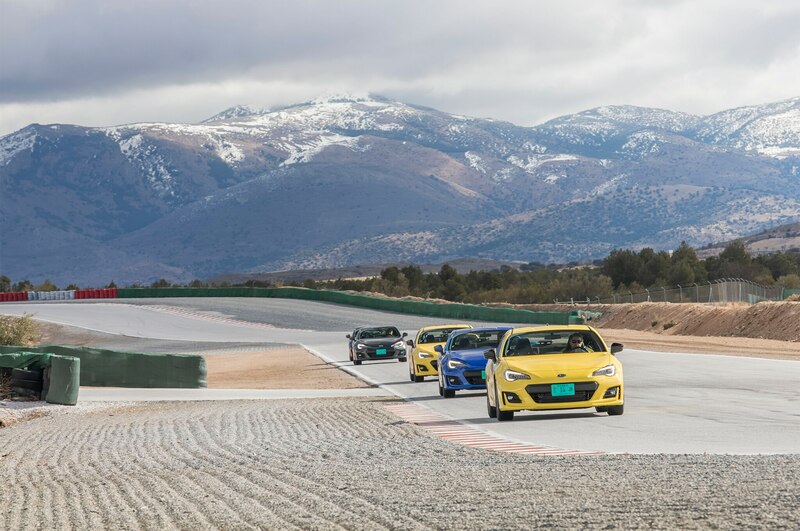 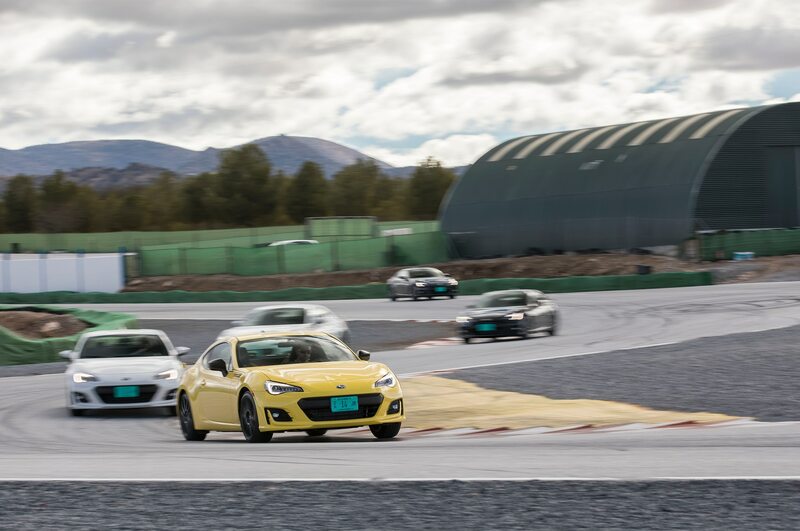 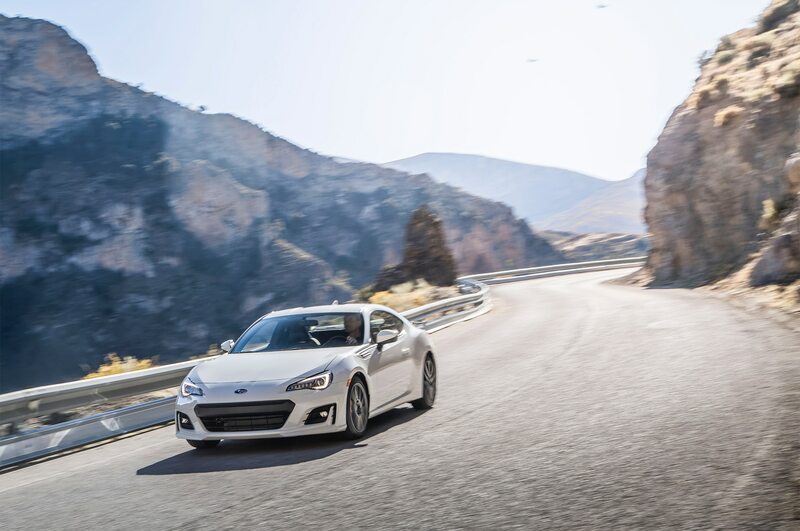 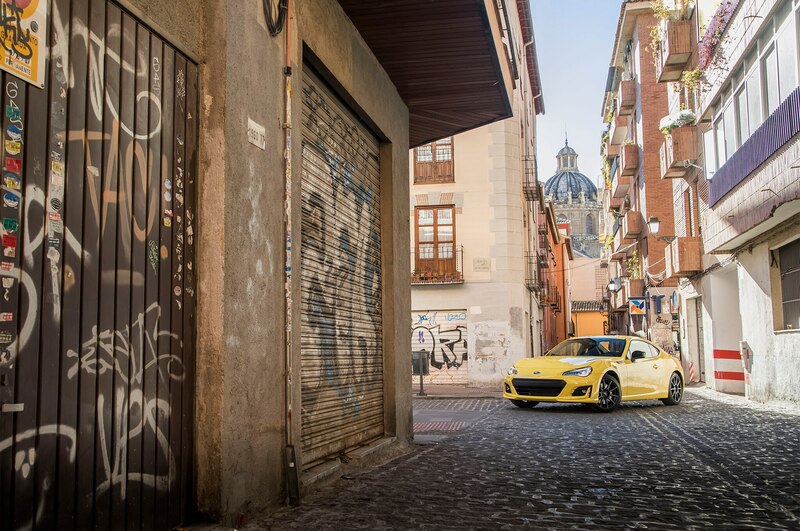 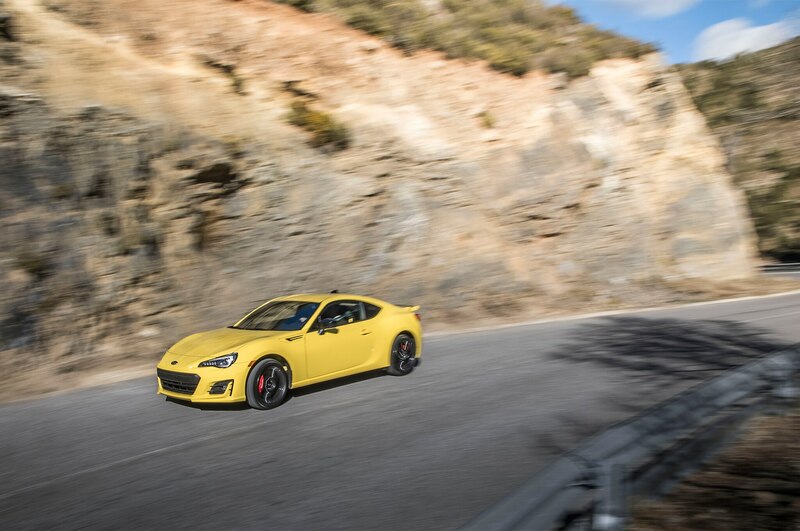 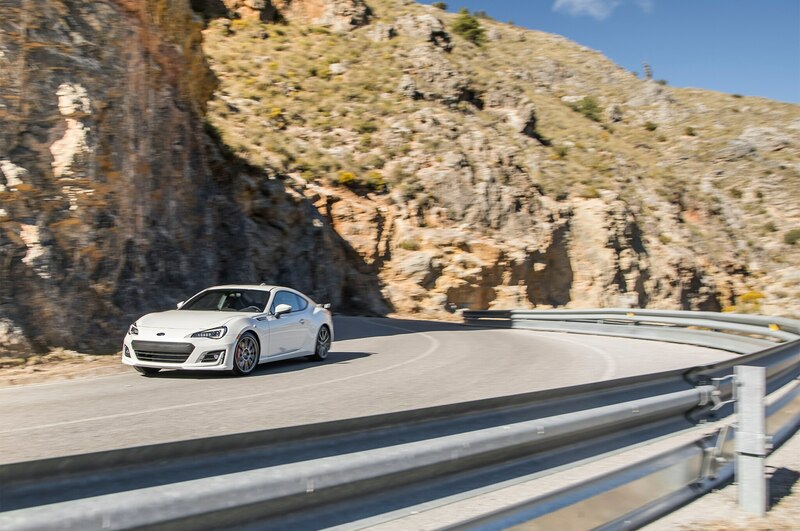 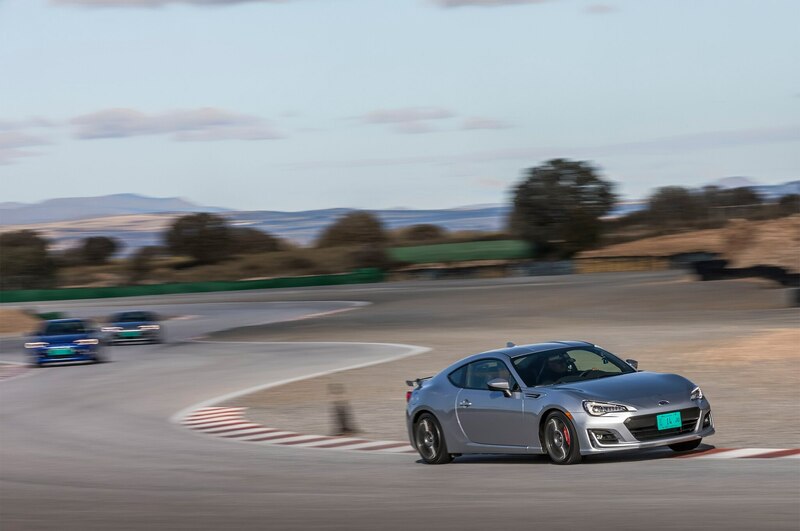 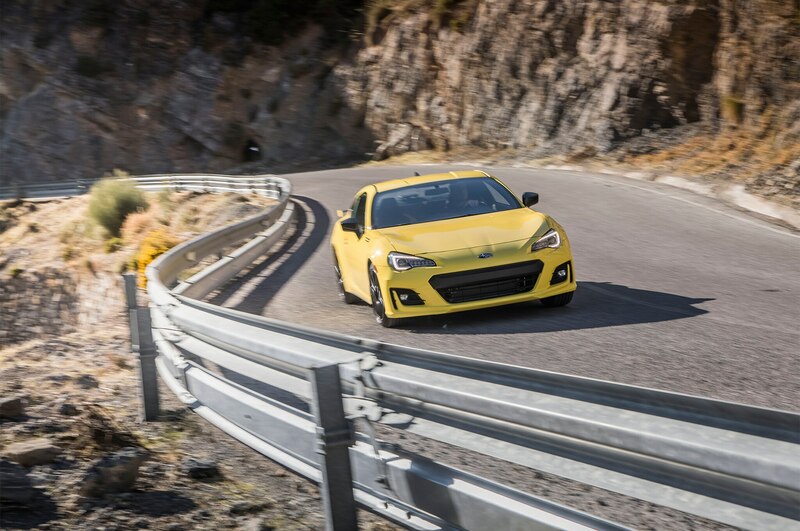 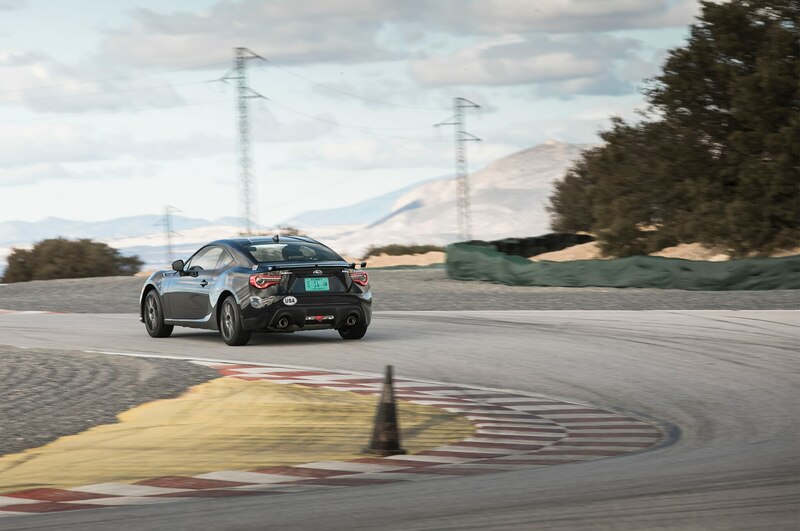 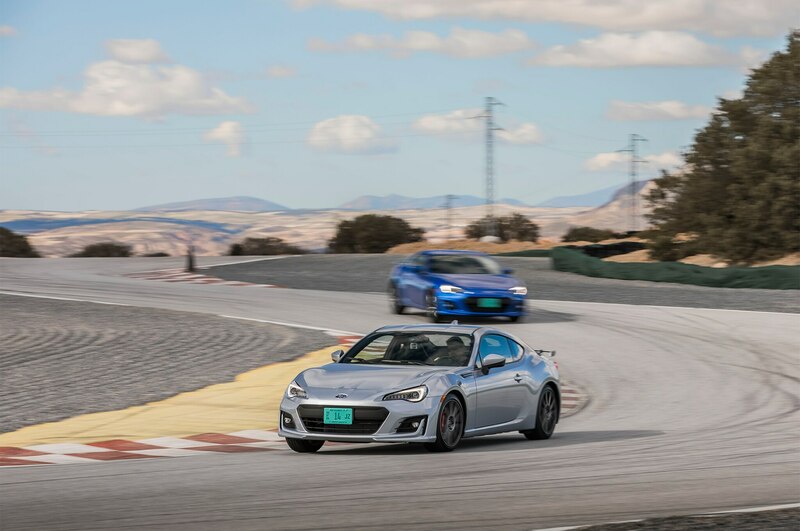 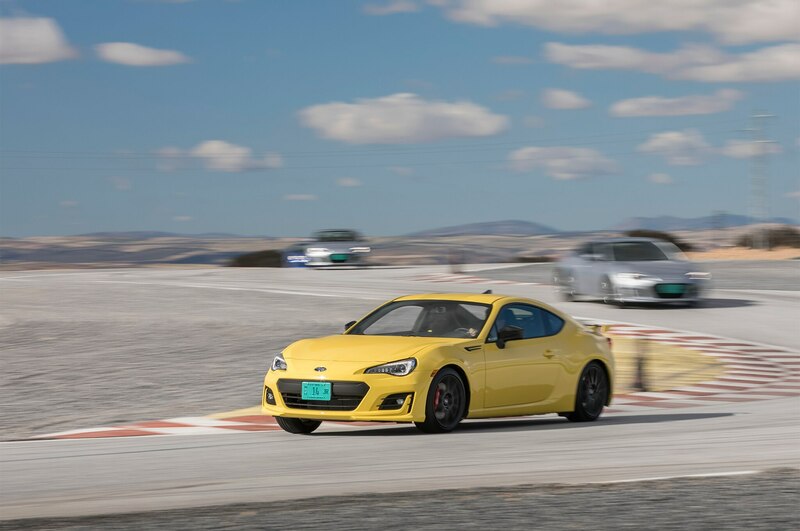 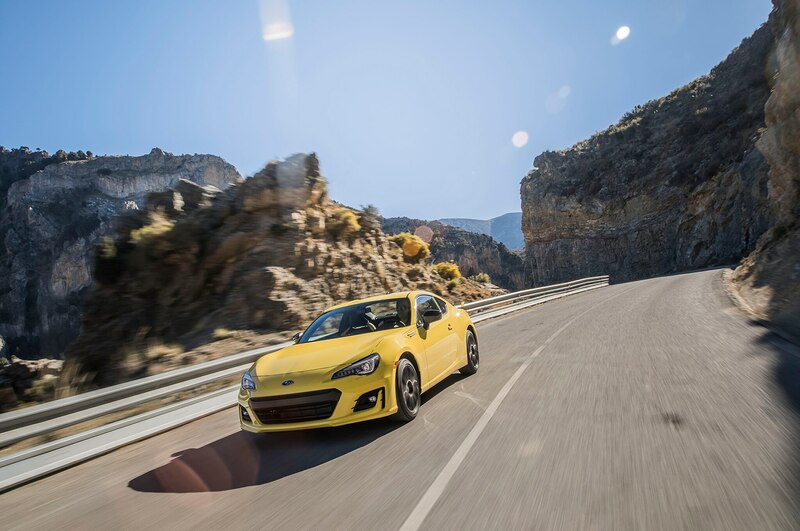 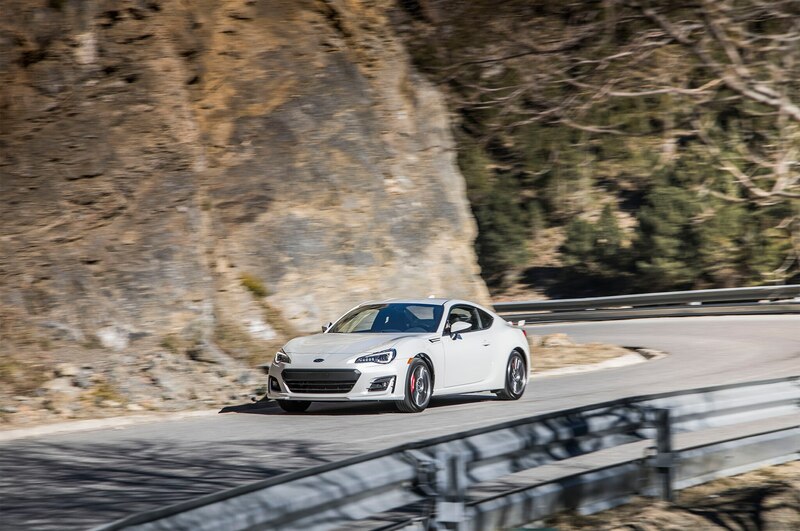 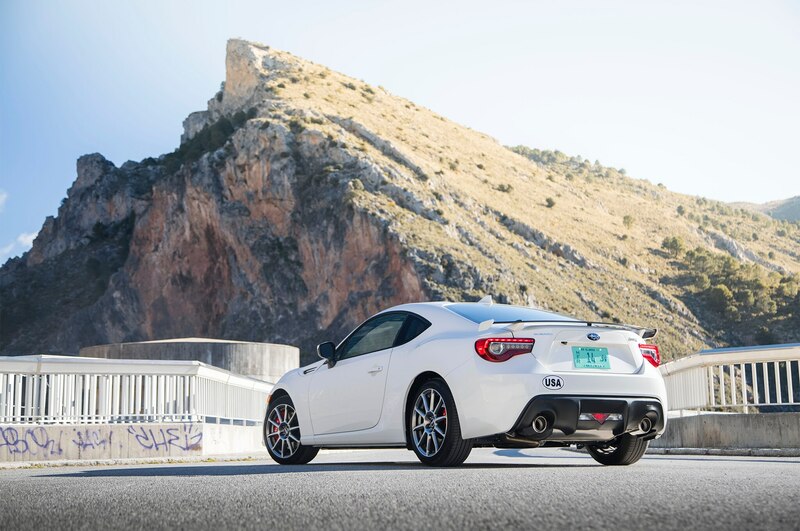 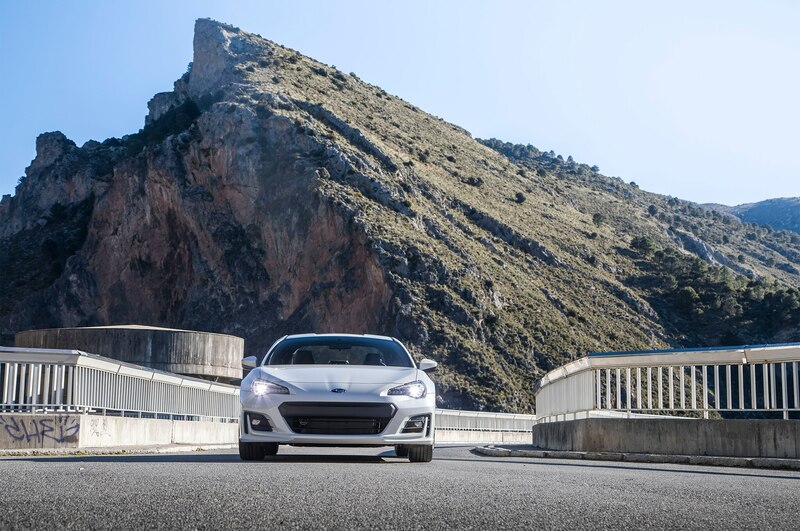 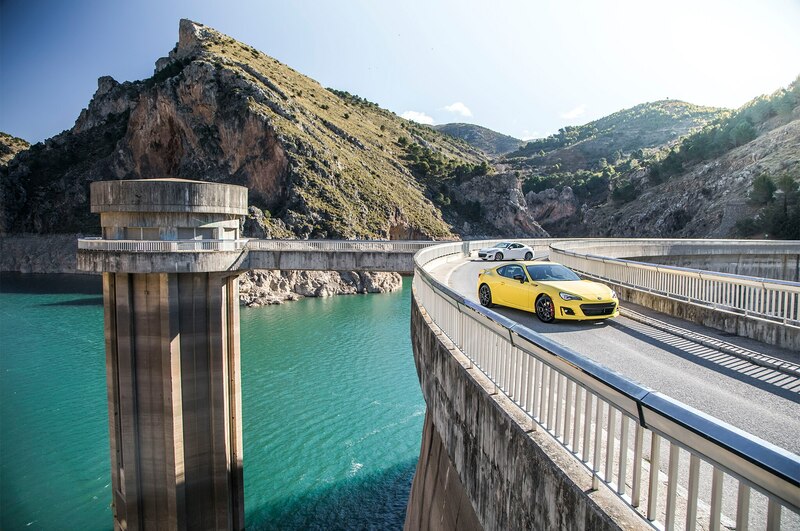 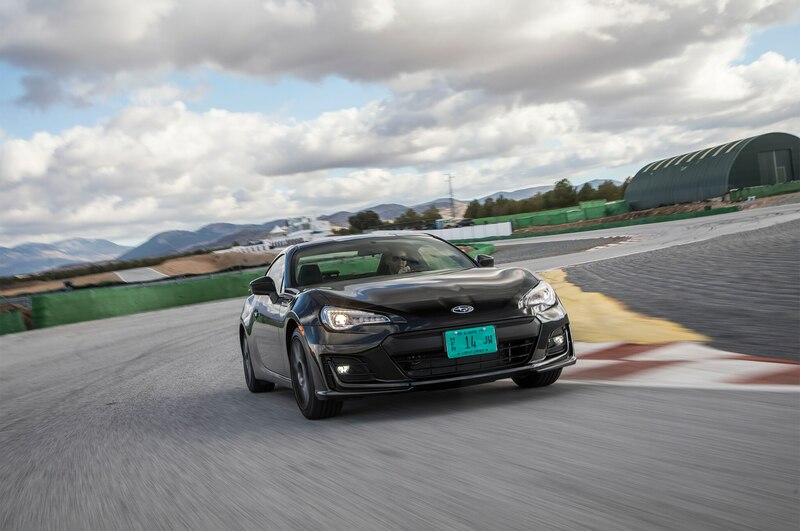 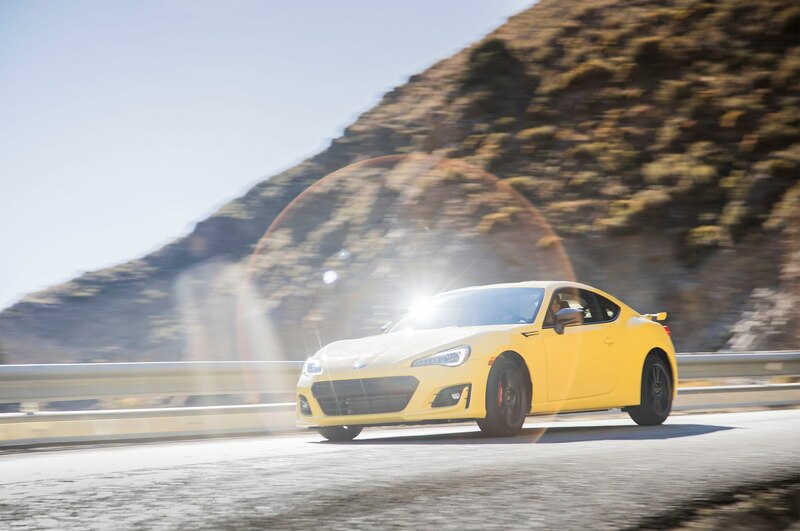 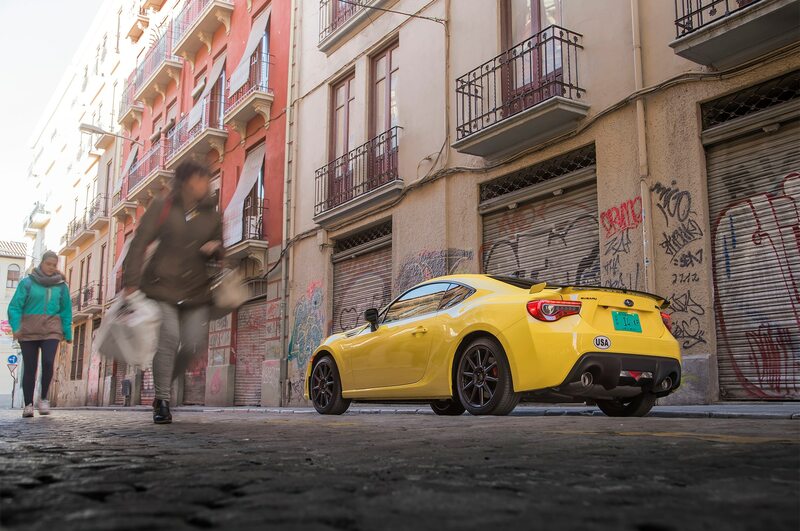 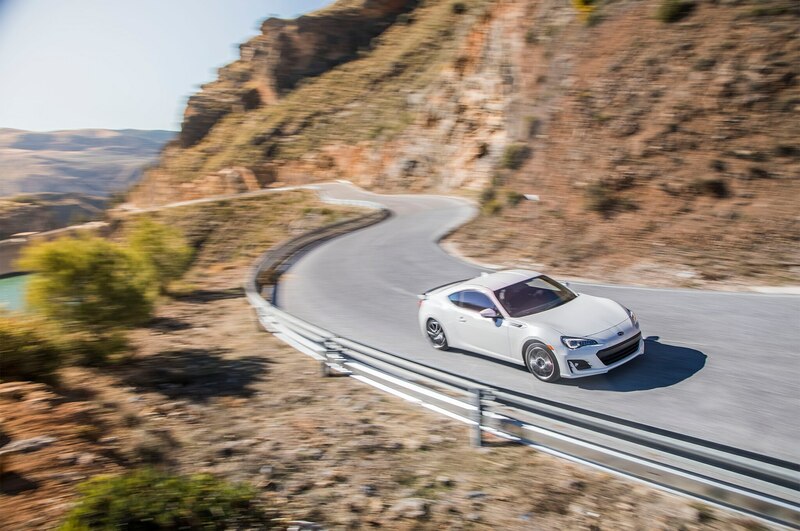 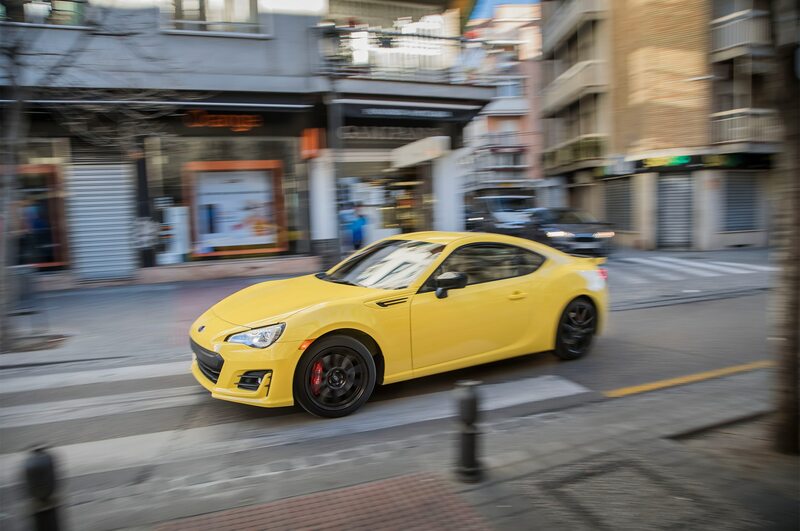 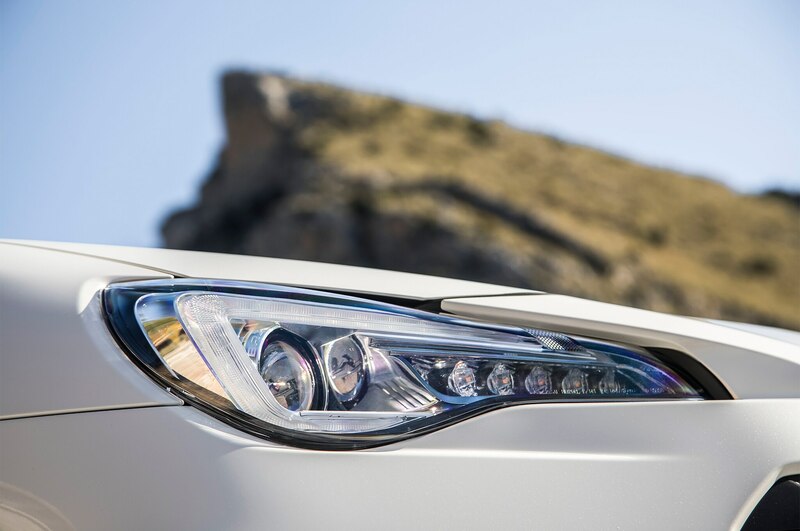 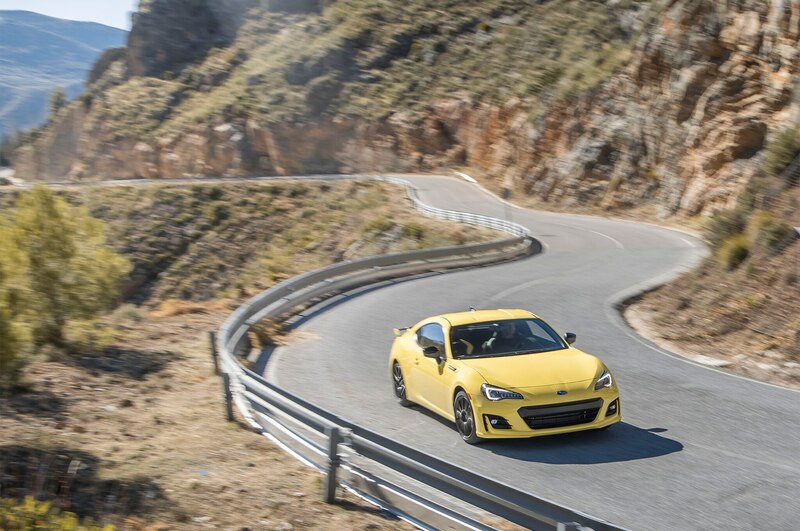 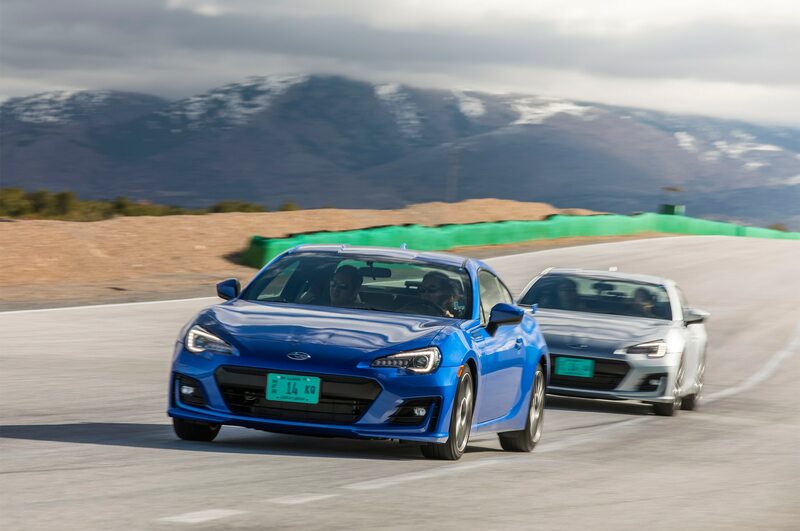 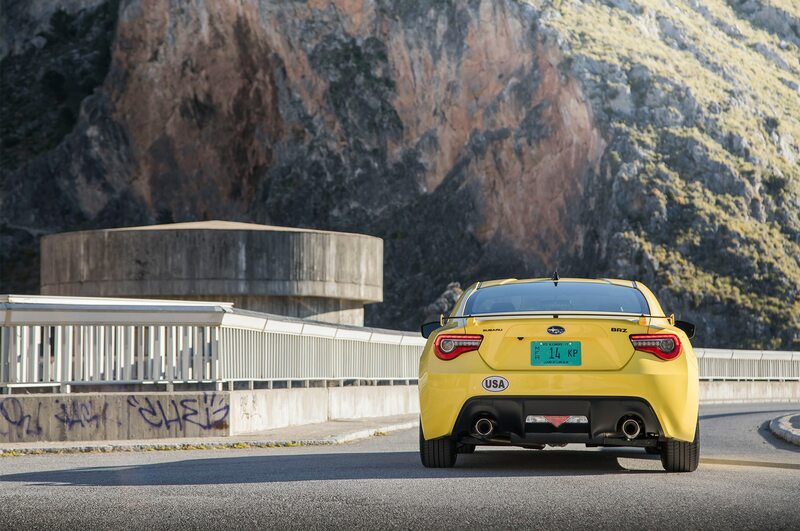 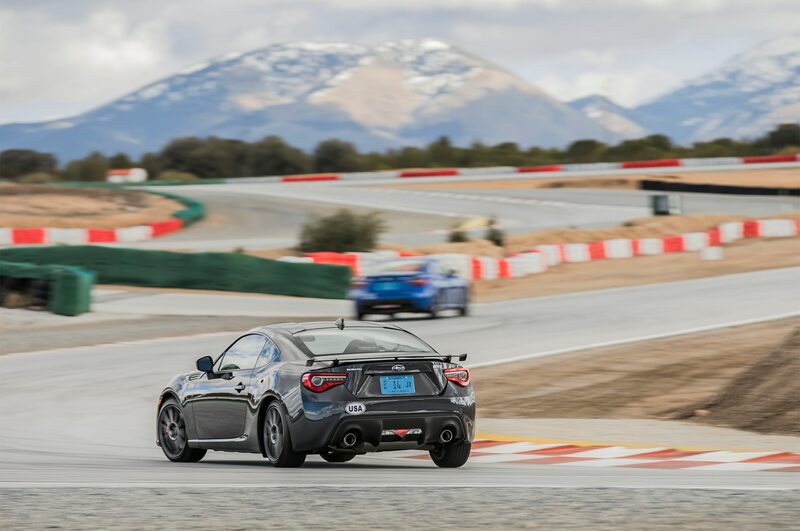 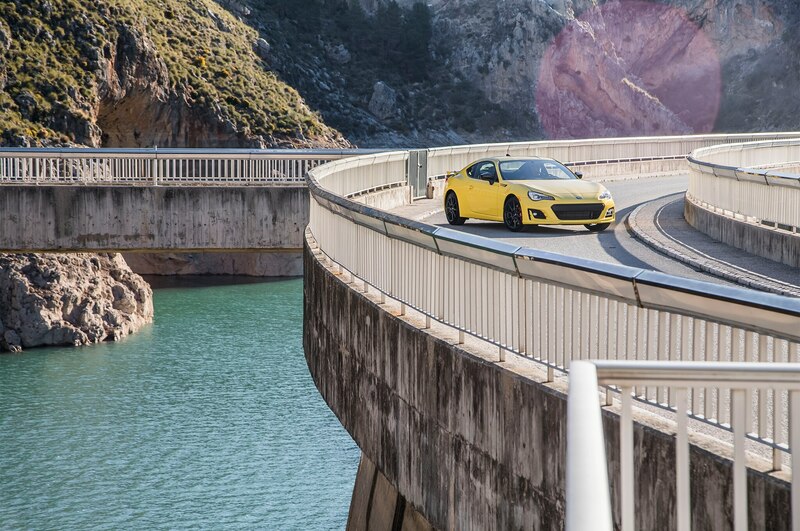 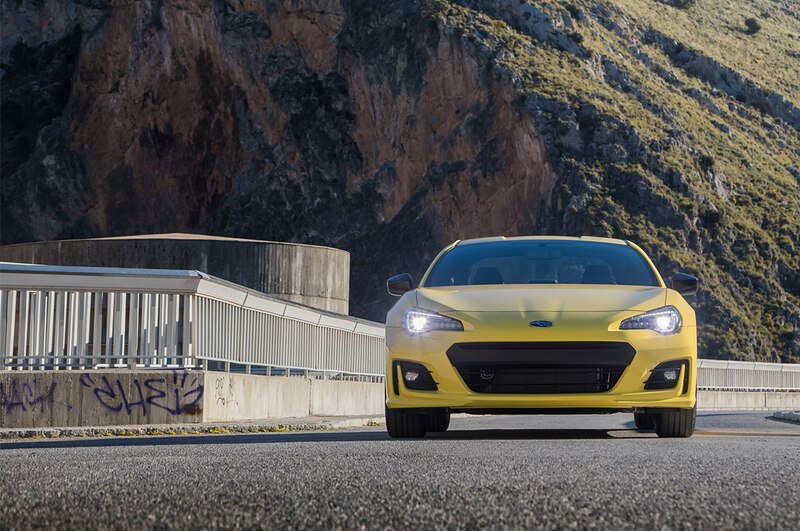 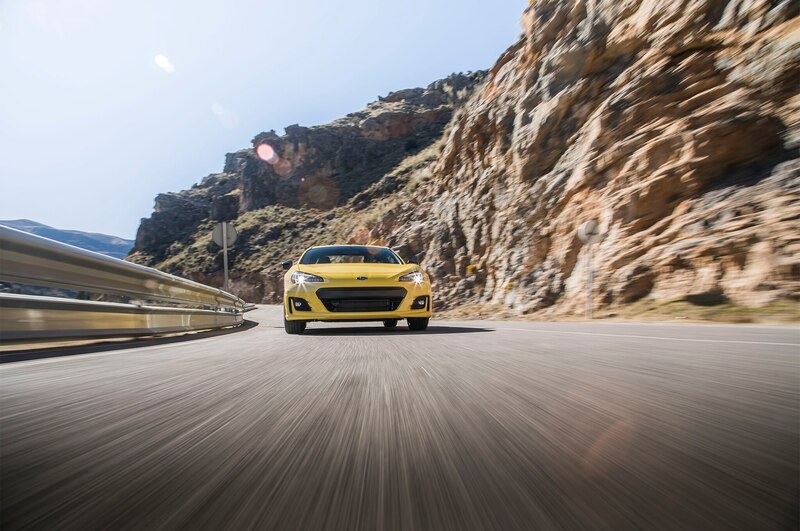 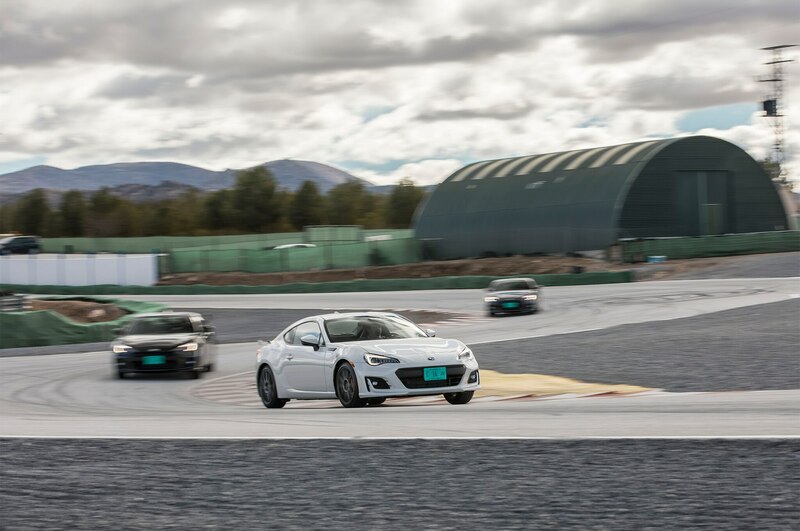 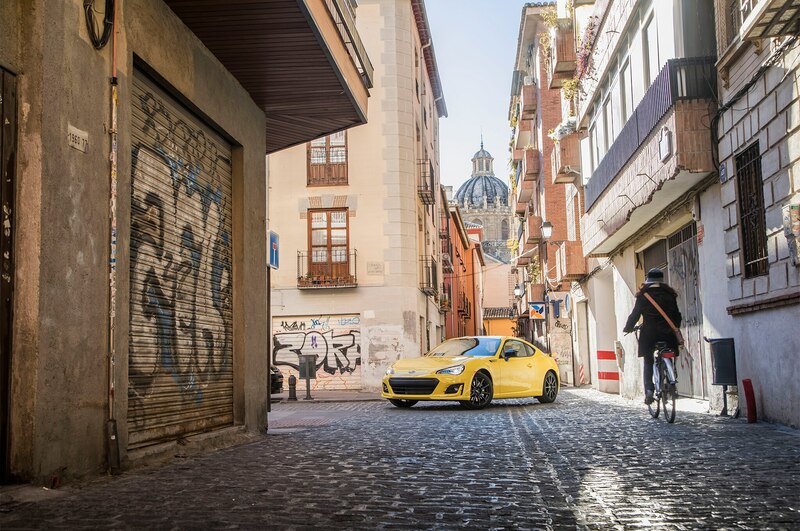 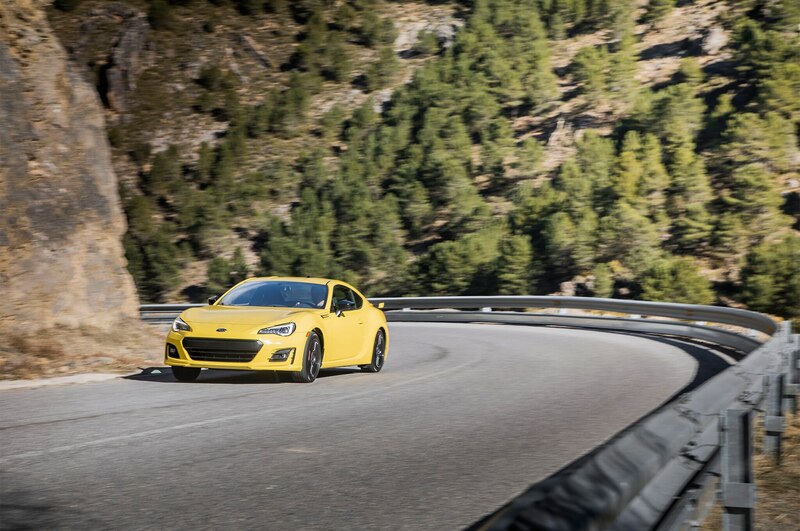 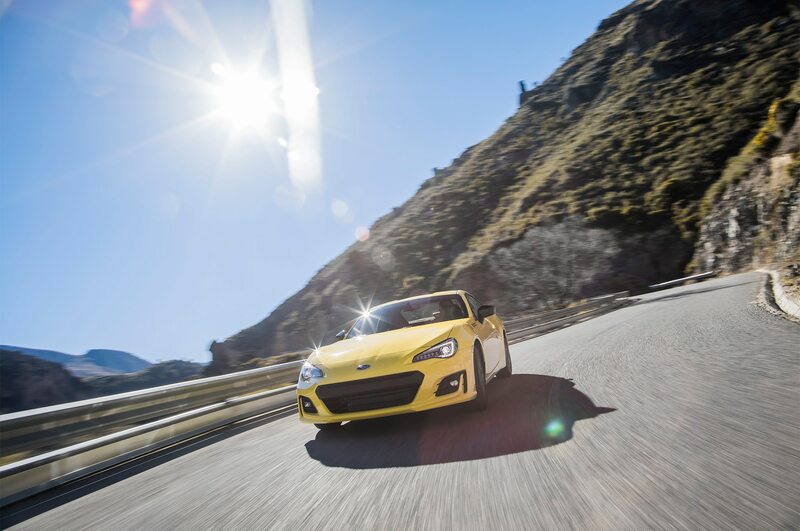 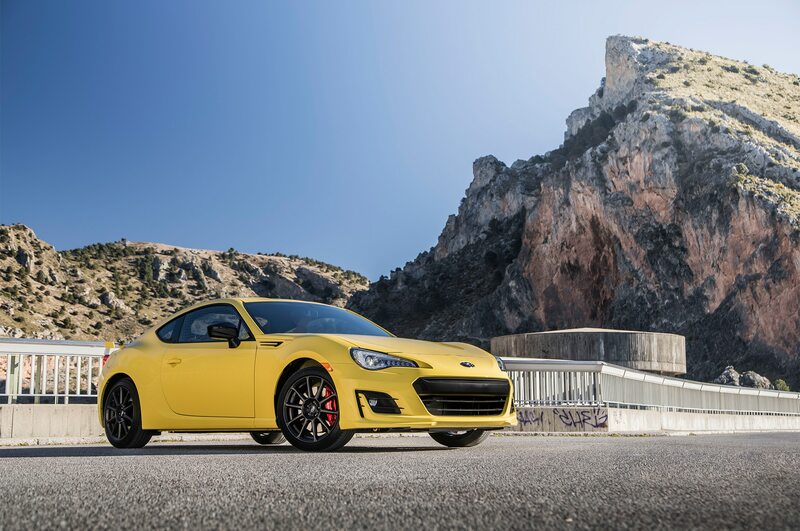 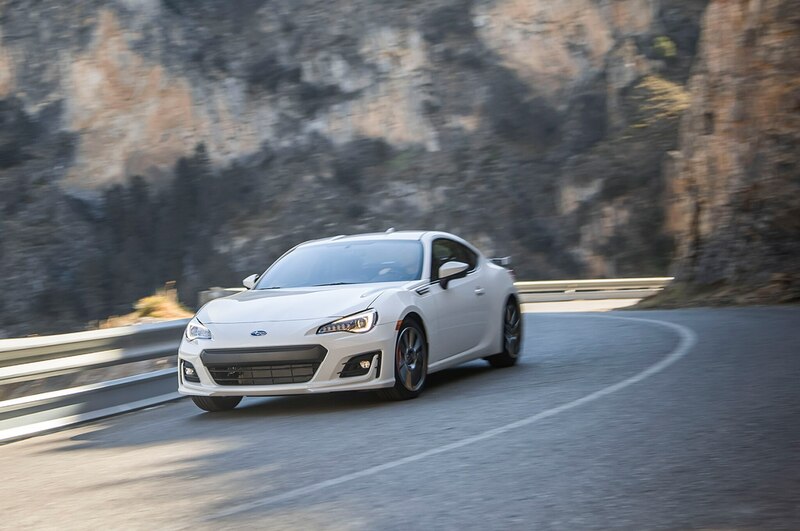 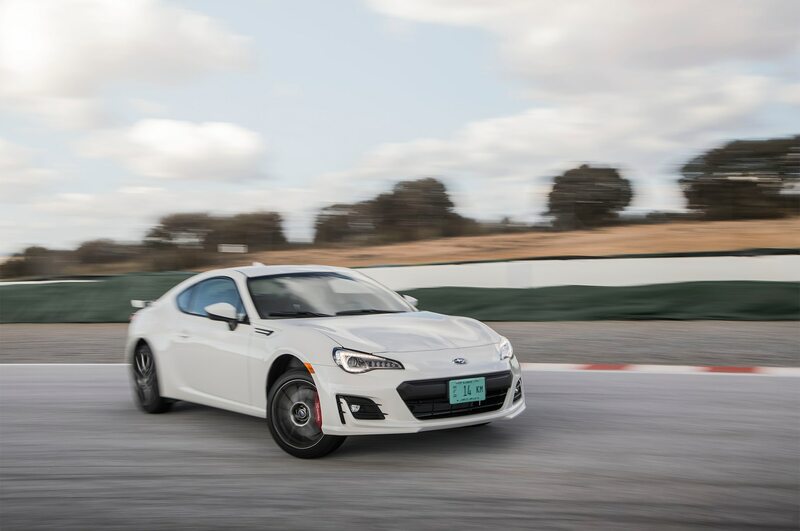 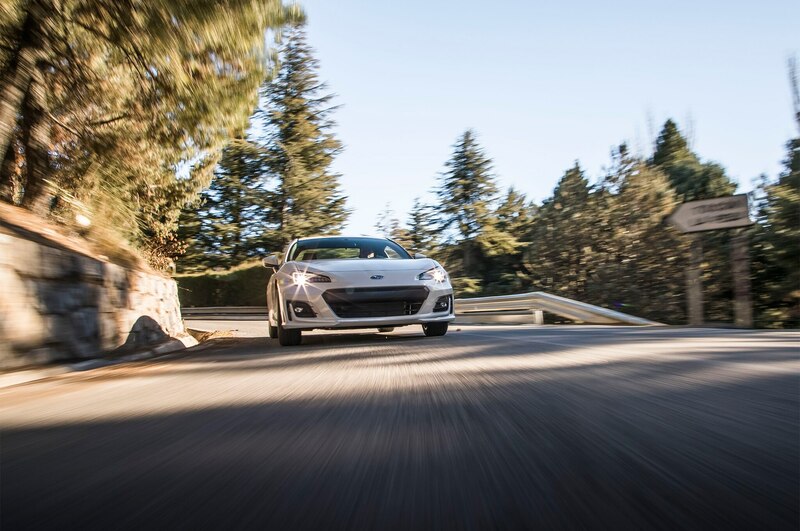 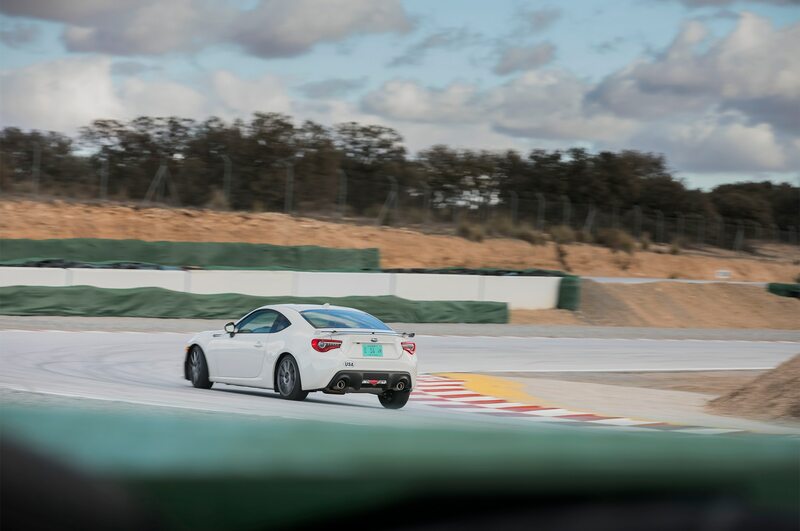 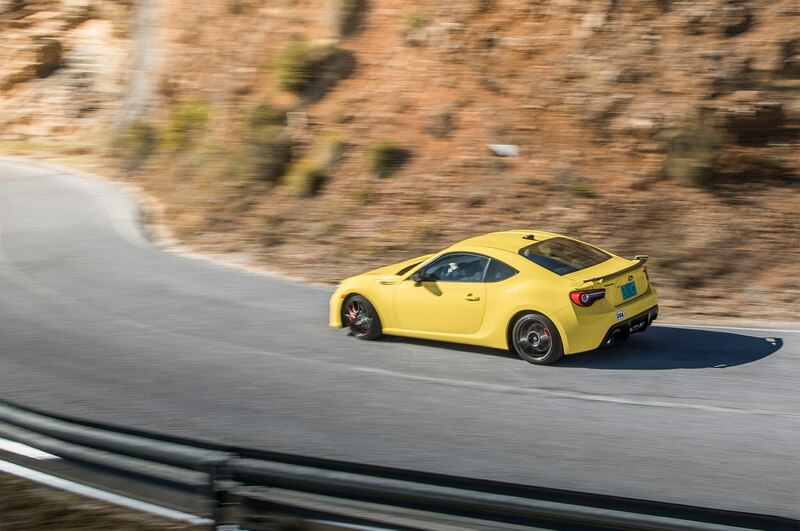 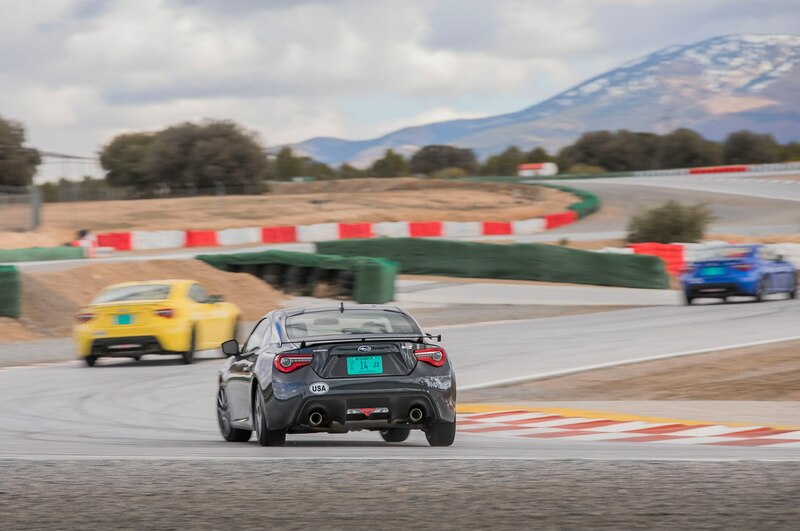 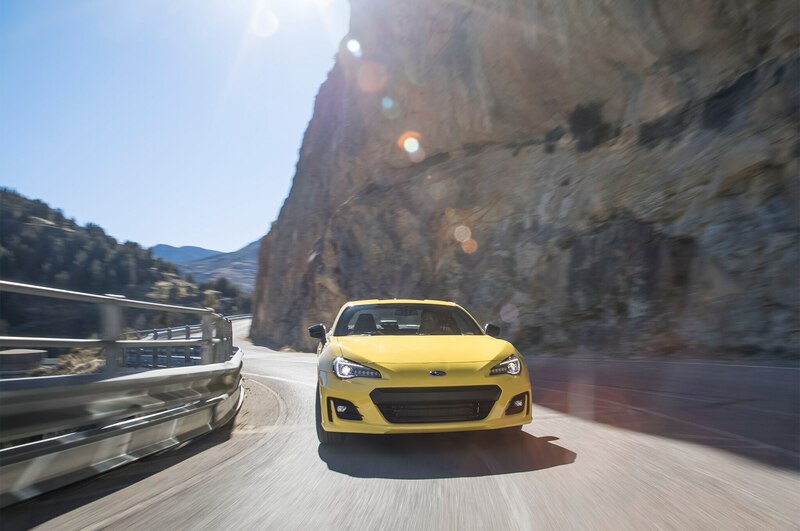 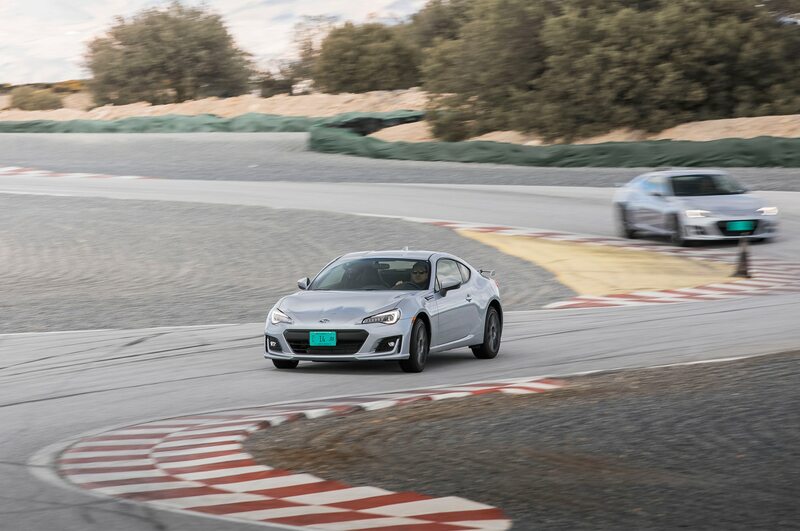 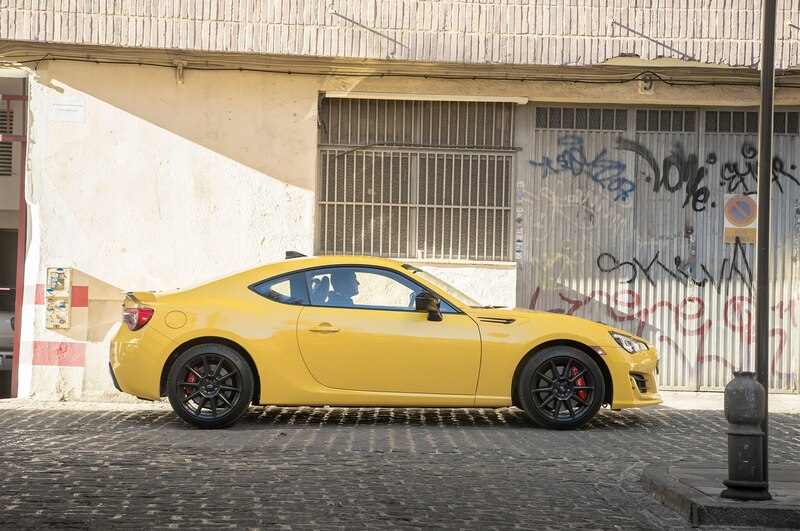 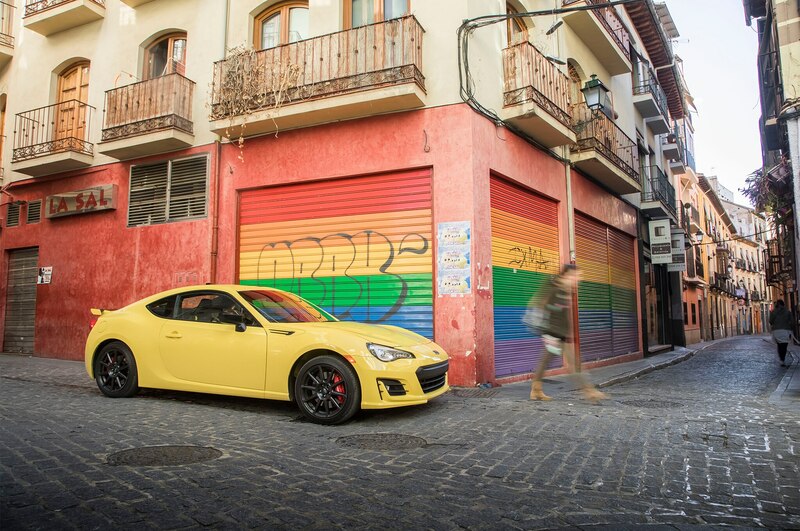 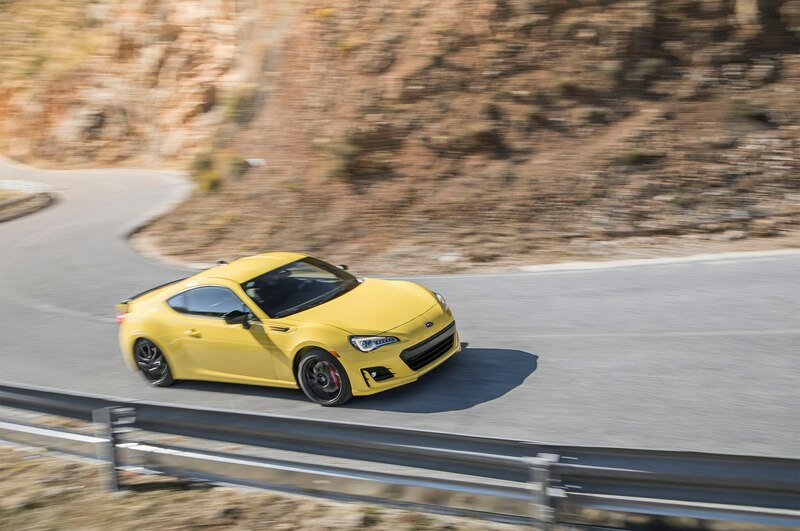 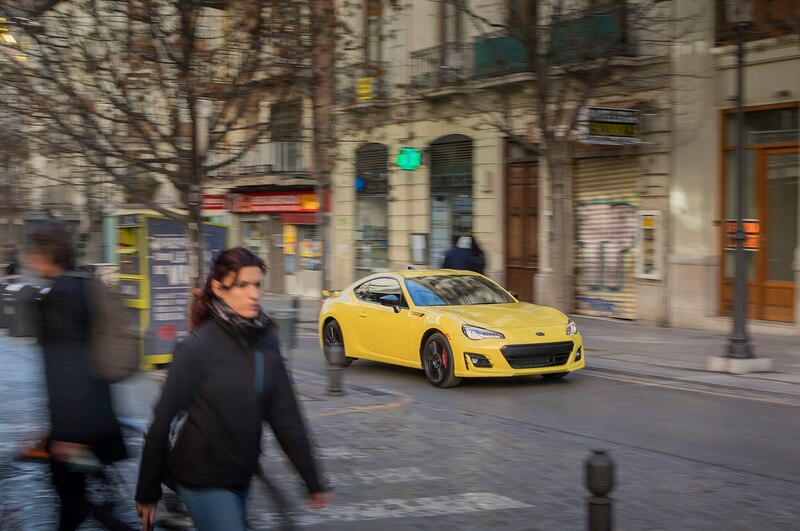 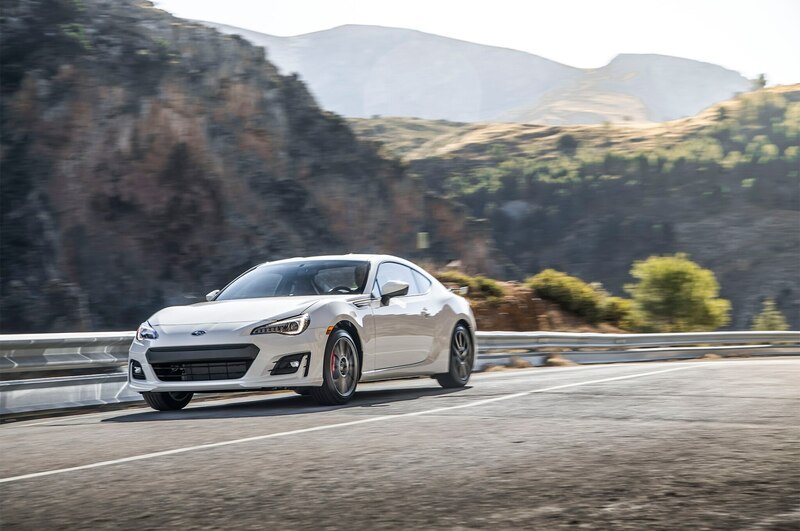 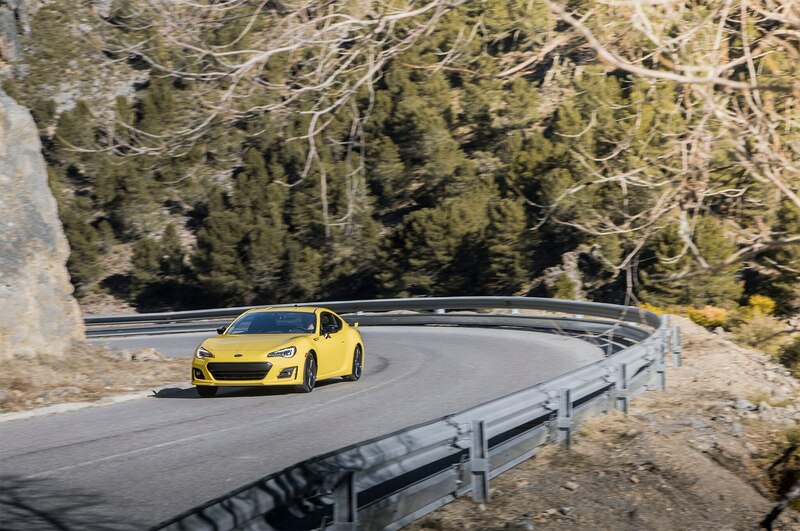 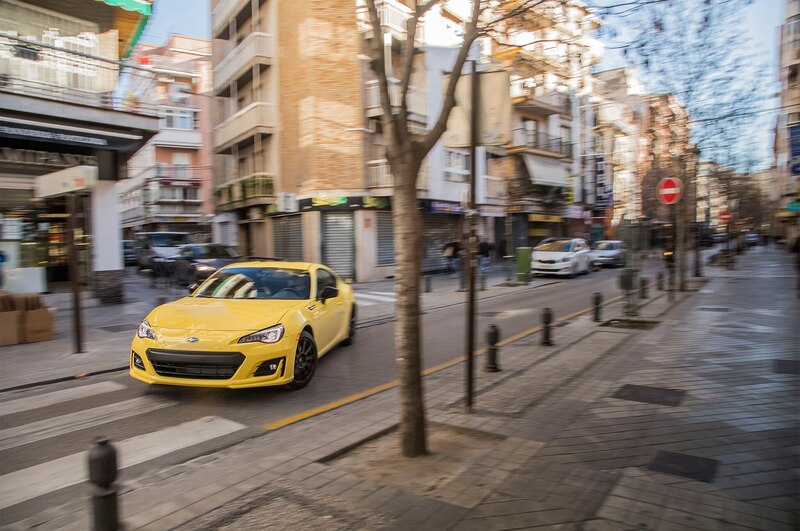 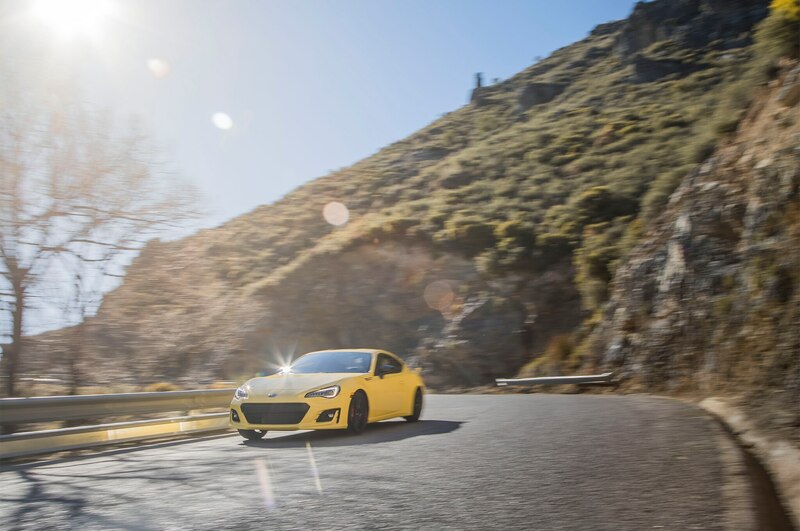 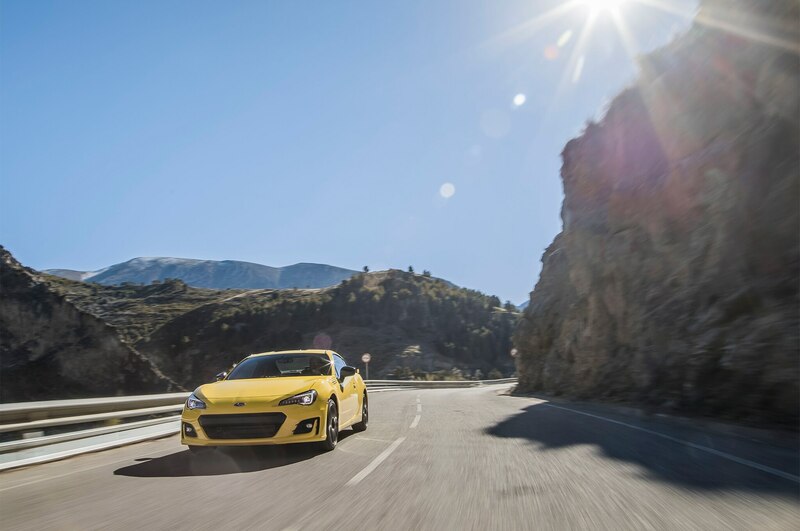 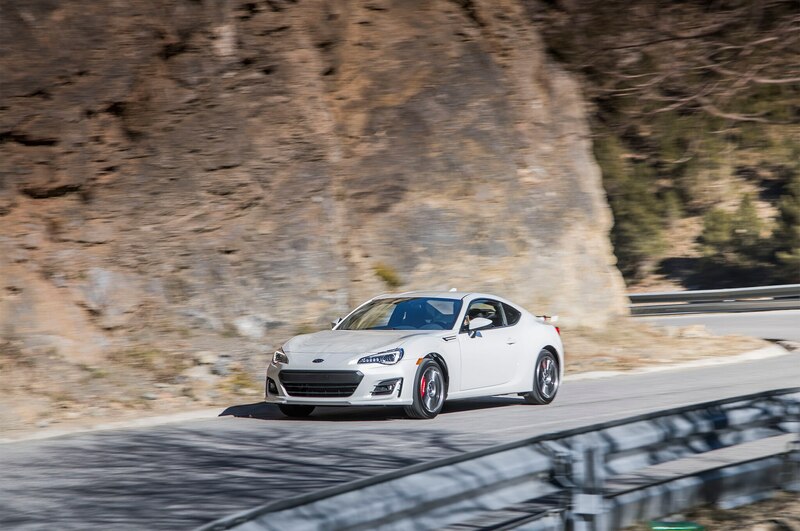 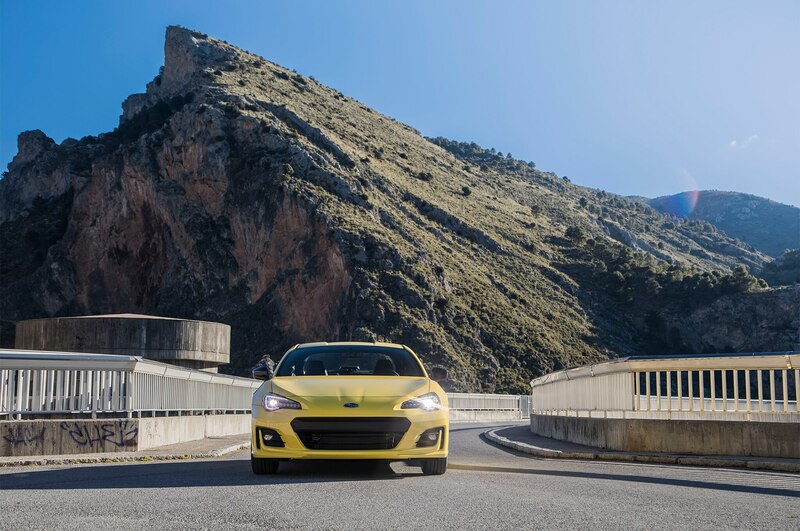 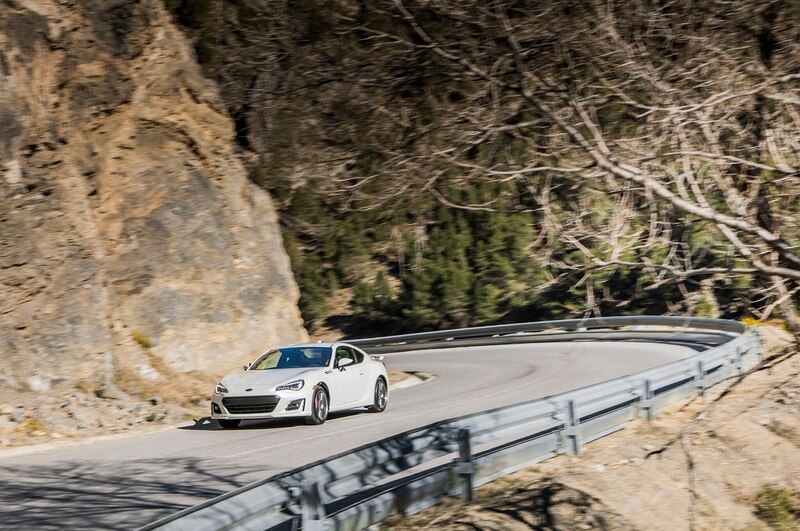 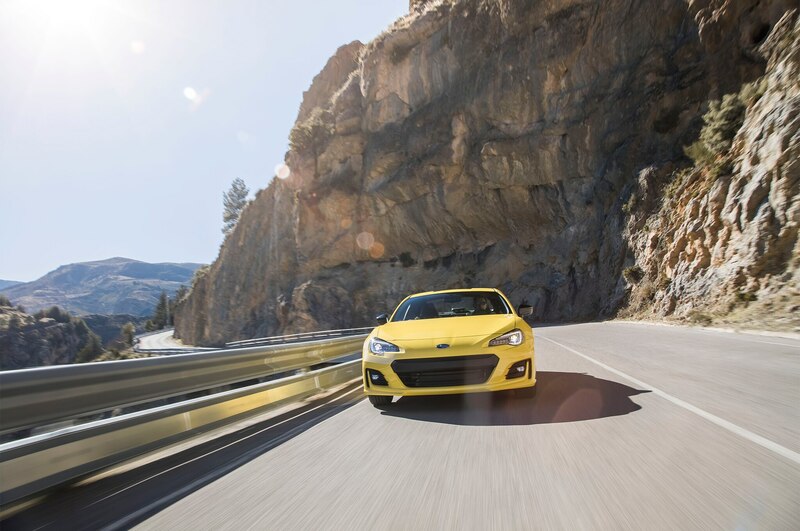 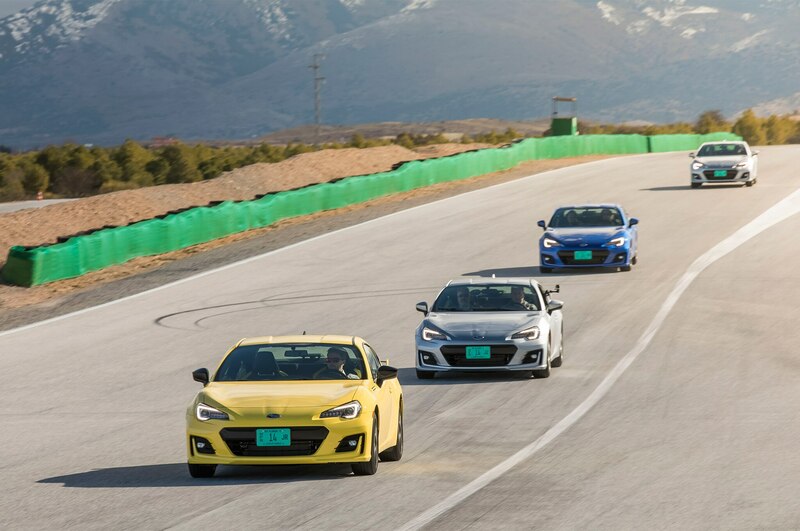 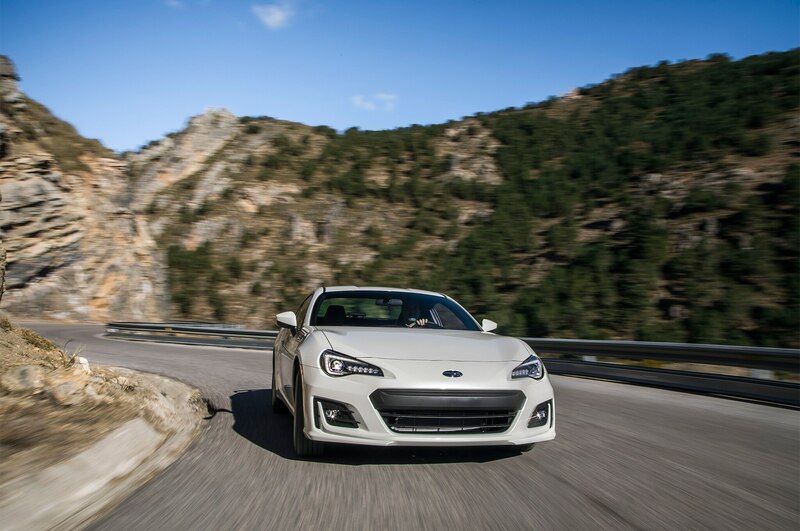 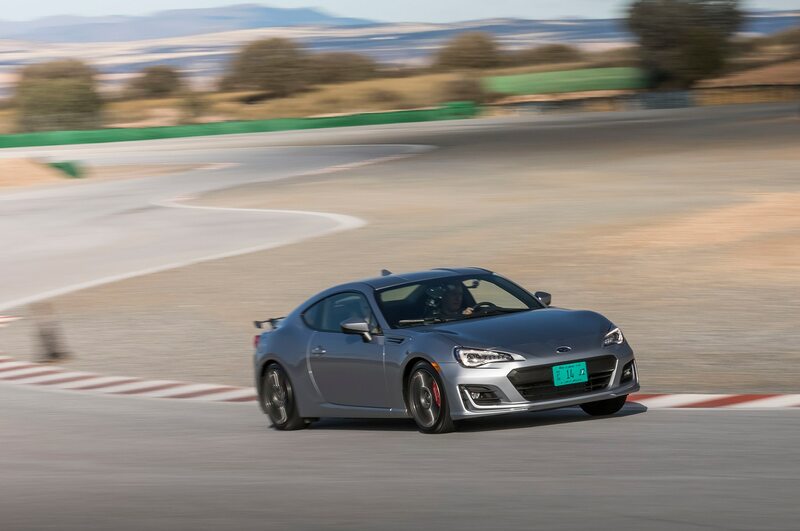 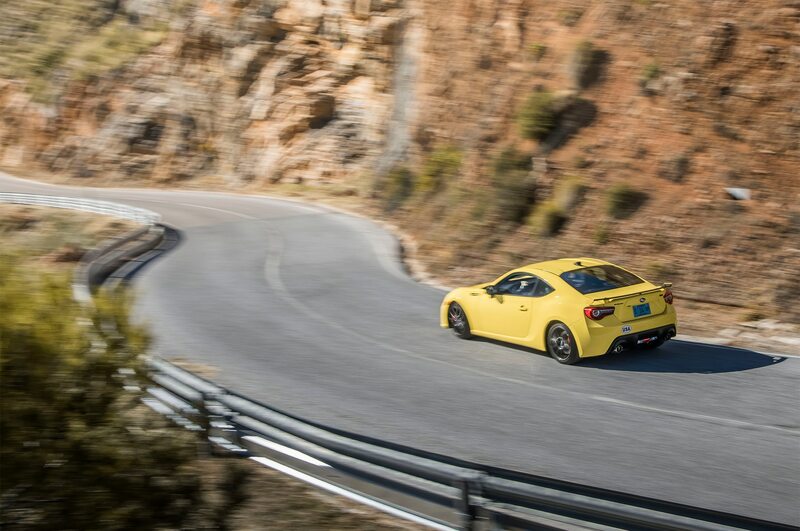 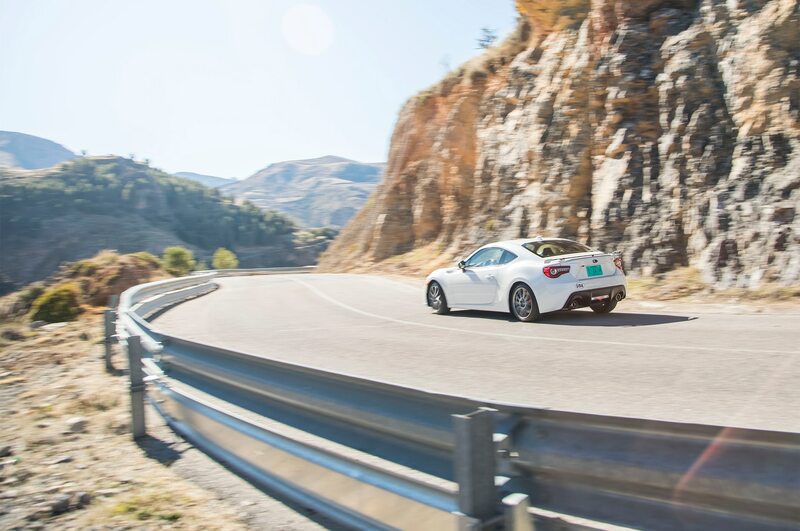 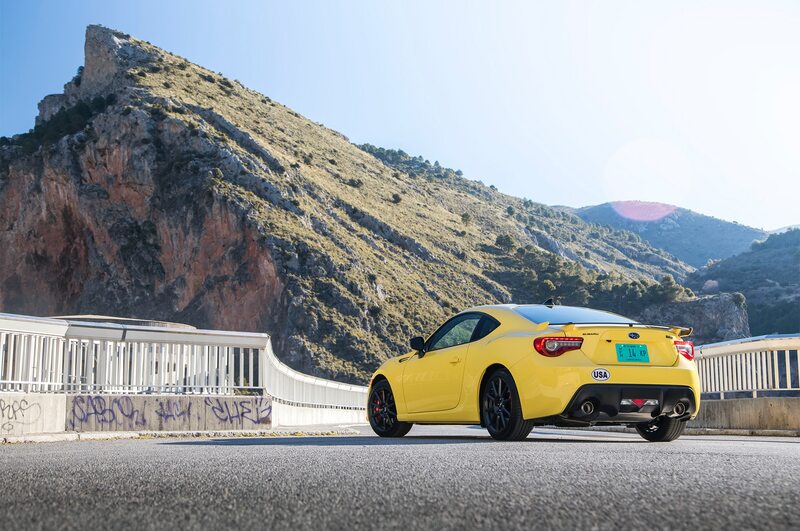 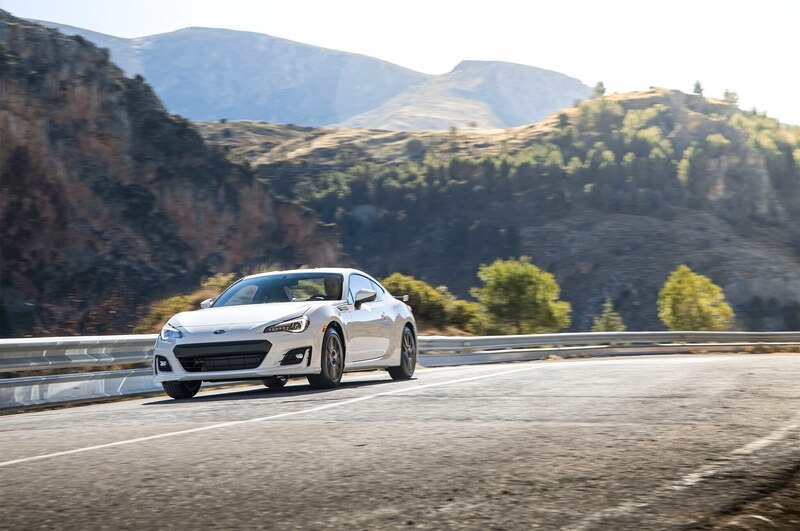 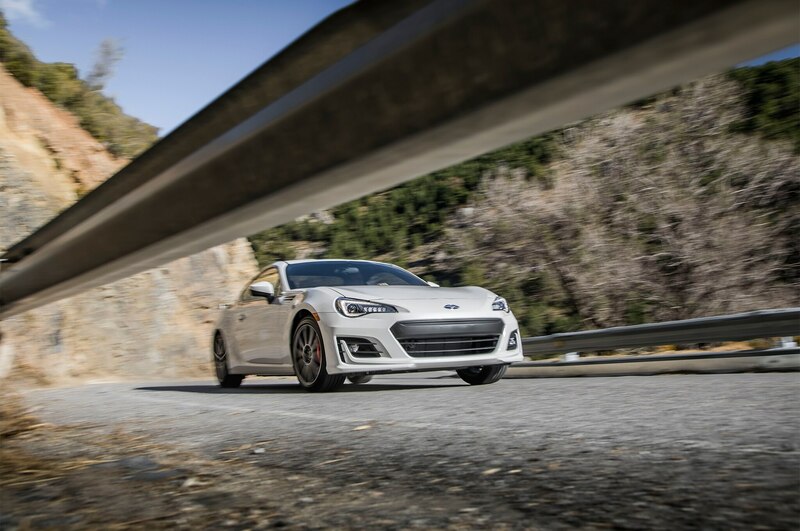 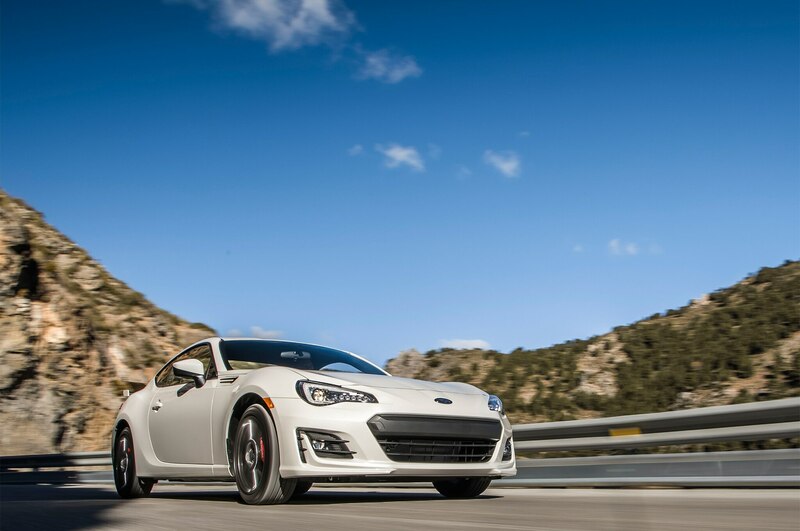 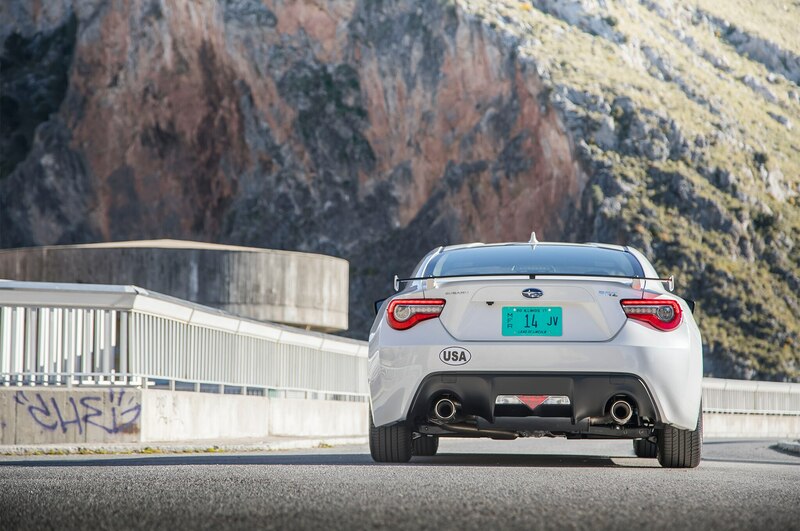 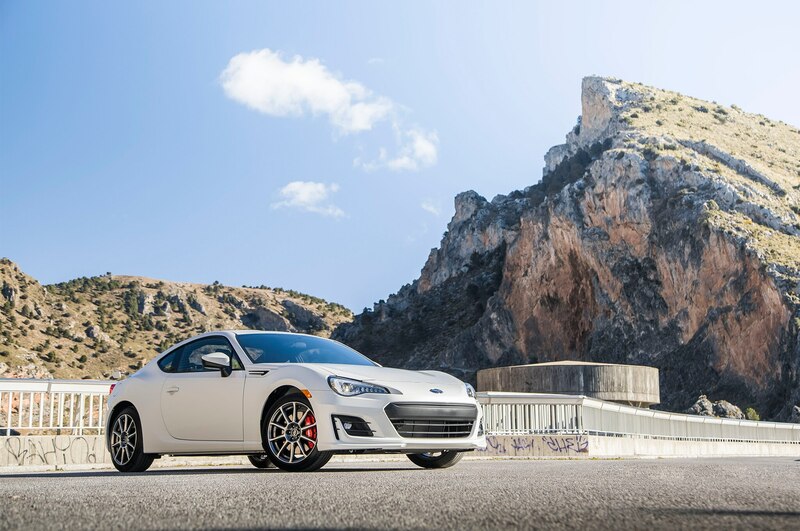 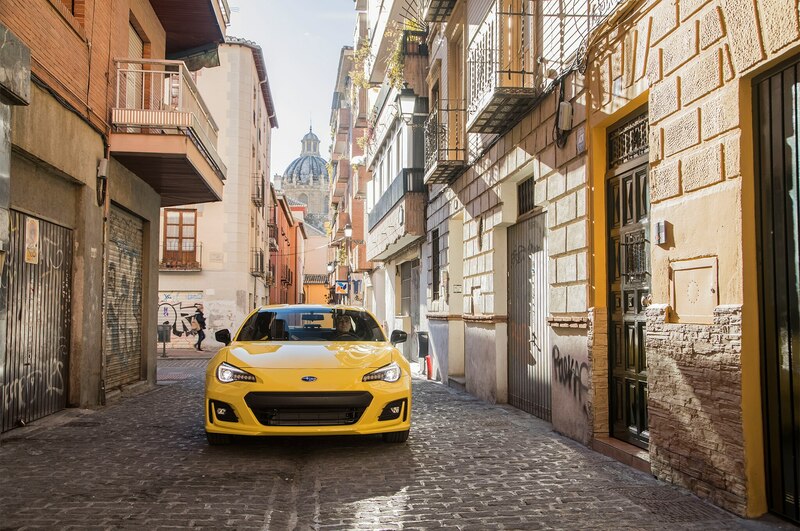 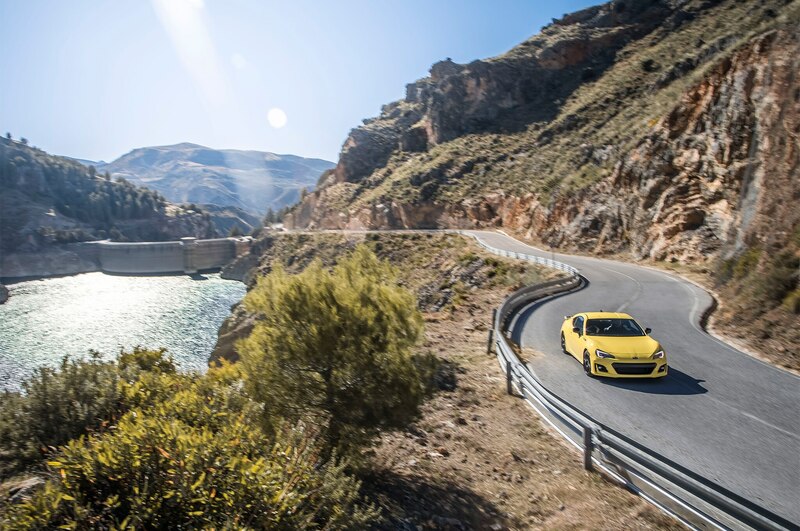 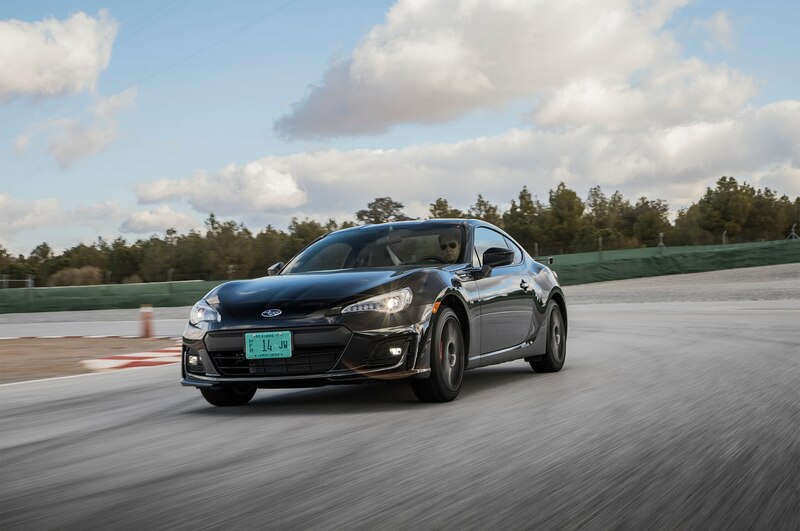 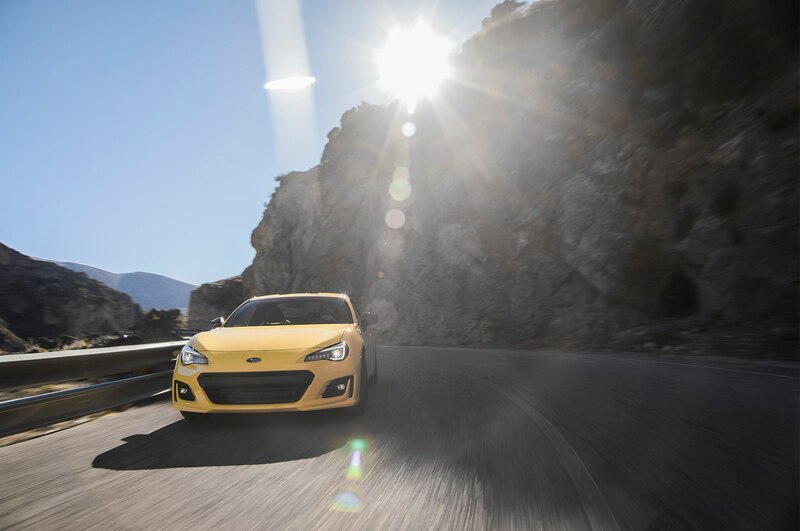 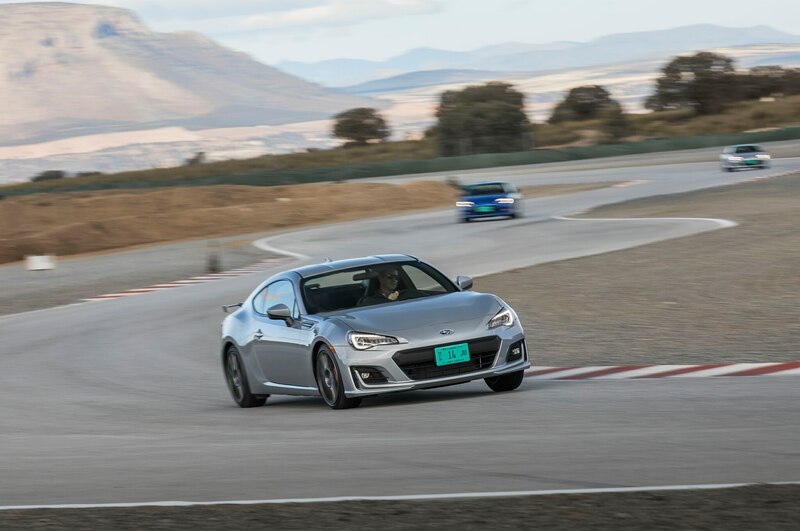 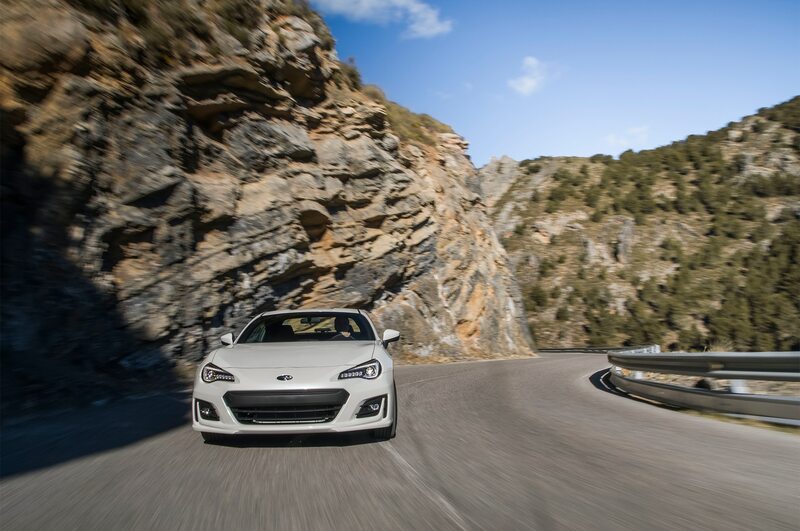 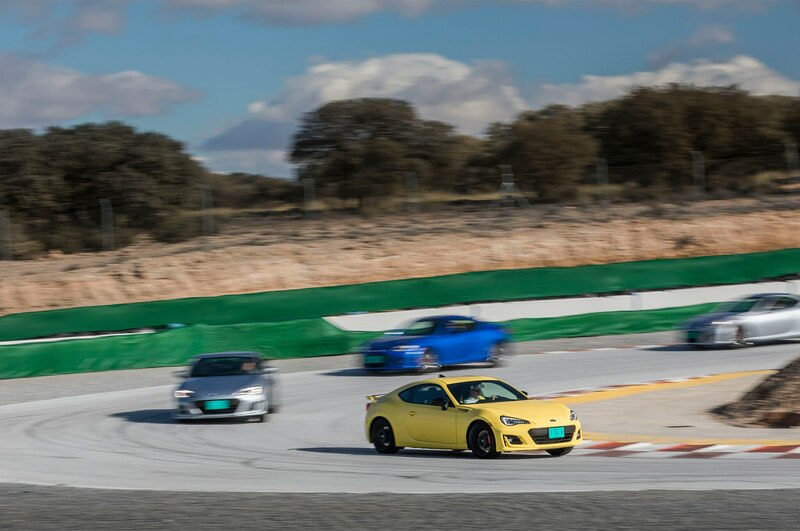 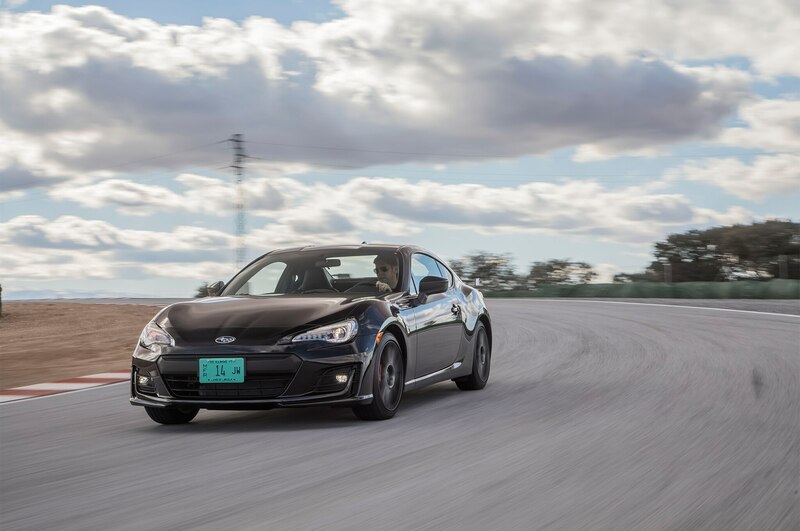 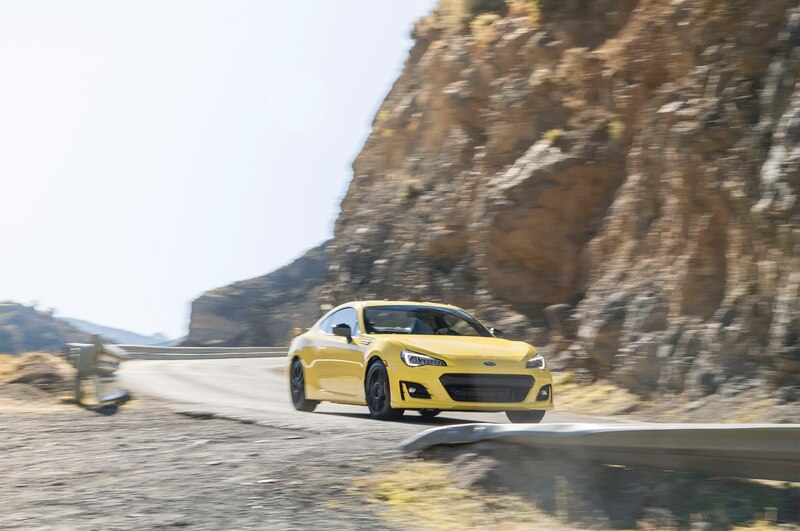 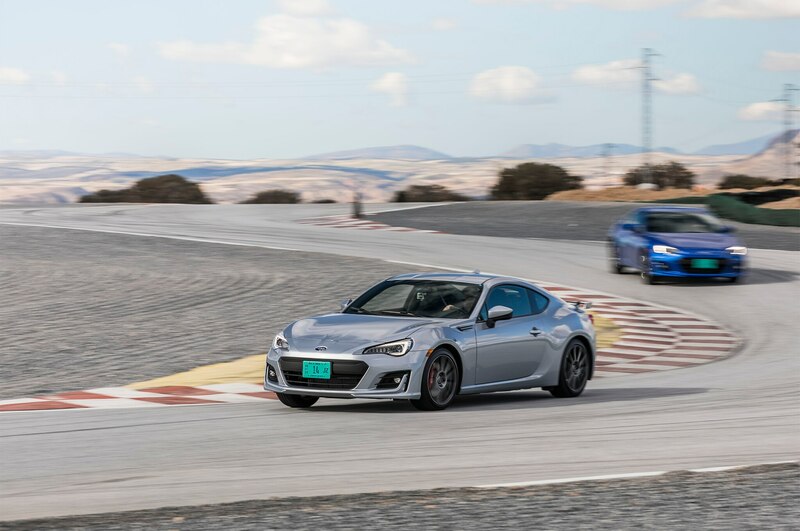 GRANADA, Spain — The fun but dodgy roads crossing southern Spain’s hilly countryside are hardly an appropriate venue for a dynamic evaluation of the updated 2017 Subaru BRZ. 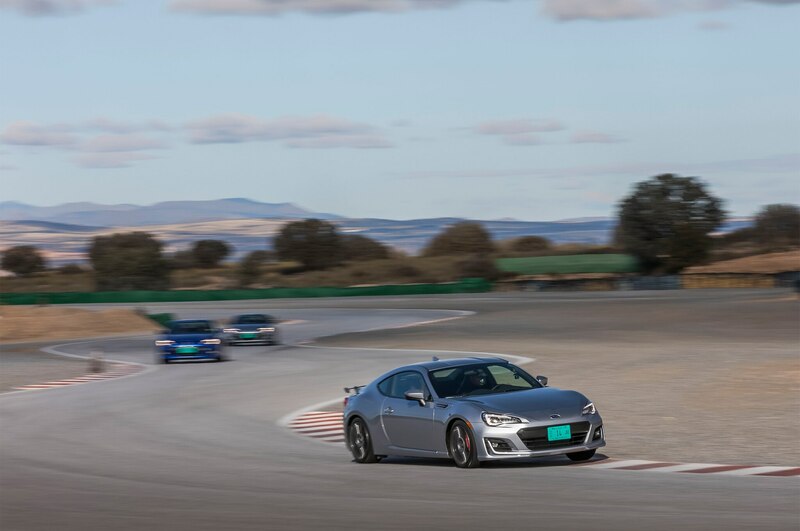 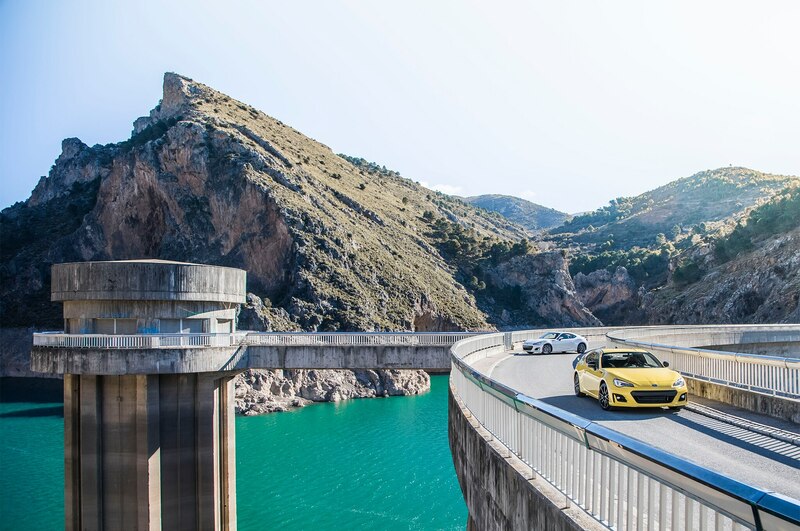 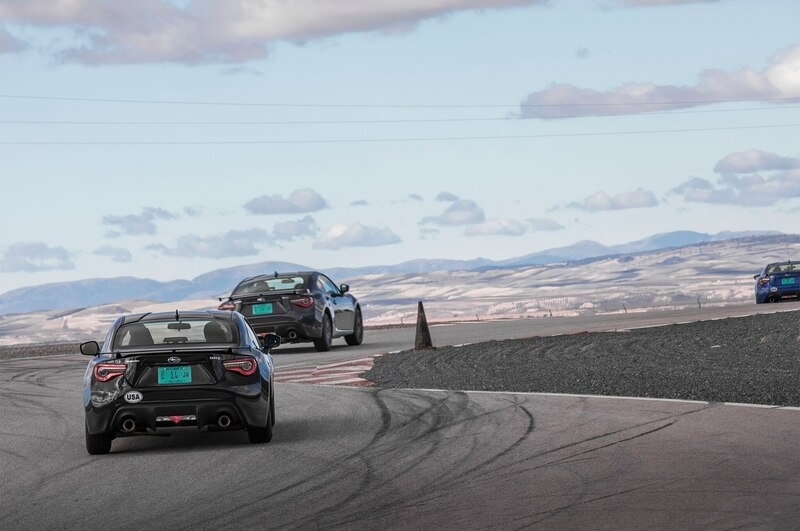 Fortunately, we were driving the car to one that is: Circuito Mike G Guadix, a private test track roughly 50 miles outside of Granada. 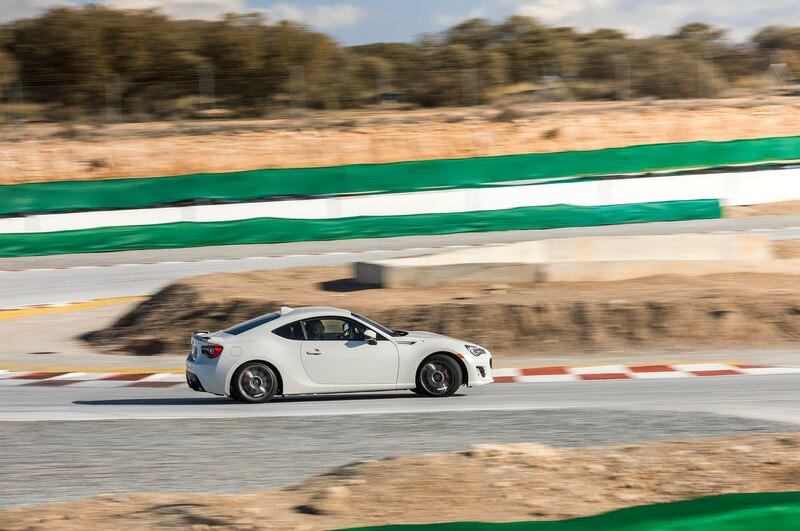 The circuit has plenty of runoff and a challenging layout with a variety of corner types. 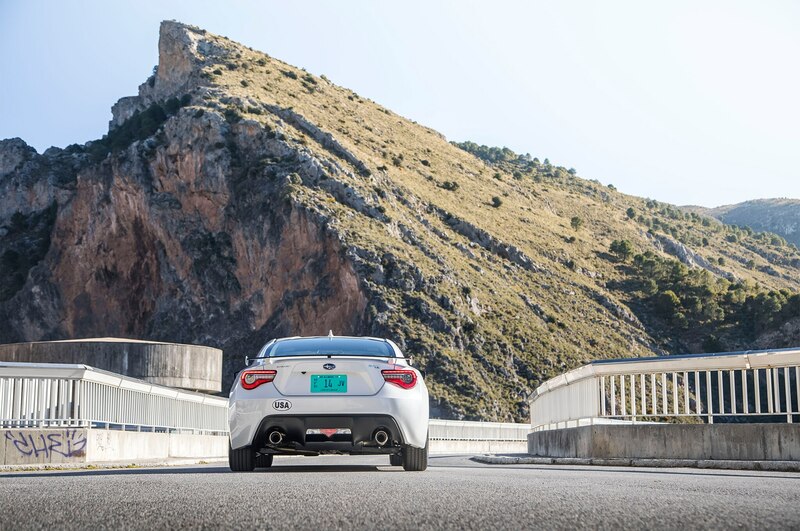 And it sits at an altitude of about 3,000 feet, the thin air adding to the challenge. 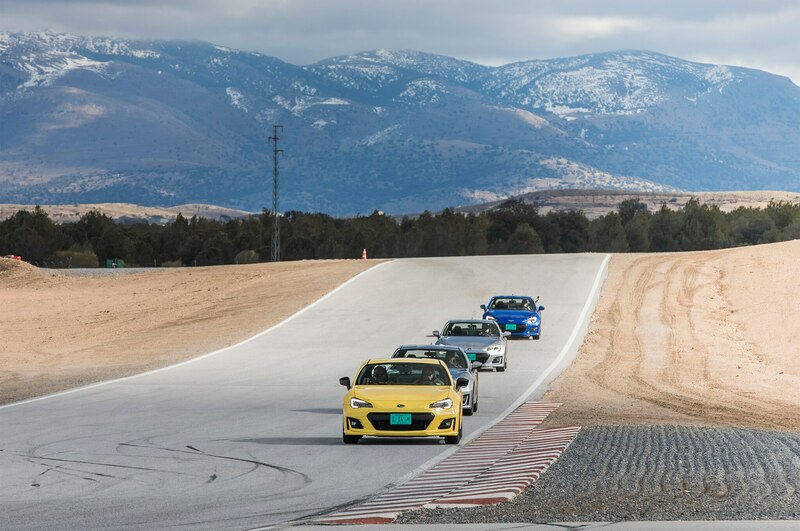 No wonder the likes of McLaren and BMW M come here to test their wares. 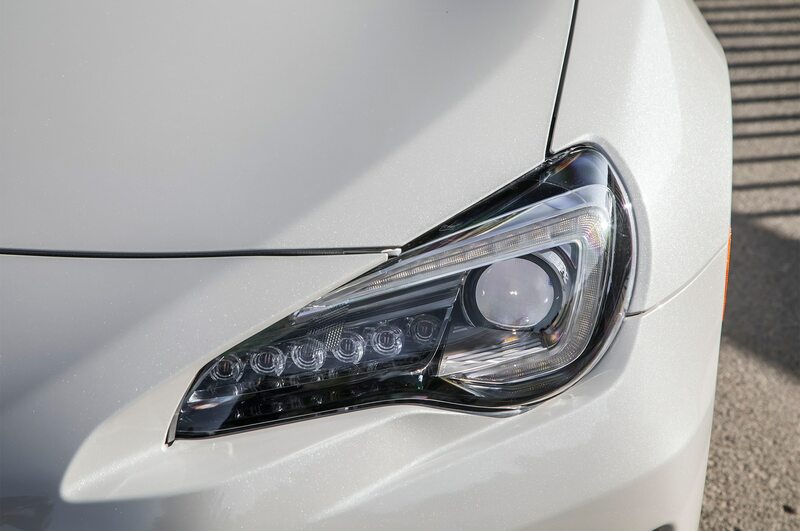 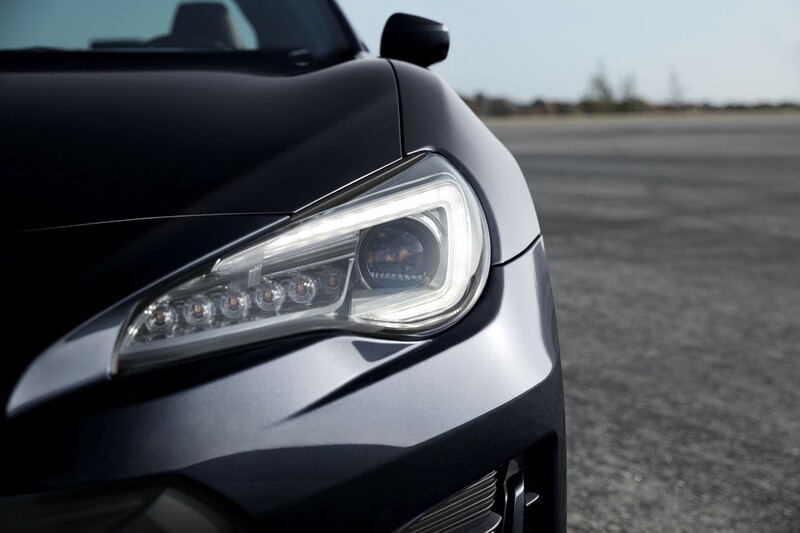 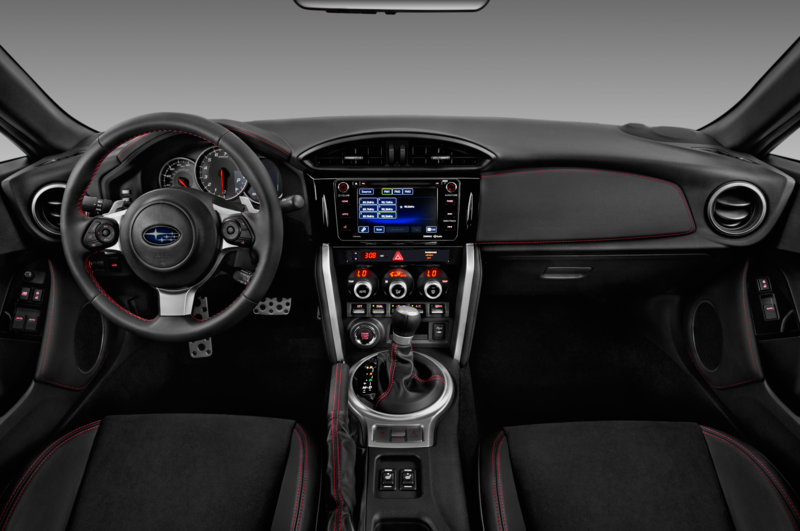 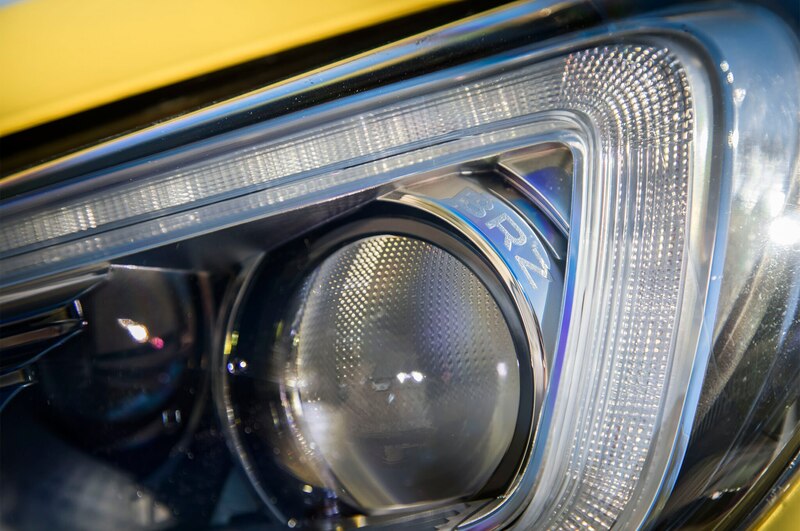 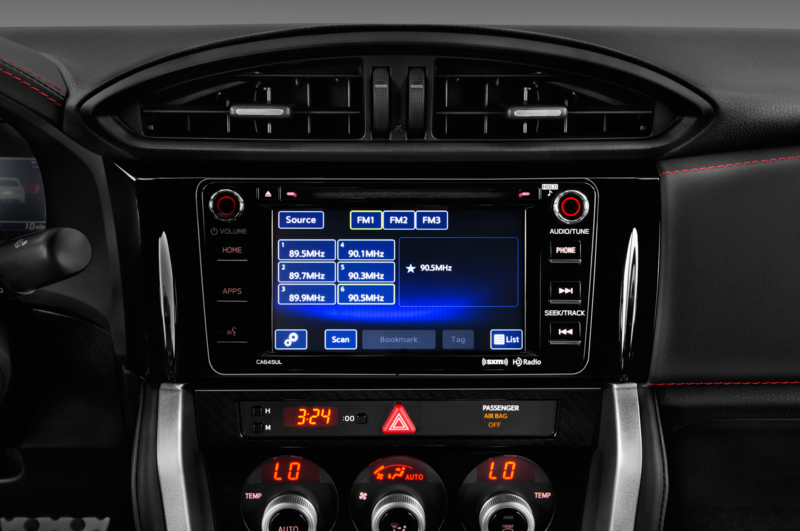 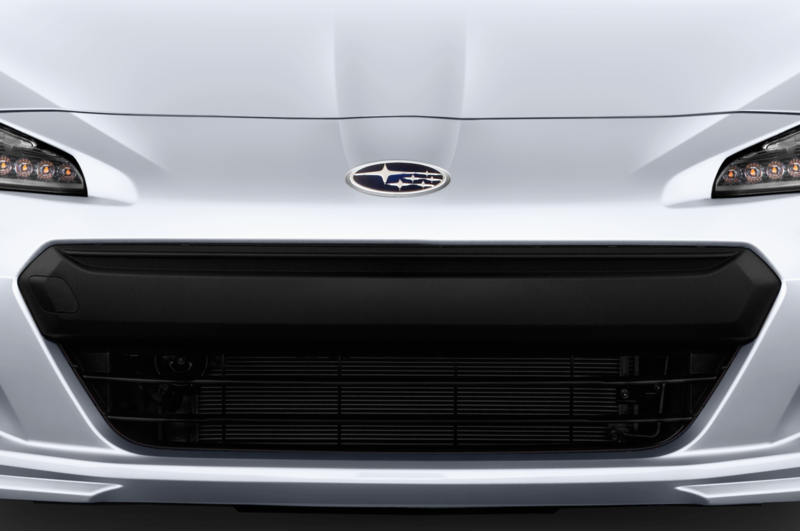 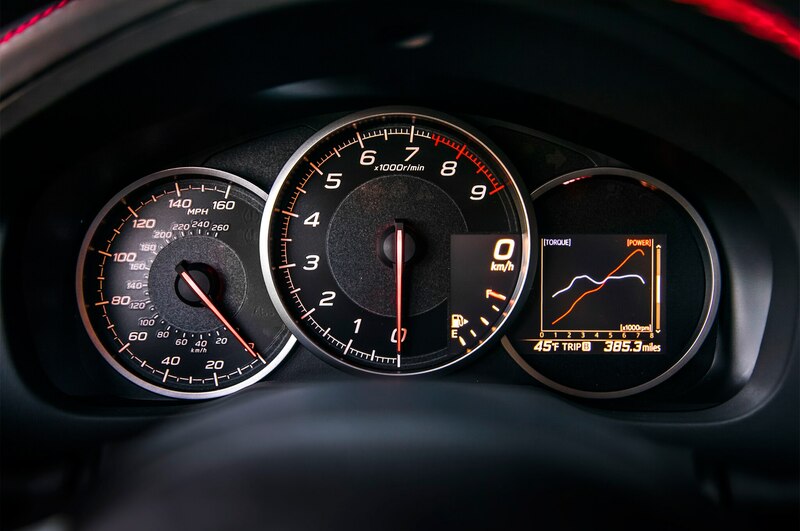 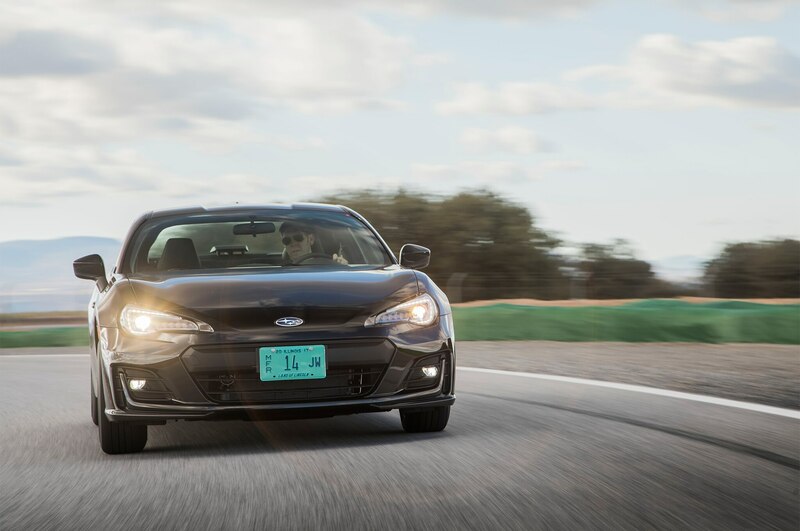 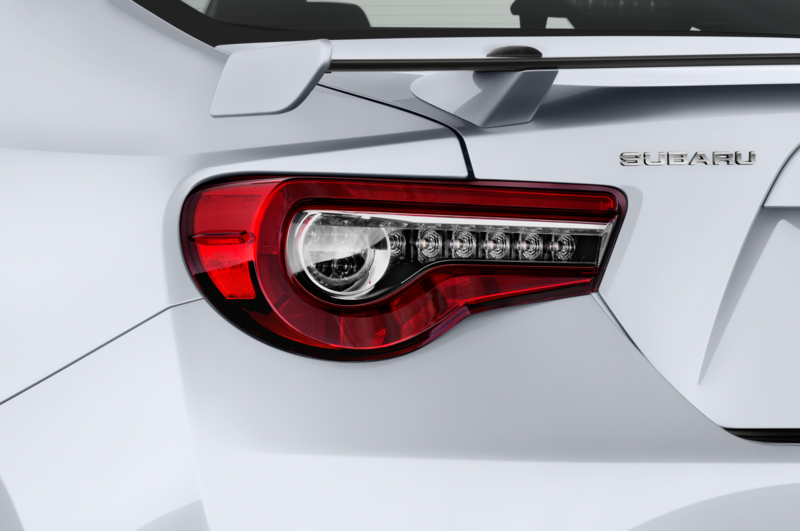 A snapshot of what’s different about the BRZ : updated front end with LED headlights and fog lamps; LED taillights; new wheels; new fender accent, new aluminum rear spoiler, new steering wheel, updated gauge cluster with a color multi-function display, retuned suspension, reworked engine internals and accessories that add 5 horsepower and 5 lb-ft of torque to the 2.0-liter flat-four, a new final-drive ratio for manual models (4.3:1 vs. 4.1:1 for 2016), a stiffer body, and less aggressive stability control that includes a new Track mode. 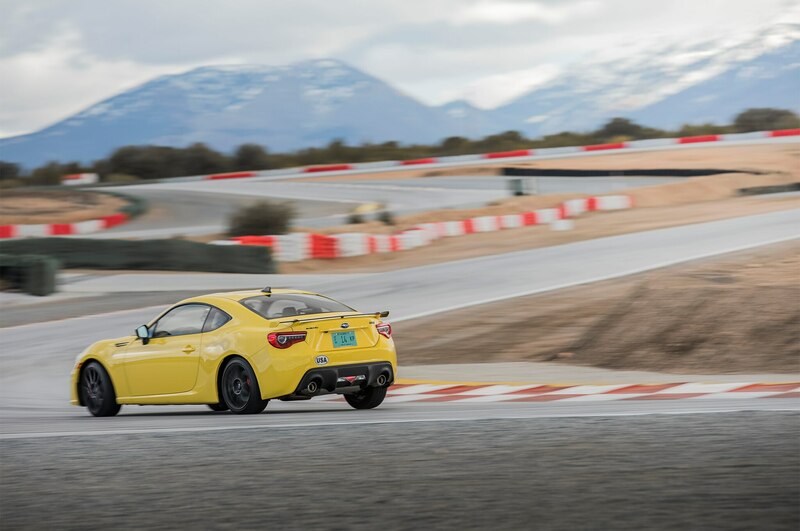 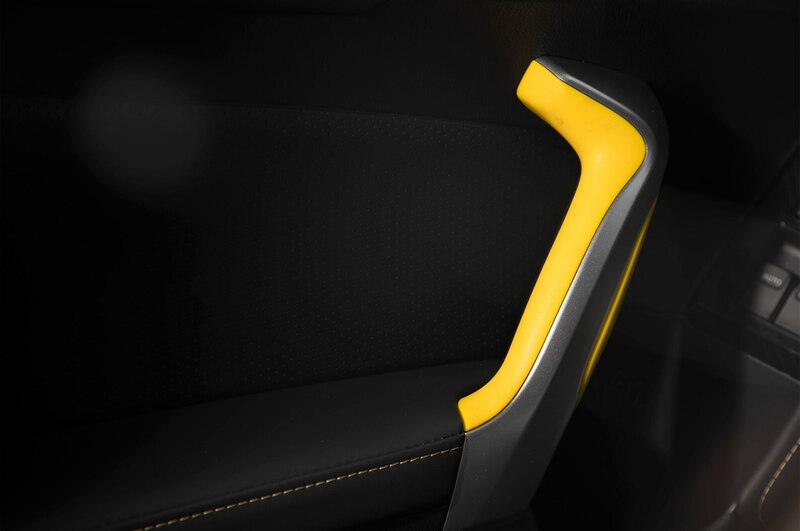 Track replaces the 2016 model’s Sport mode and raises the intervention threshold even further. 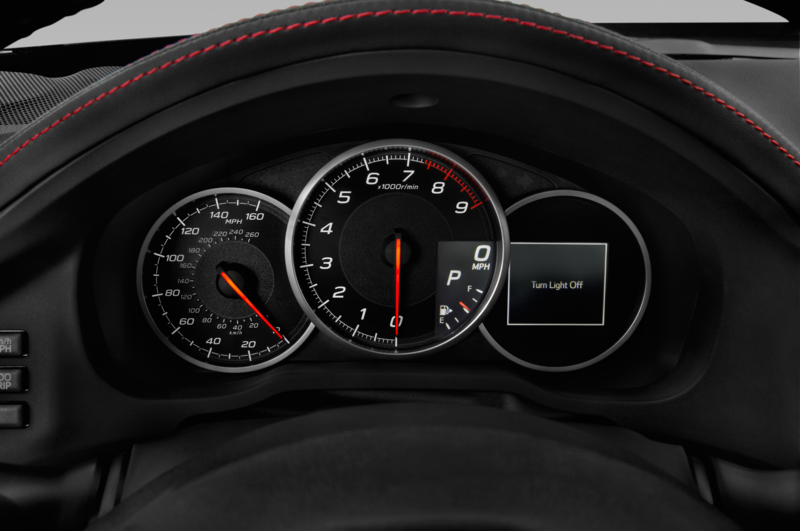 That’s a decent list of iterative changes fitting of a mild freshening. 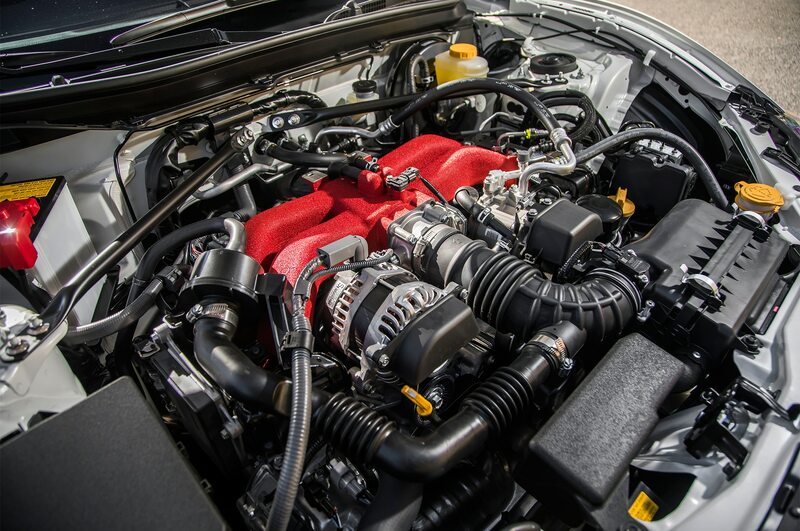 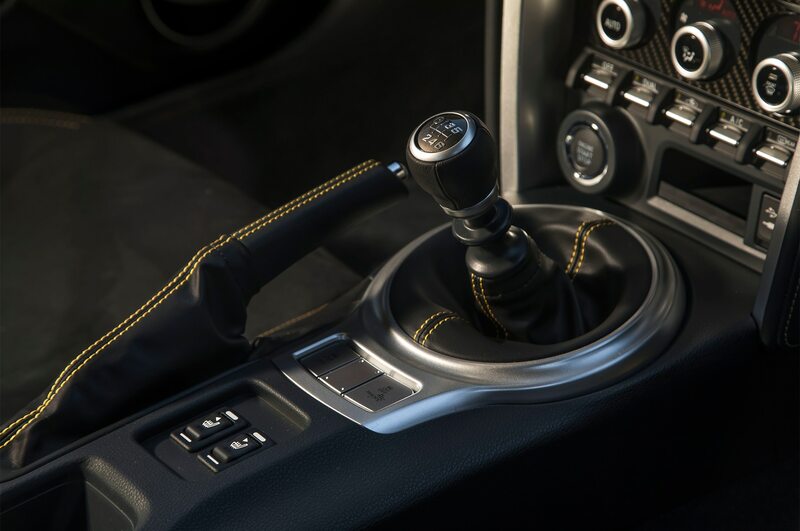 The Performance Package, offered only on Limited models equipped with the six-speed manual (as well as the limited edition “Series. 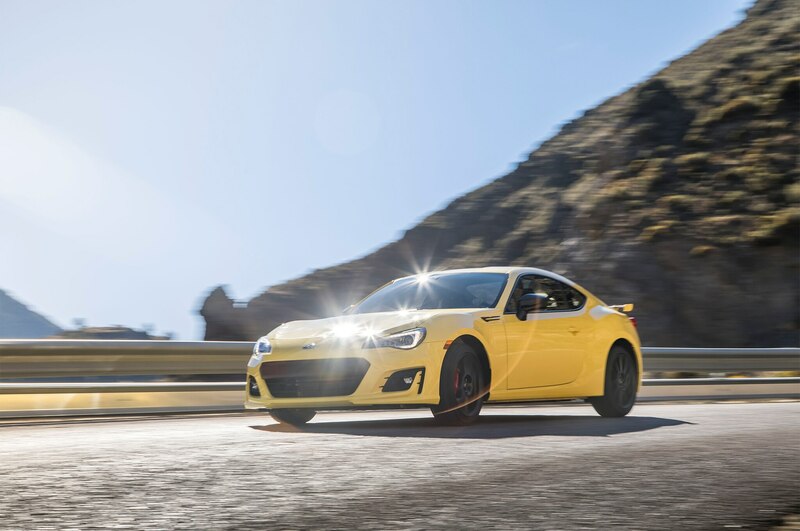 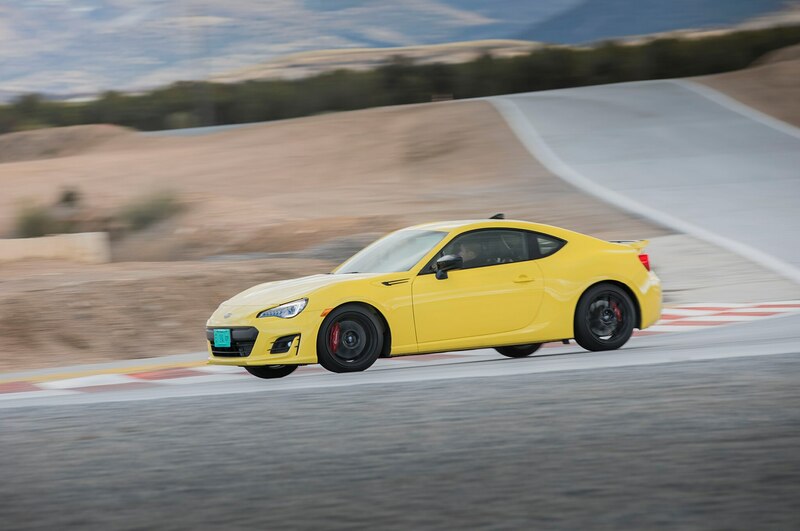 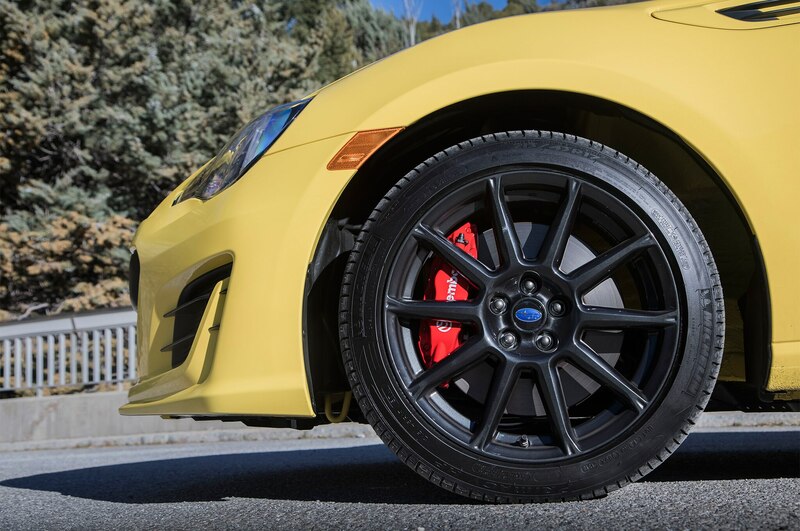 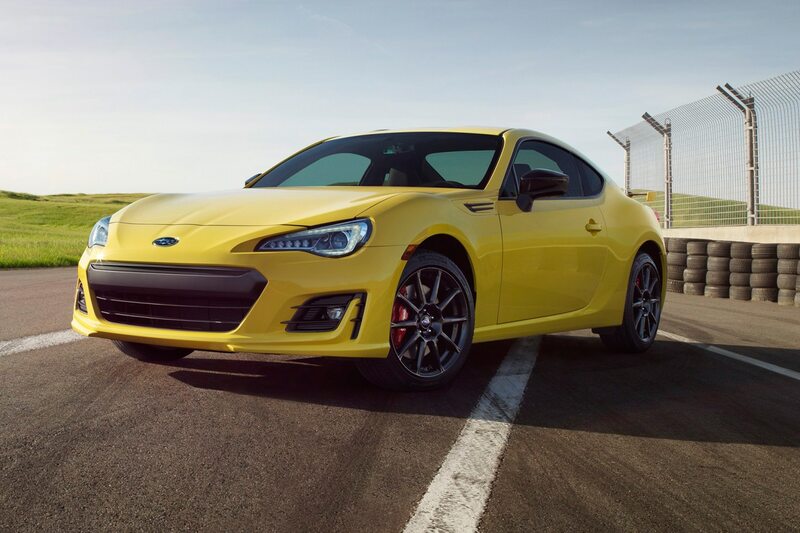 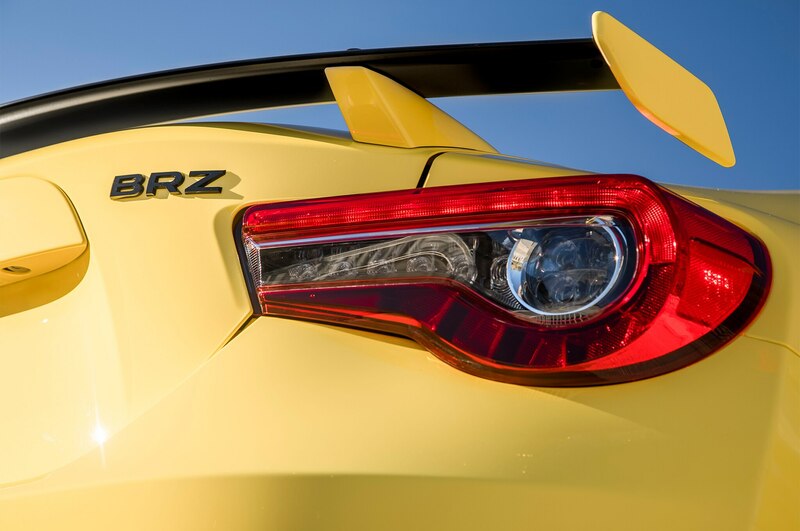 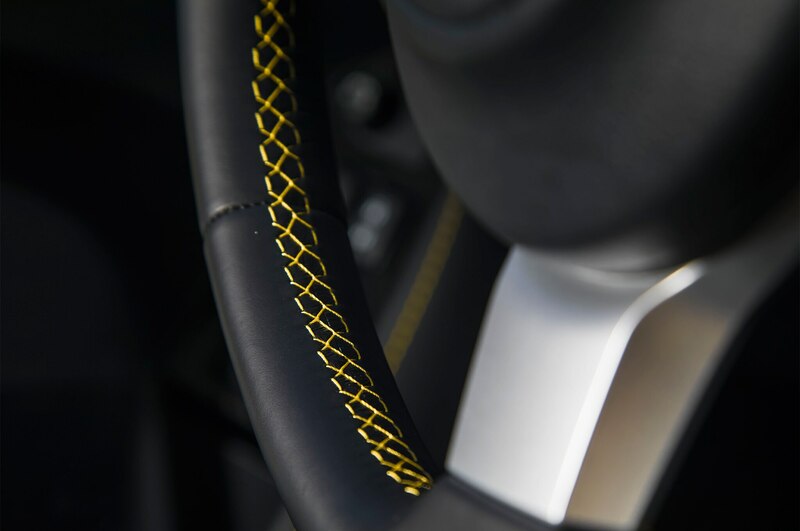 Yellow”), adds Brembo brakes with four-piston calipers up front and twin-piston calipers in the rear, larger and thicker rotors (12.8-inch front, 12.4-inch rear), wider wheels (17 x 7.5 versus 17 x 7.0), and Sachs ZF dampers for a mere $1,195. 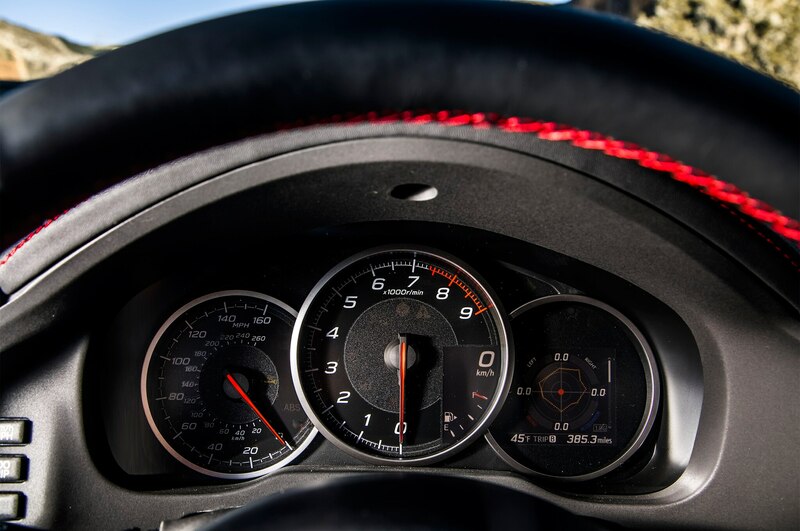 What it all amounts to is quite good. 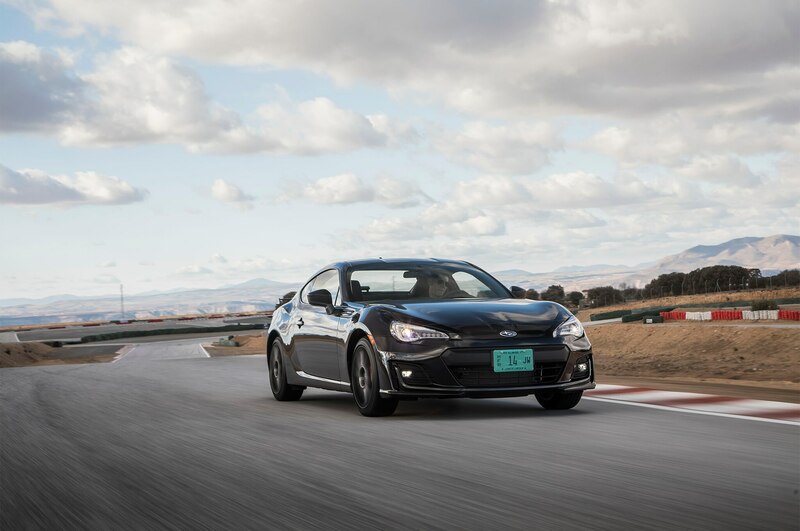 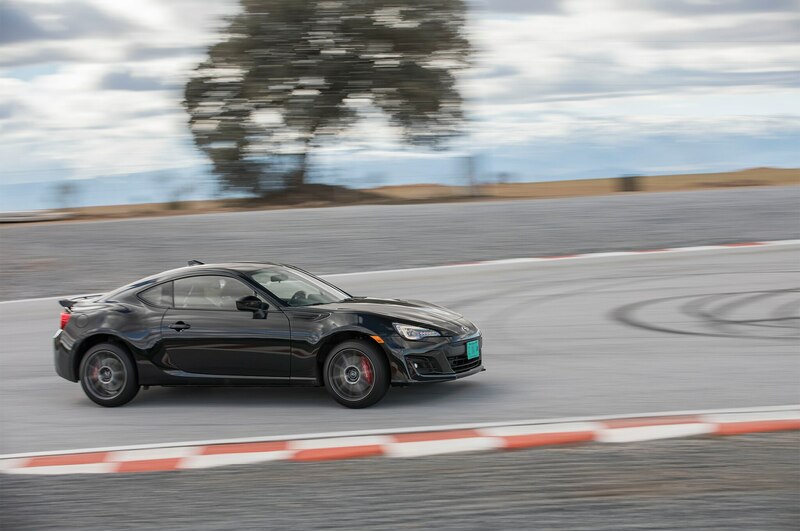 The car feels exquisitely balanced and poised, only getting squirrely when inputs are made improperly by a driver who needs to work on heel-toe downshifting. 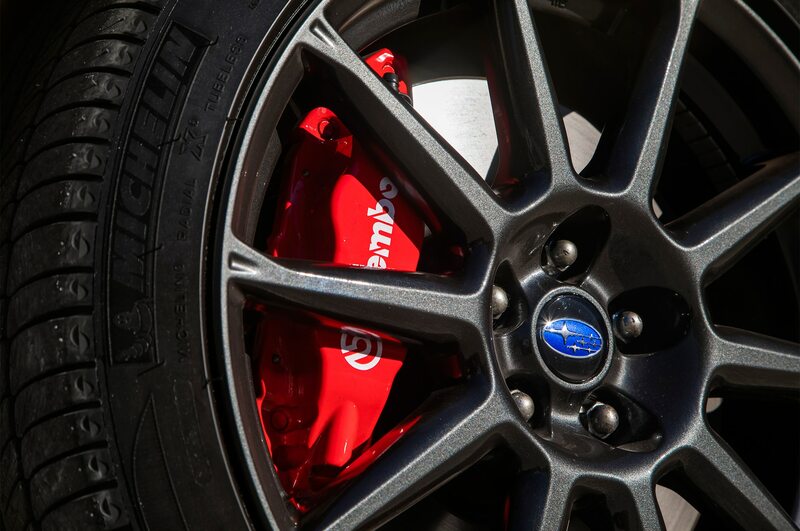 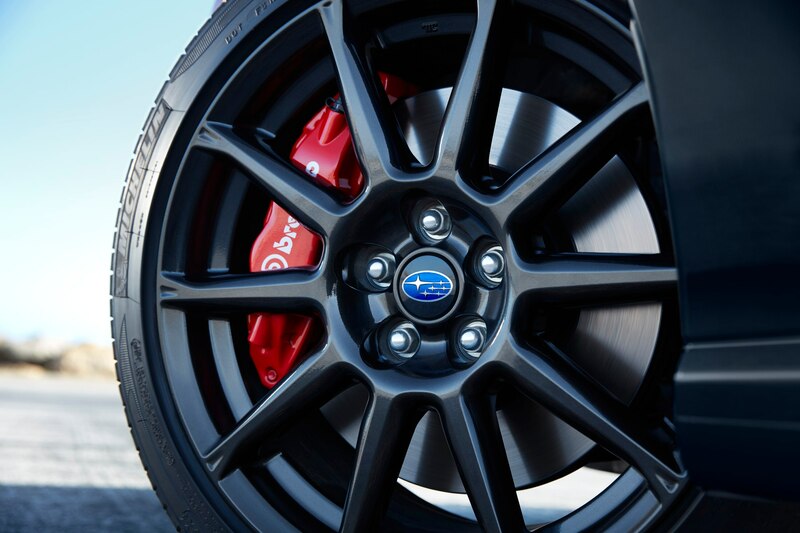 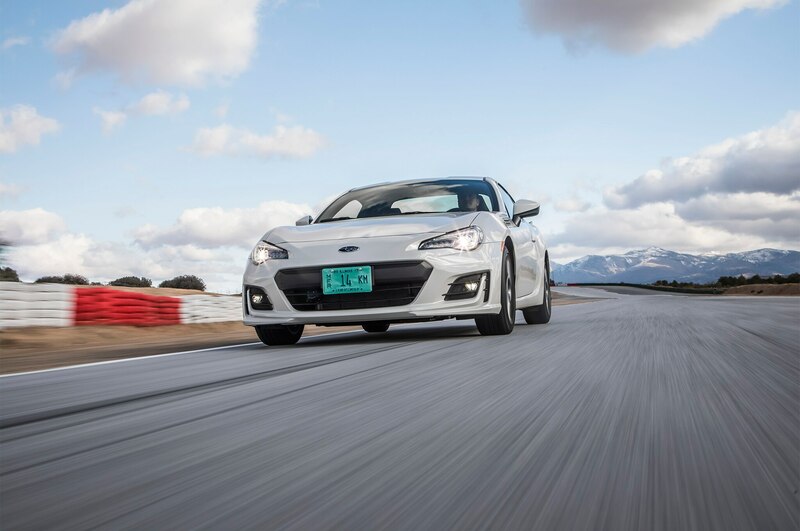 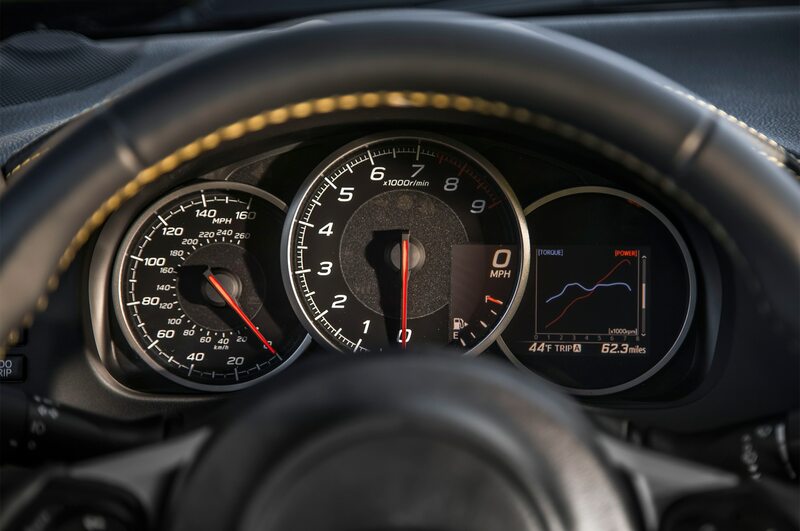 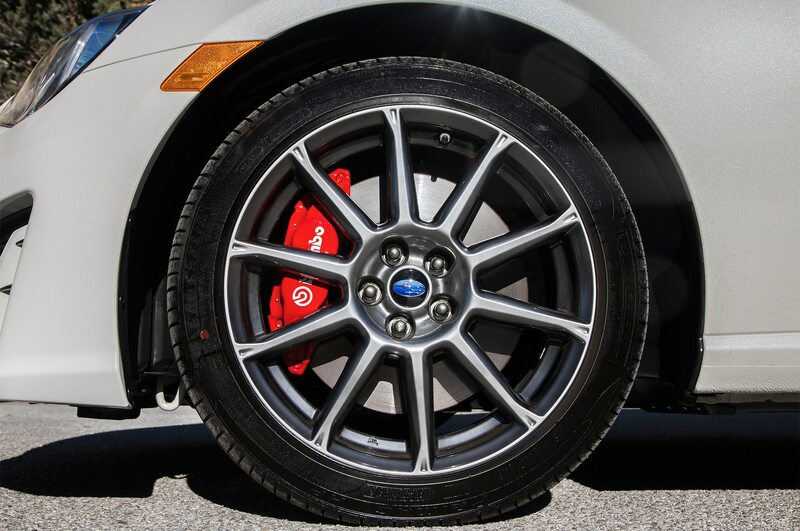 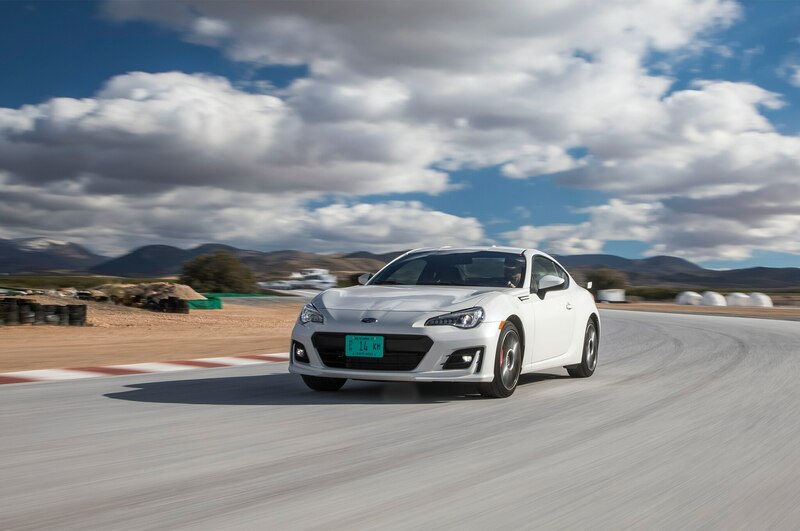 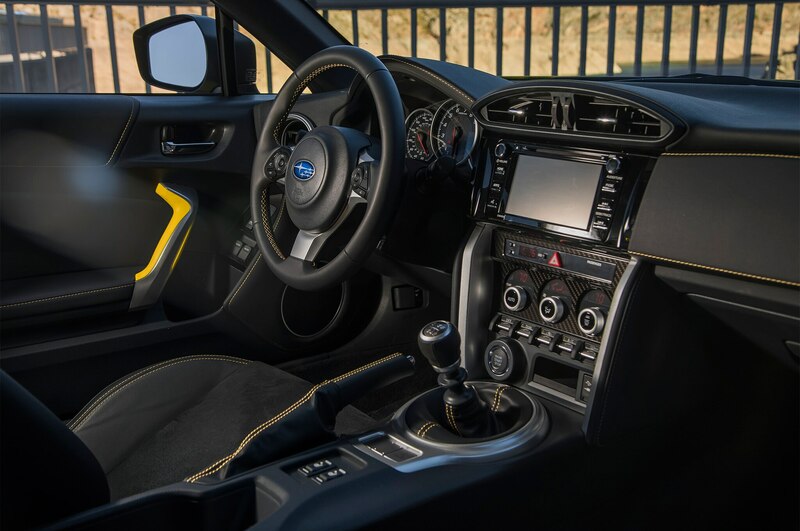 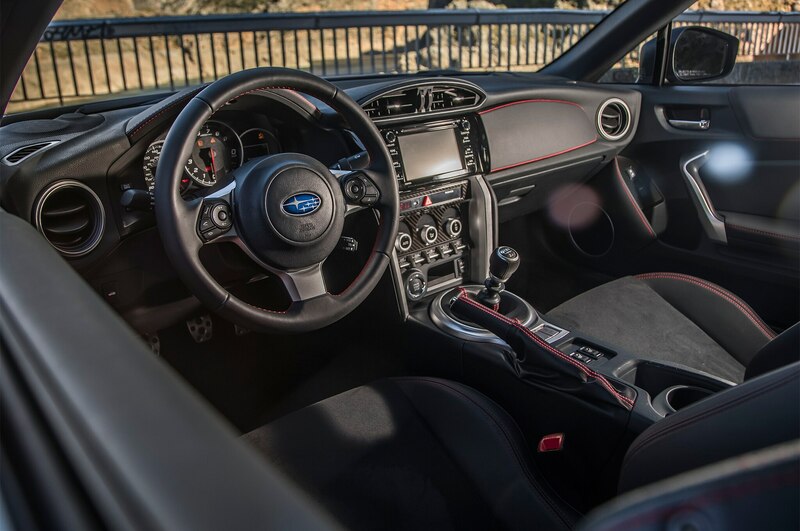 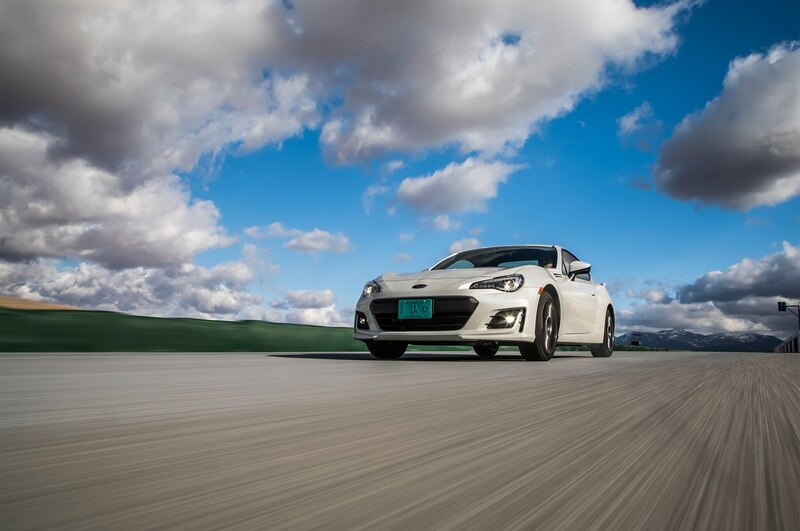 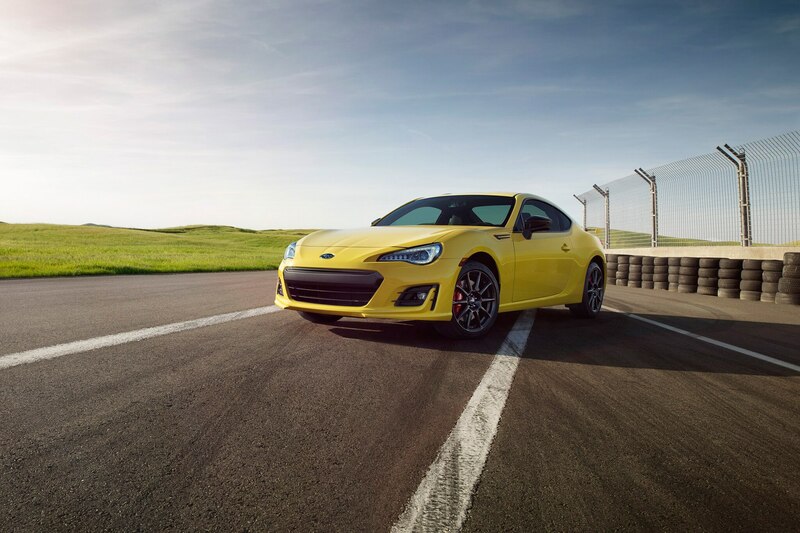 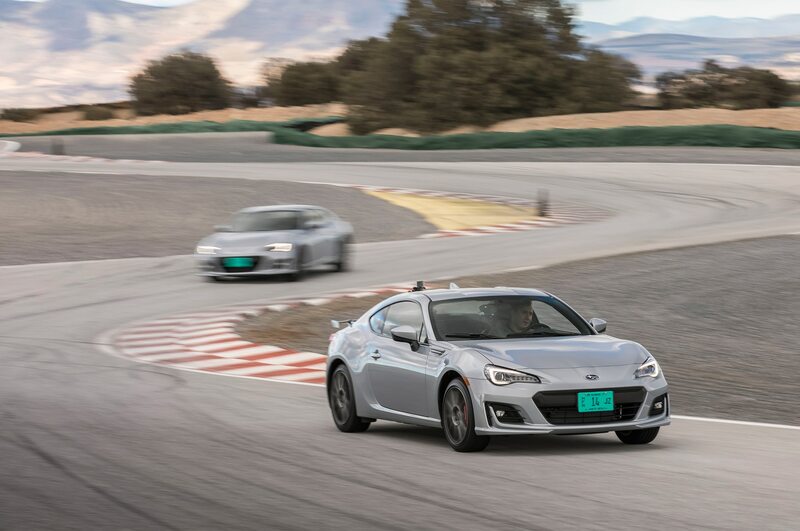 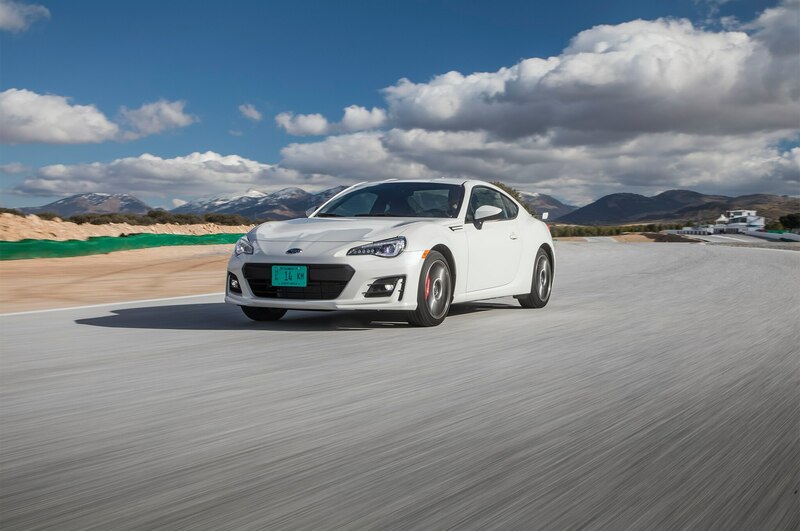 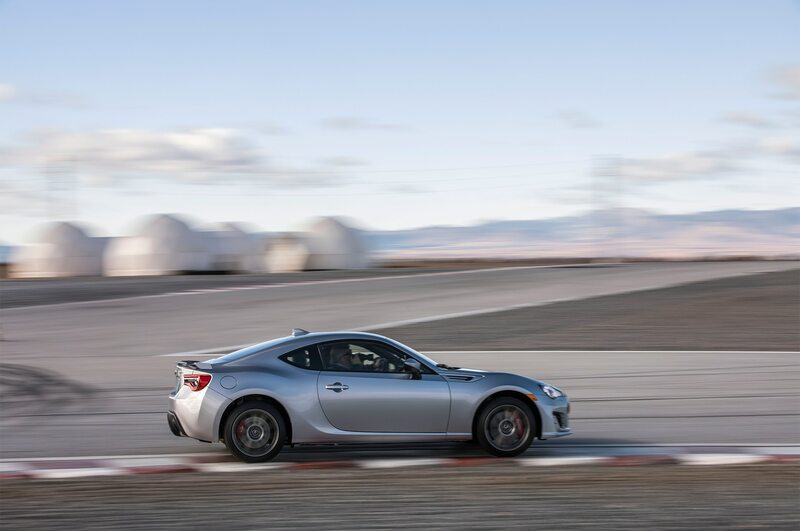 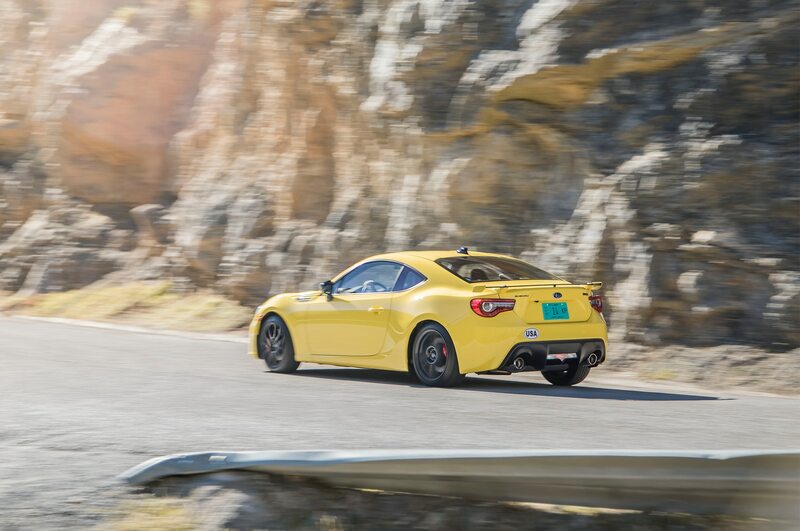 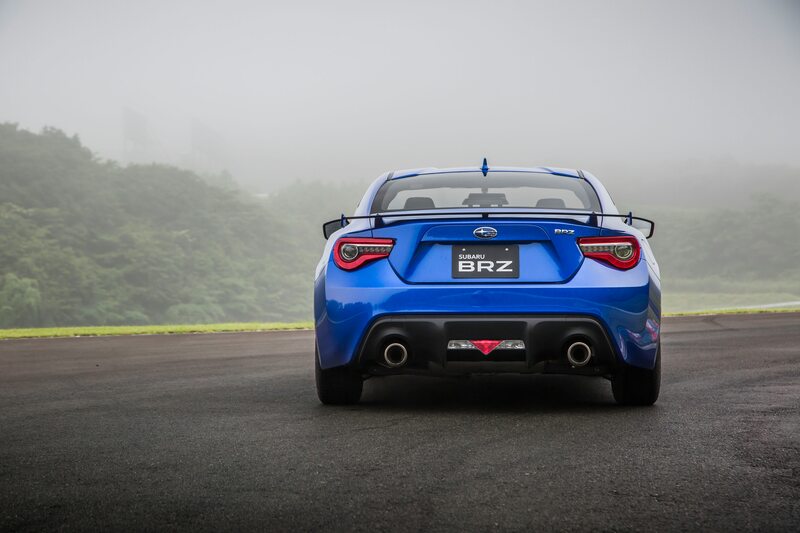 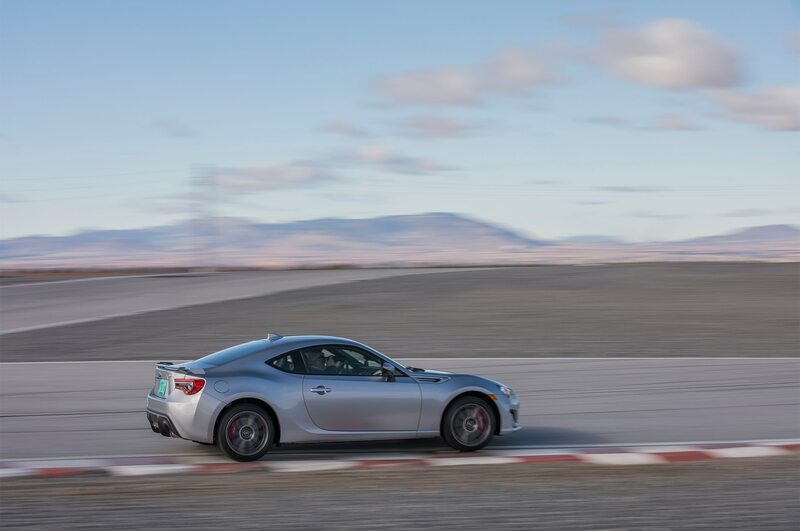 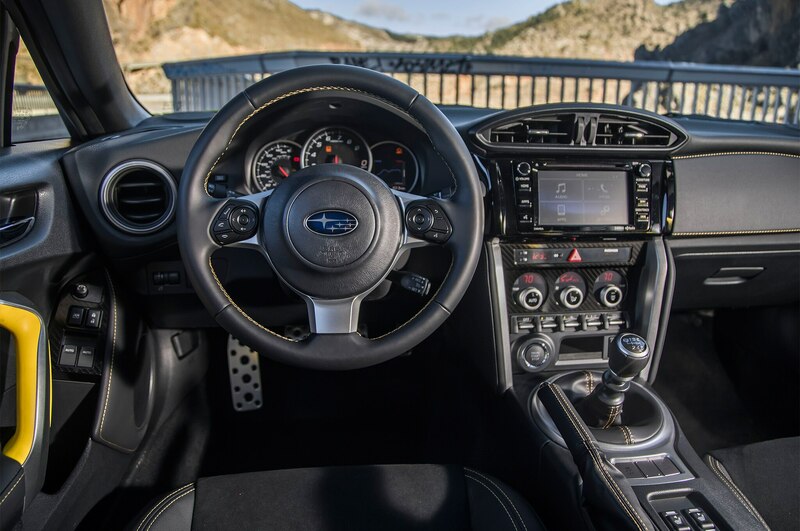 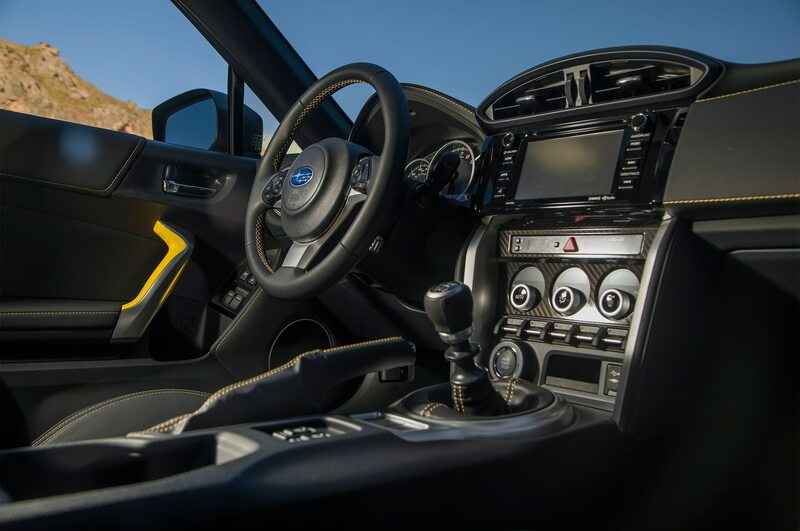 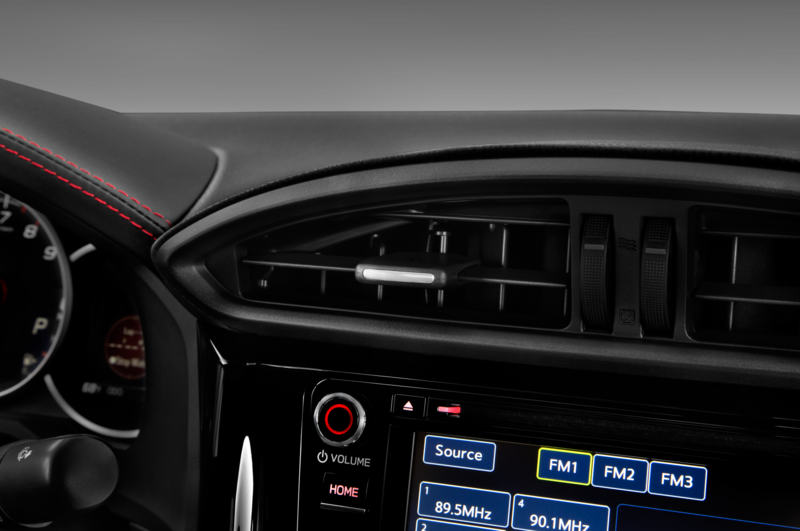 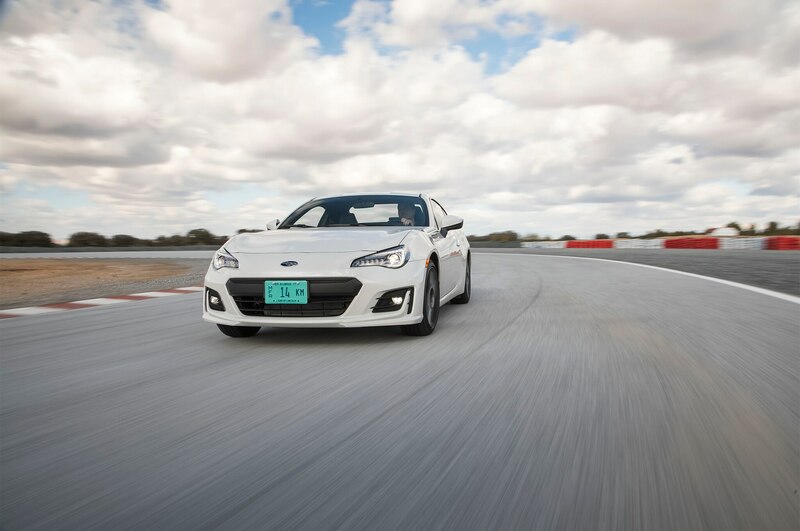 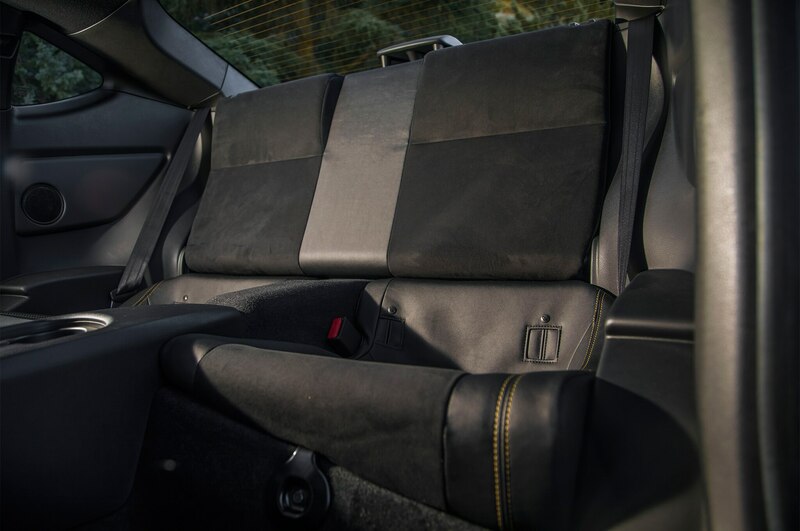 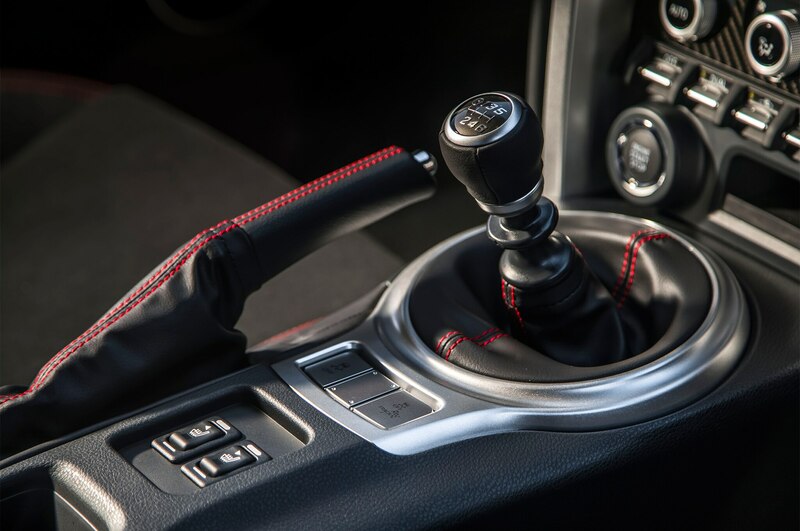 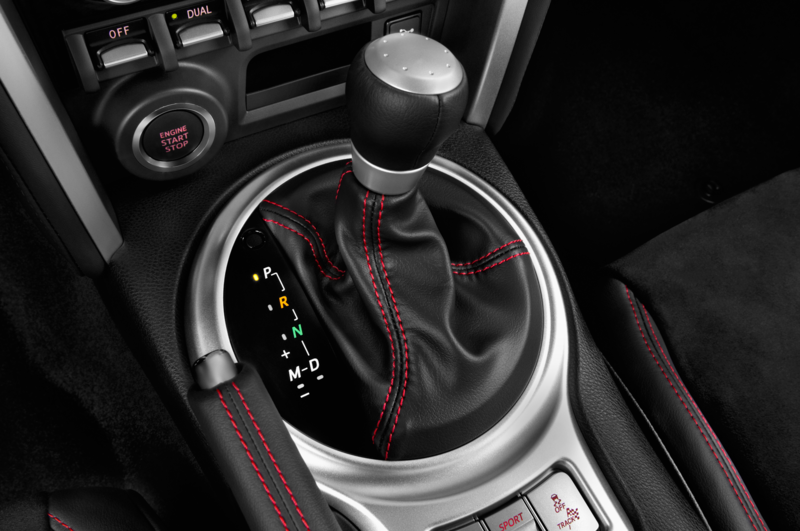 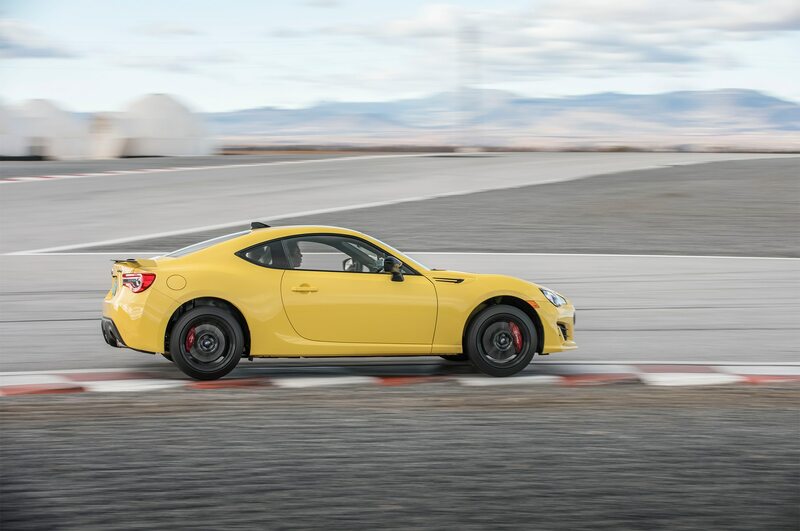 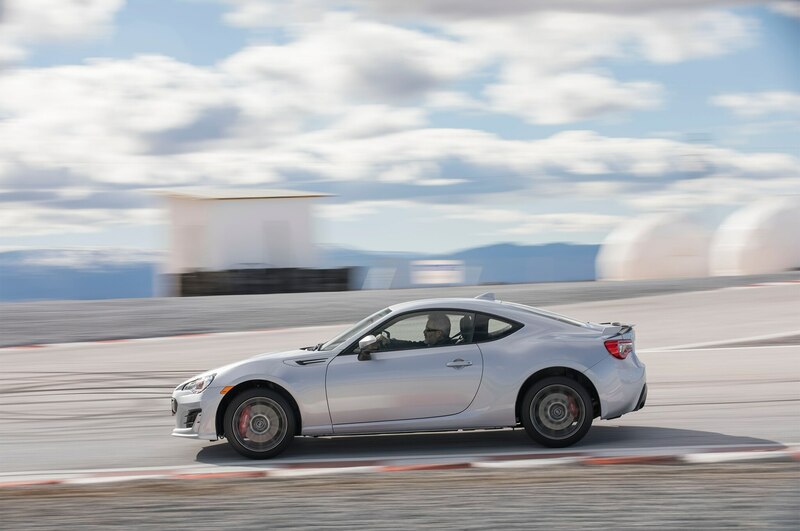 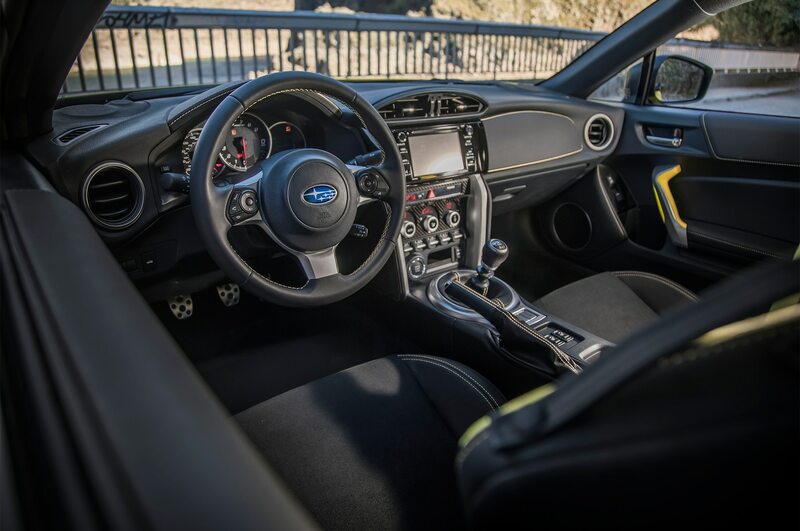 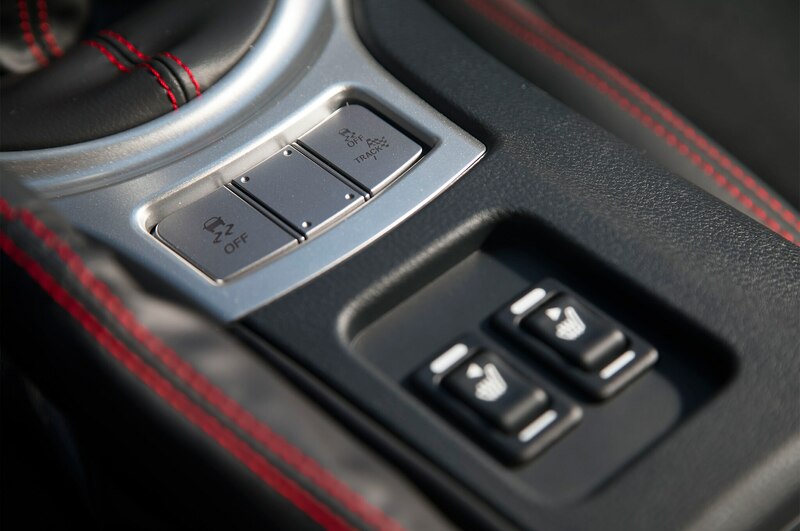 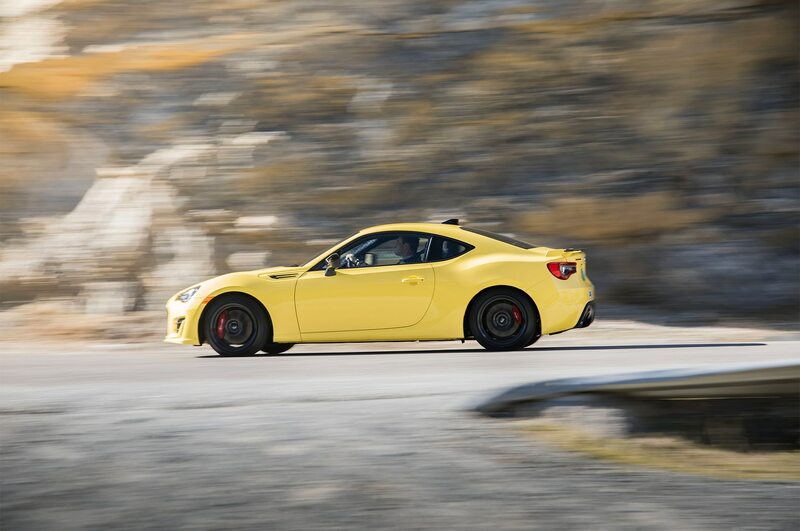 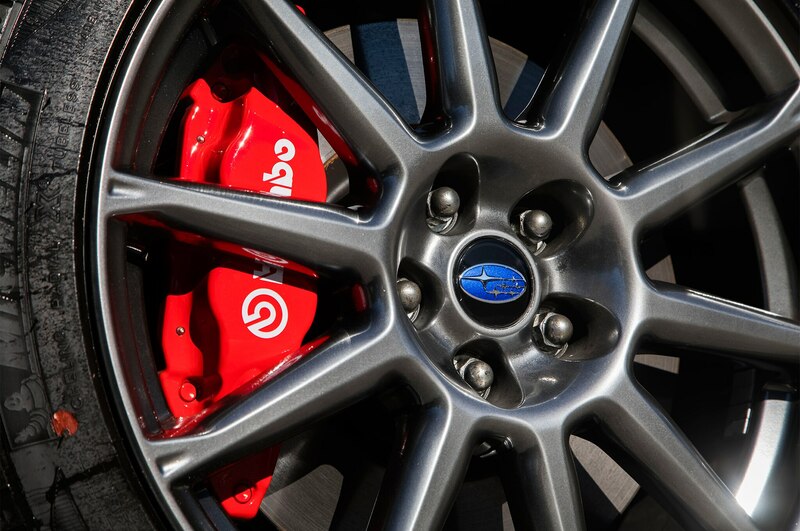 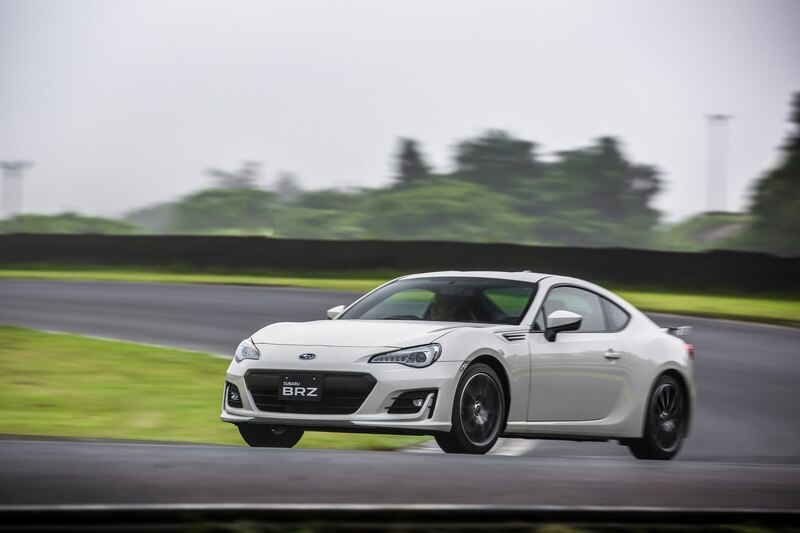 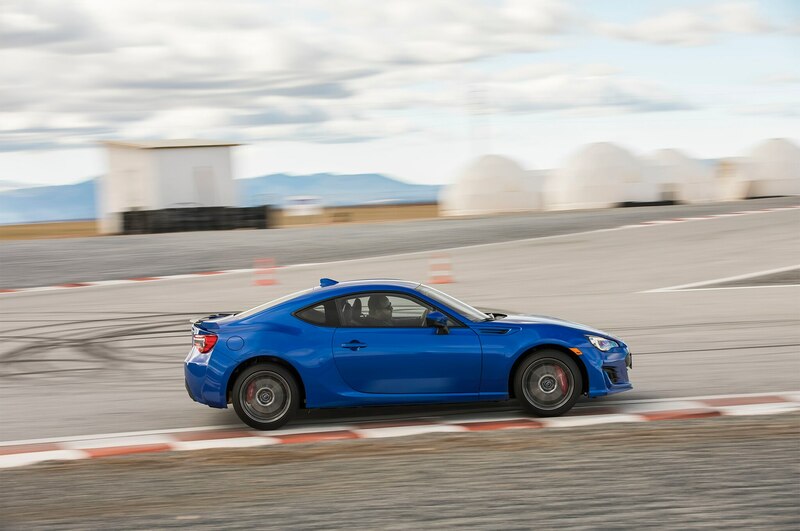 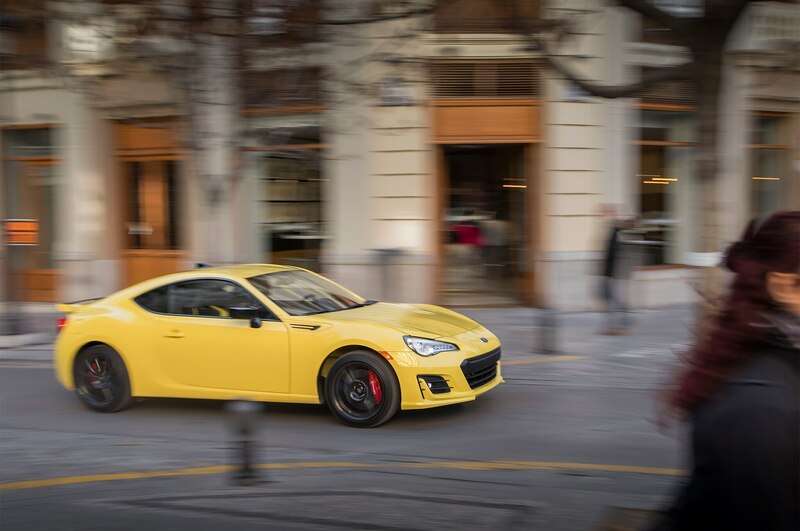 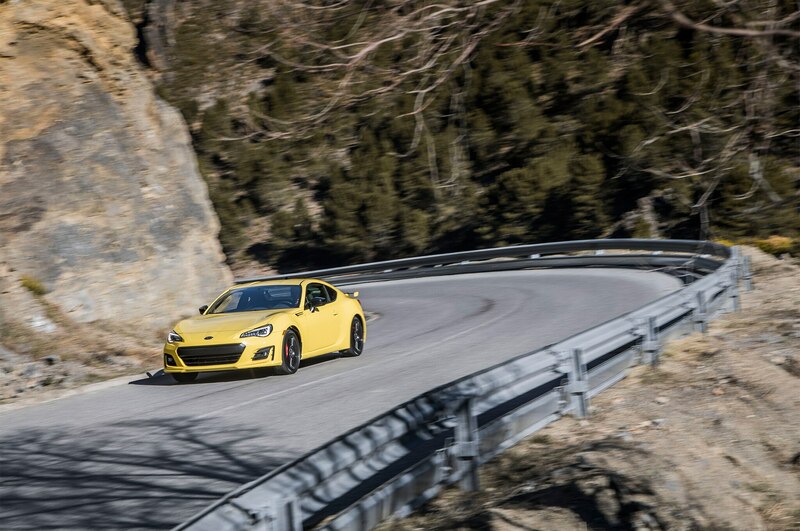 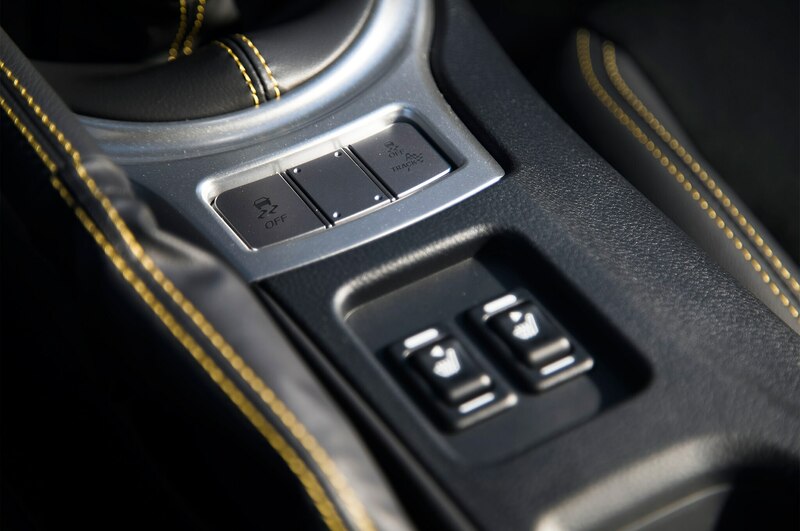 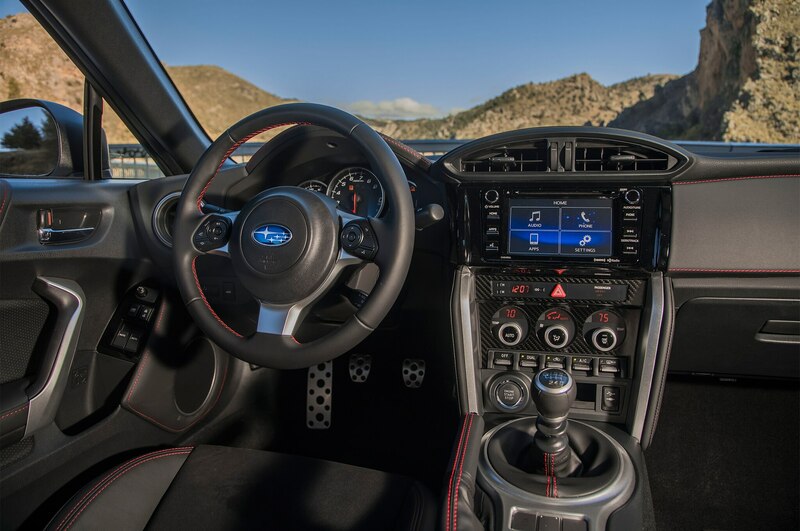 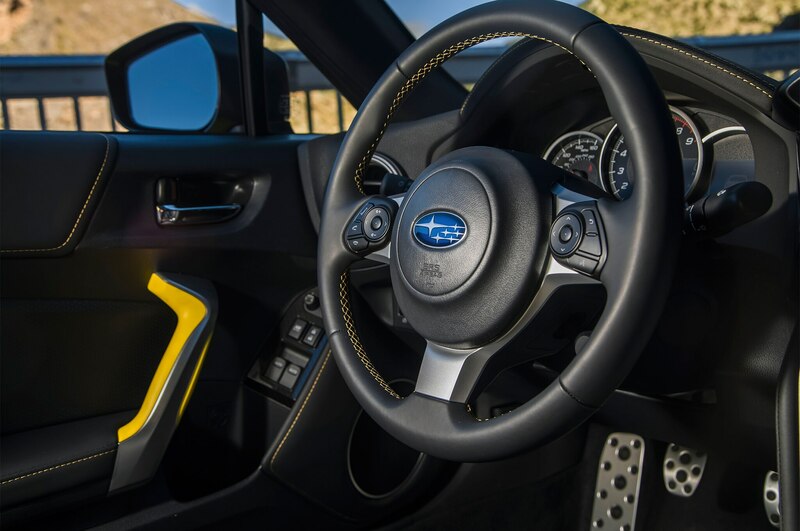 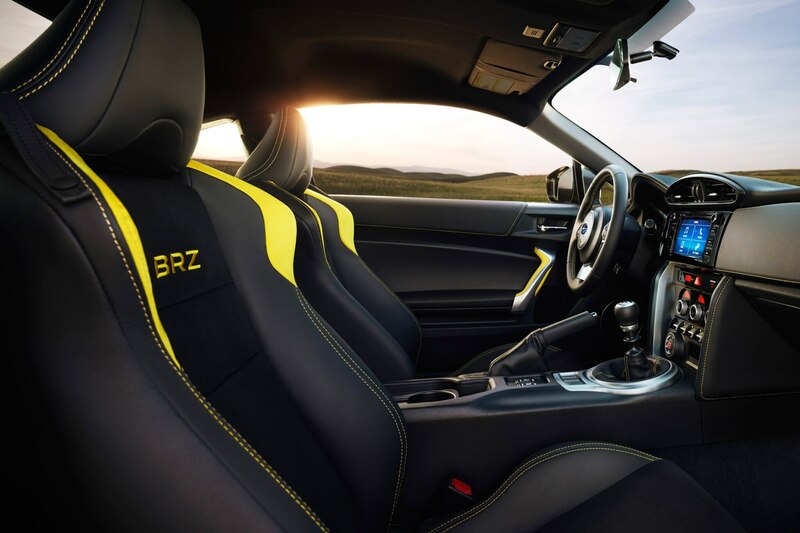 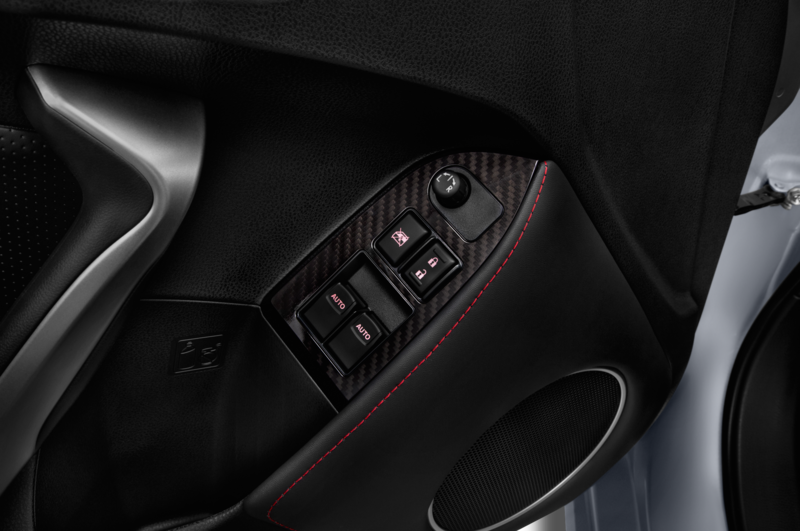 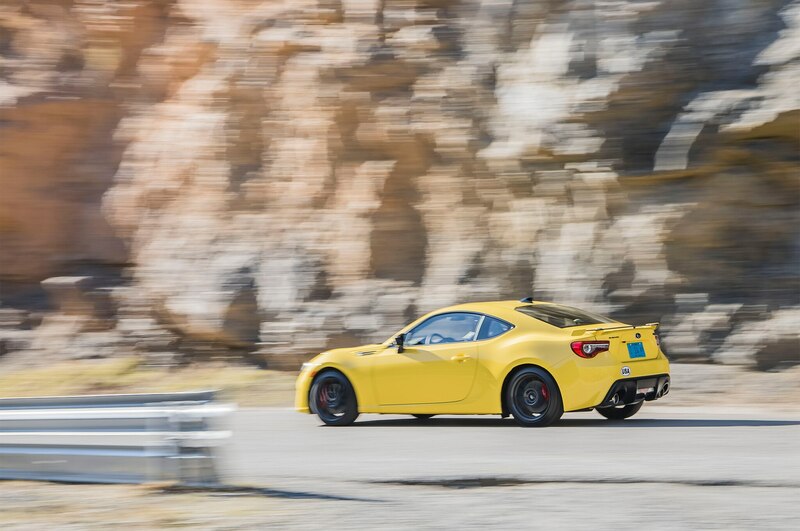 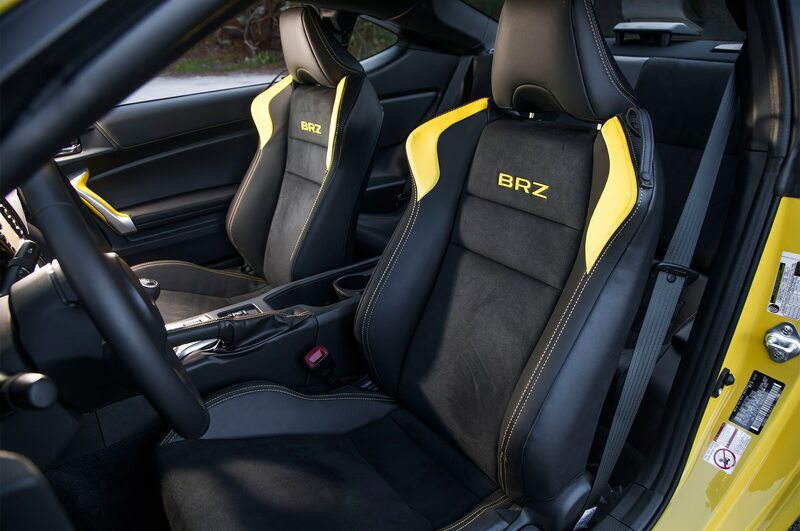 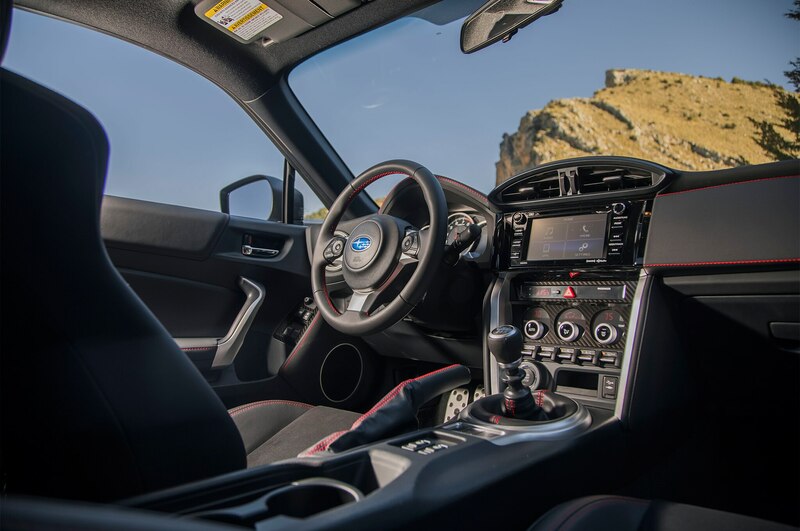 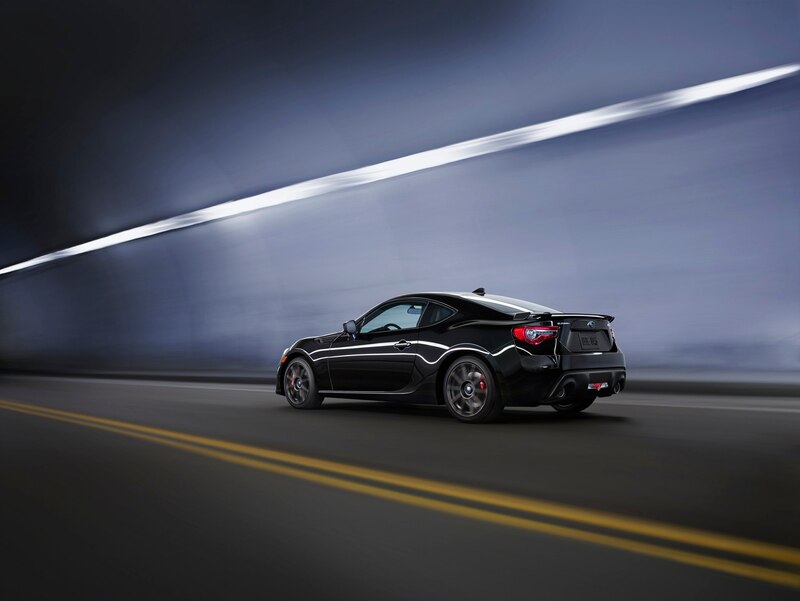 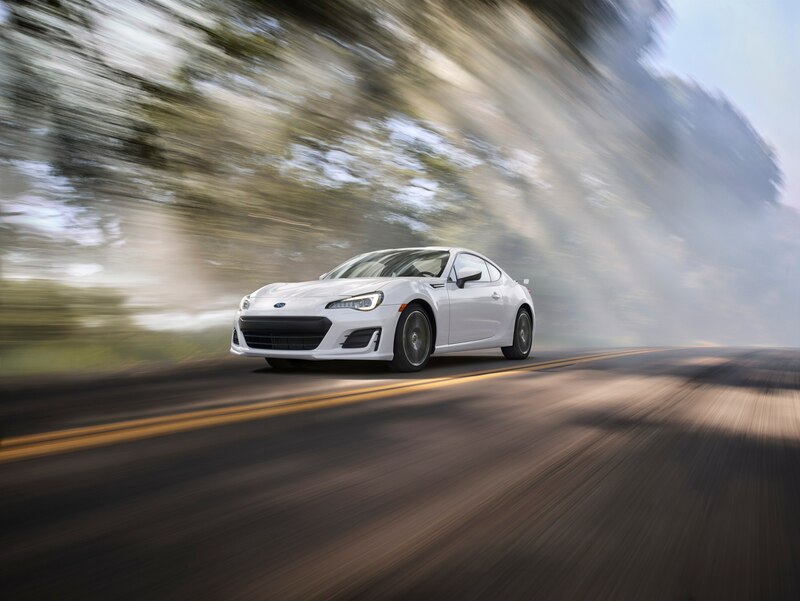 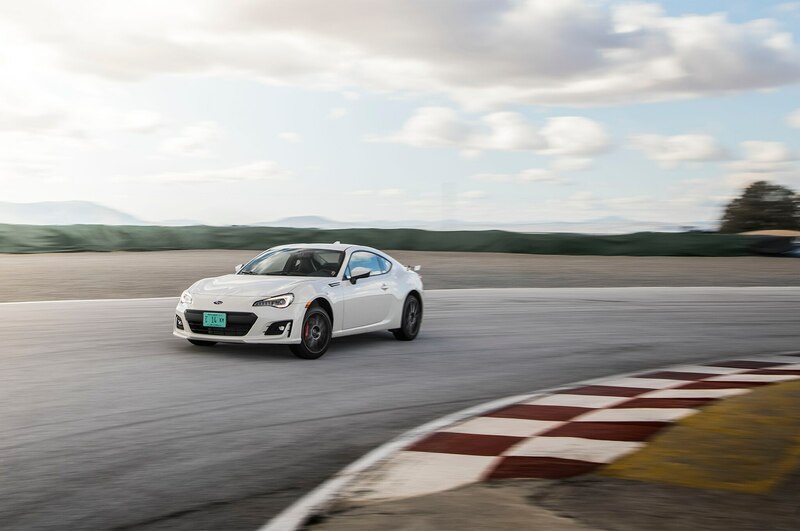 The BRZ’s great pedal positioning should make this an easy task. 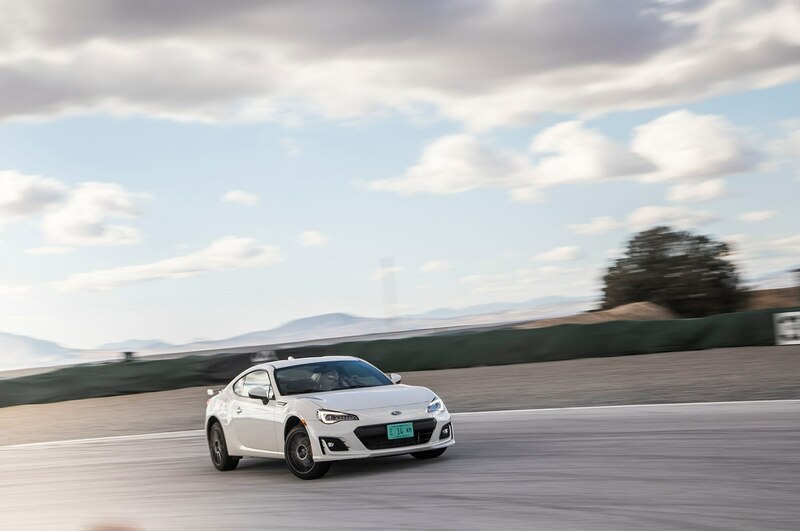 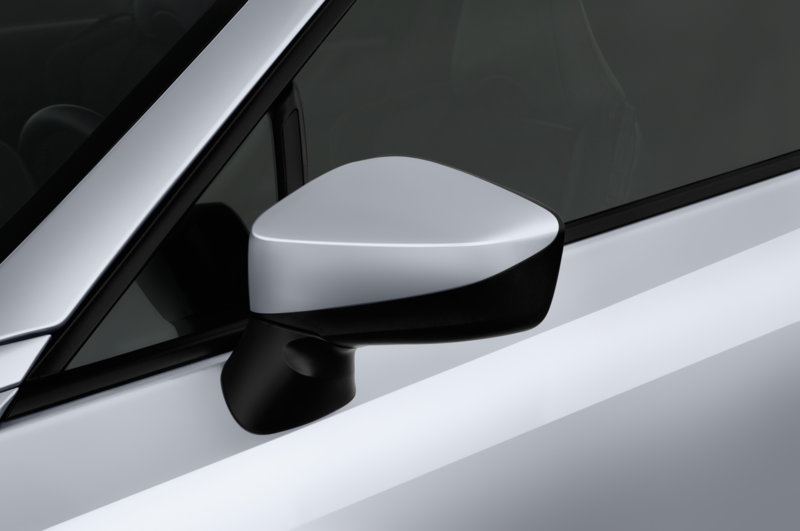 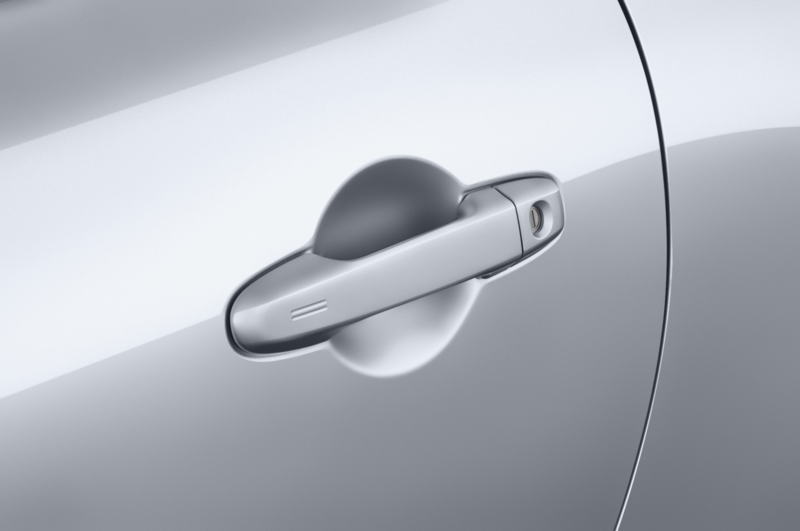 Steering is quick and responsive, though some likely would prefer it to have more weight; correcting out of an unwanted slide requires simple adjustments. 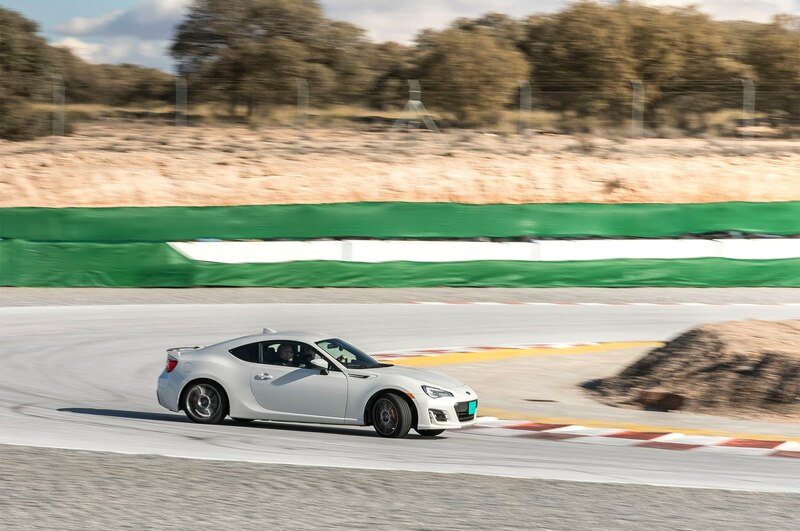 The brakes resisted fade well during our aggressive but short track sessions. 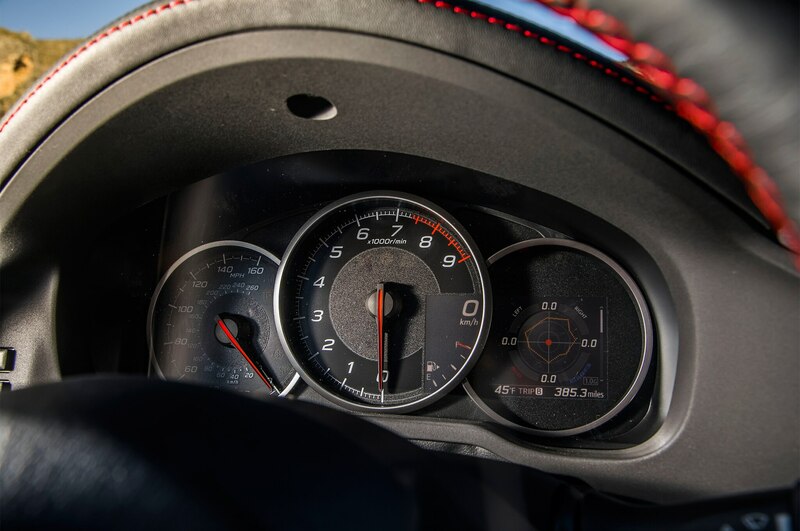 The pedal feels like mush until you bury it in the carpet, but the pressure gradient is predictable and requires only a couple of warm-up laps to get familiar with. 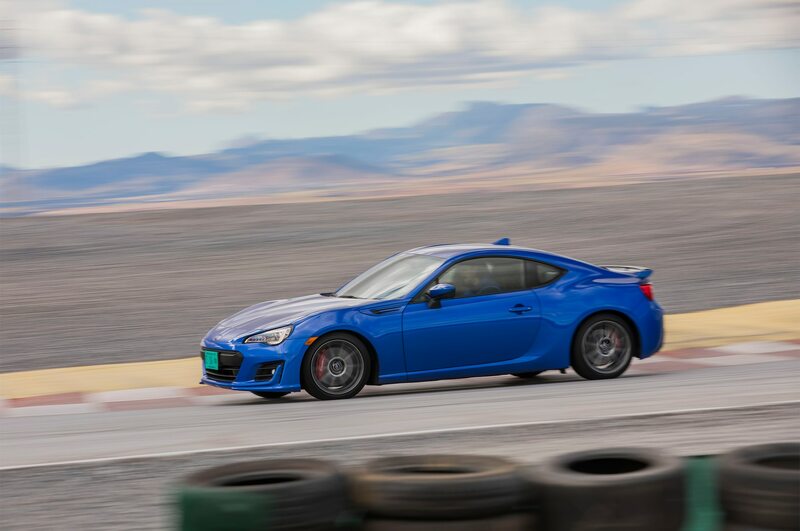 In fact, the chassis has plenty of pace left in it, but the Michelin Primacy HP tires don’t have nearly enough grip, with the rear breaking loose long before the suspension began to think about crying “Uncle.” A set of Michelin Pilot Sports or similar would do wonders for the car’s track agility. 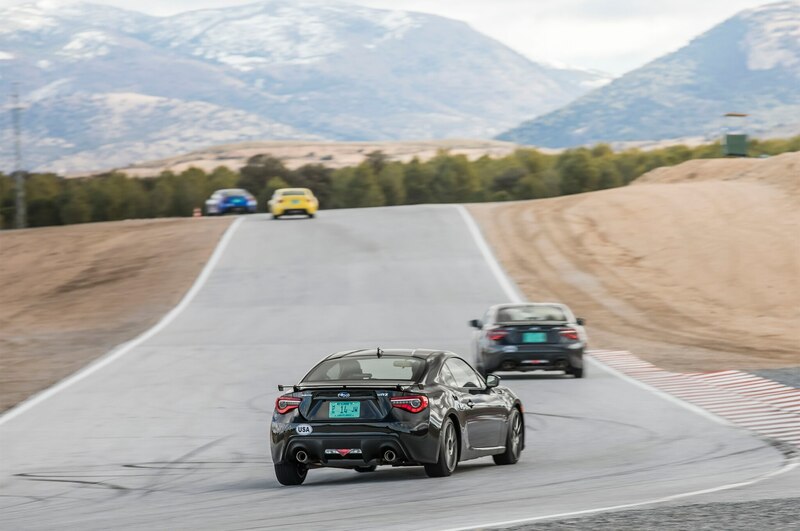 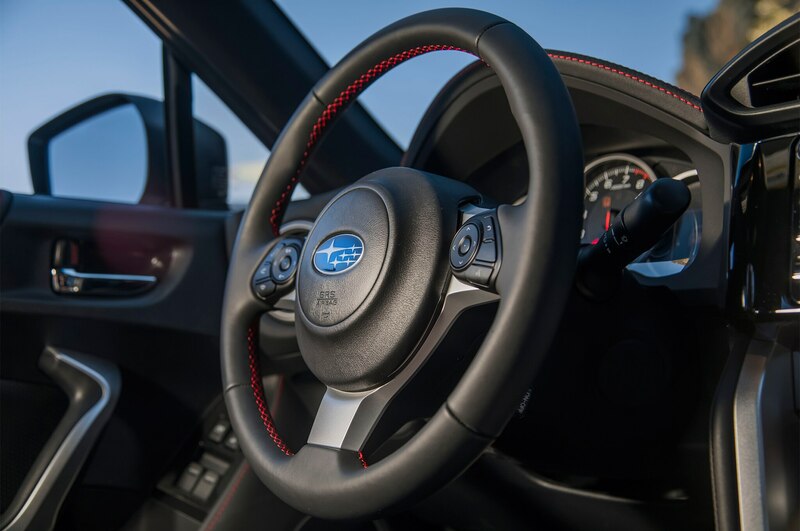 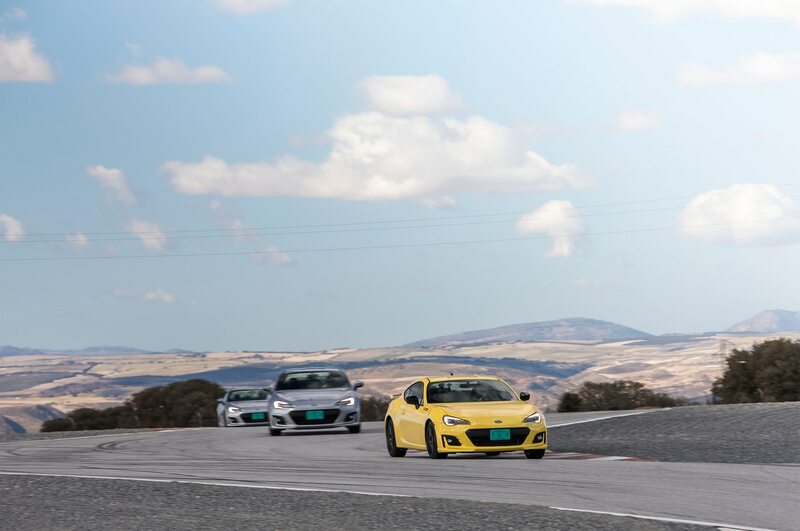 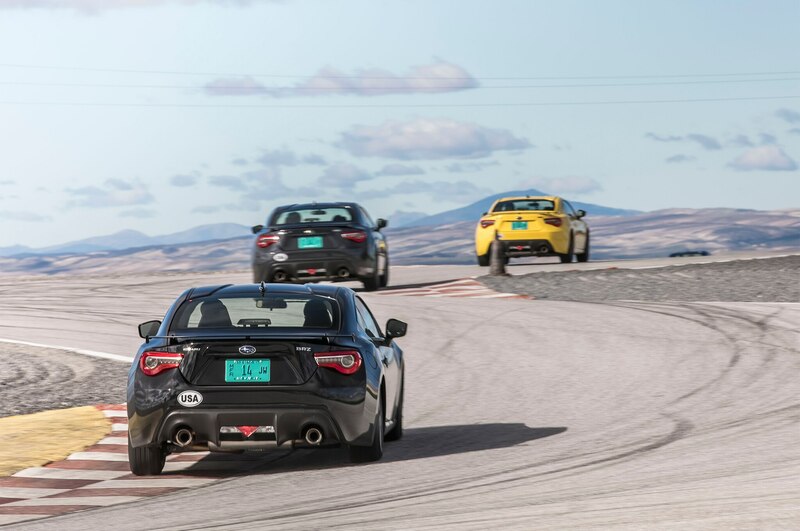 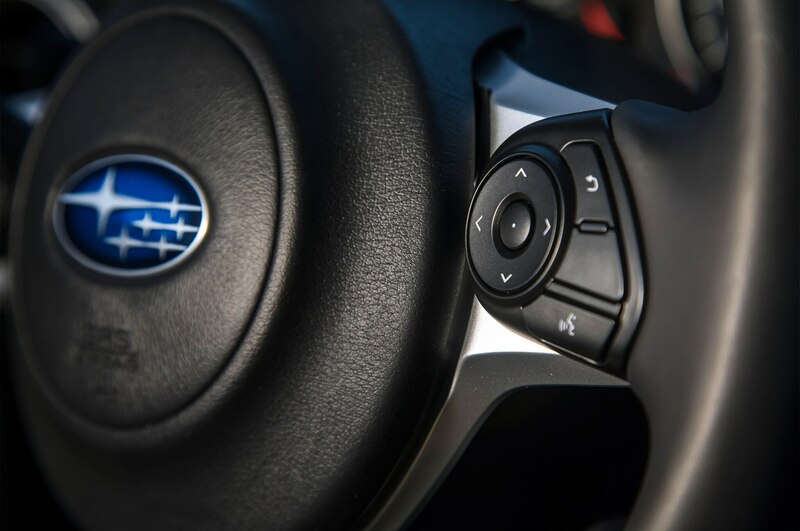 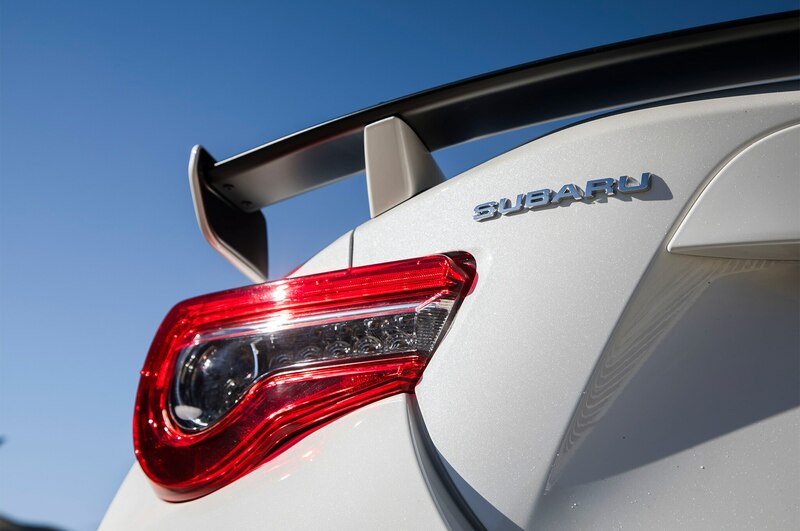 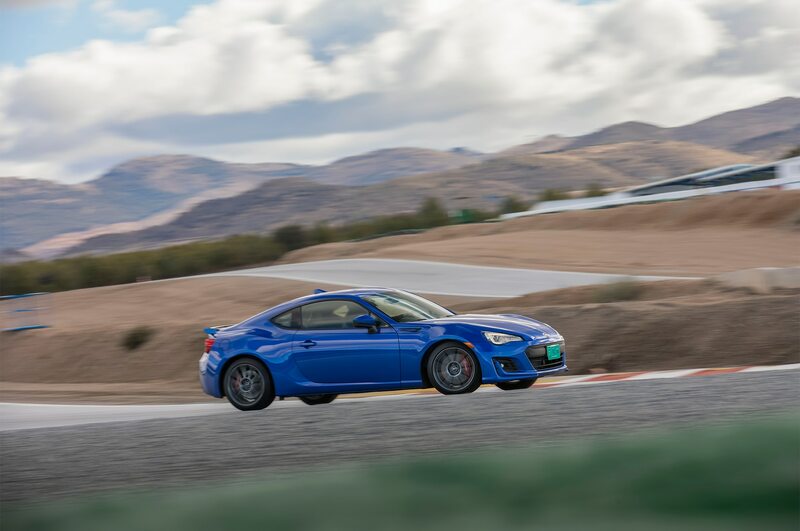 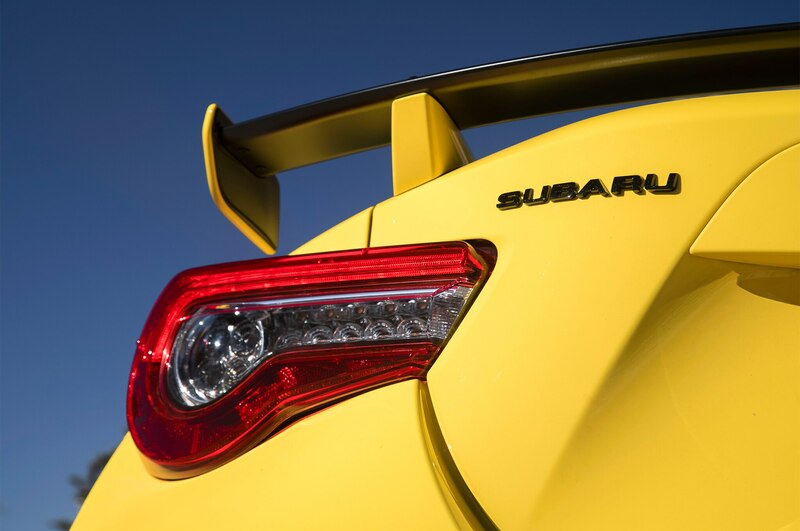 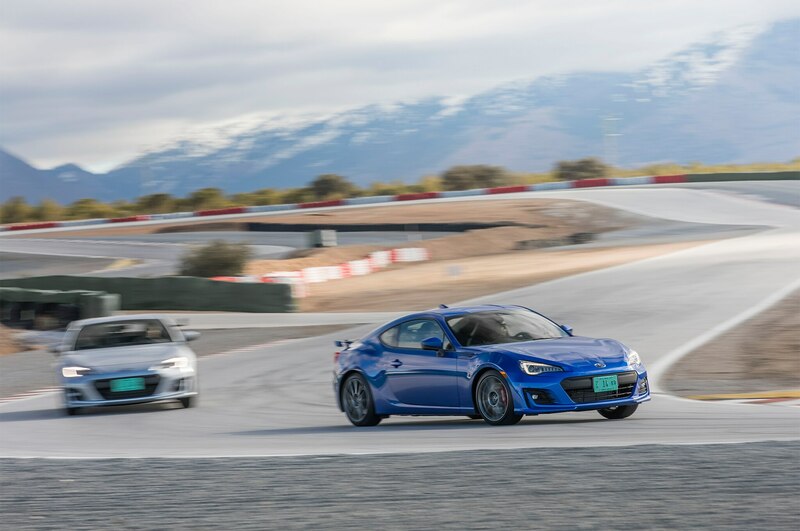 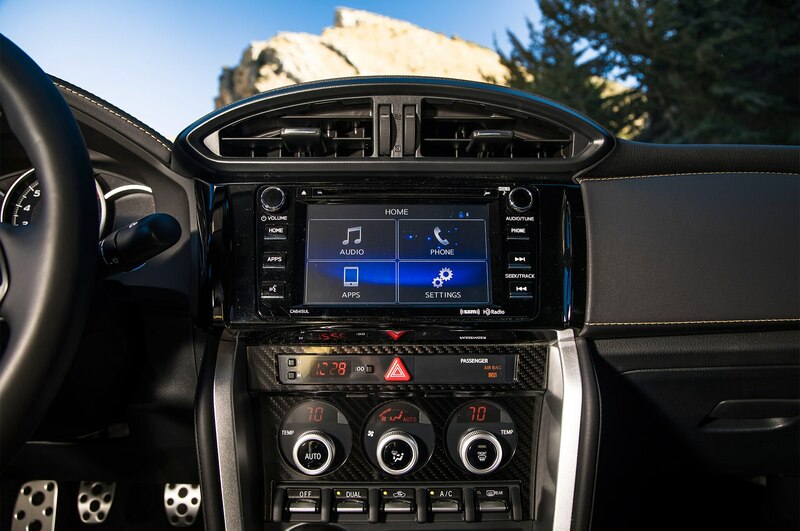 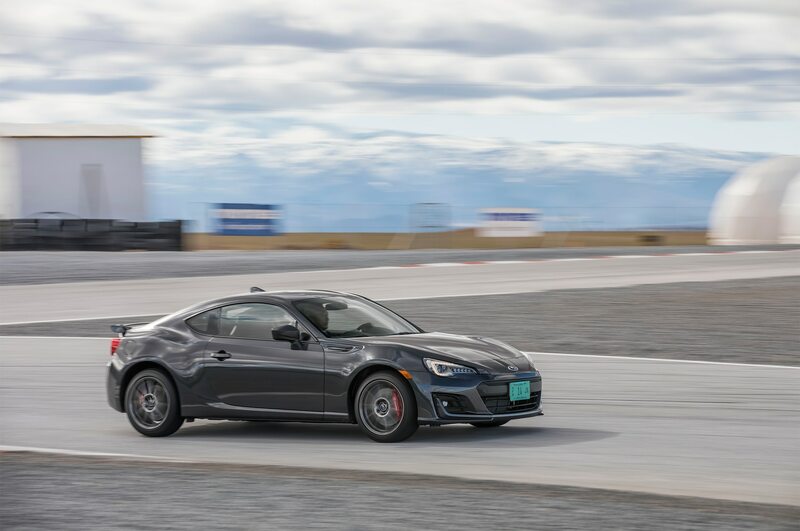 Despite the grip shortage and occasional inadvertent attempt at drifting, stability control never seemed to intervene in Track mode, earning Subaru another feather in its cap. 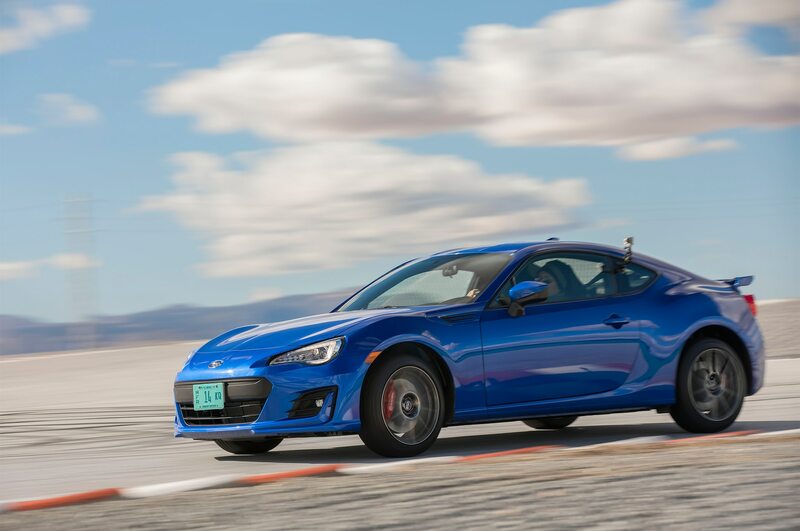 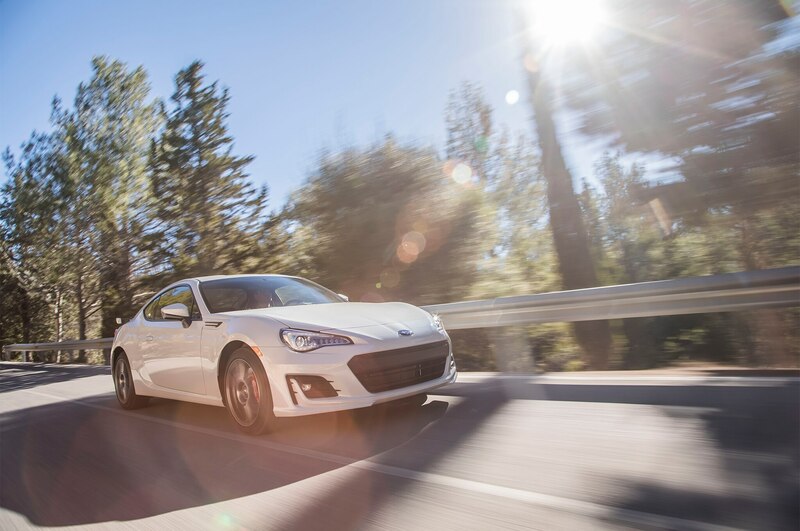 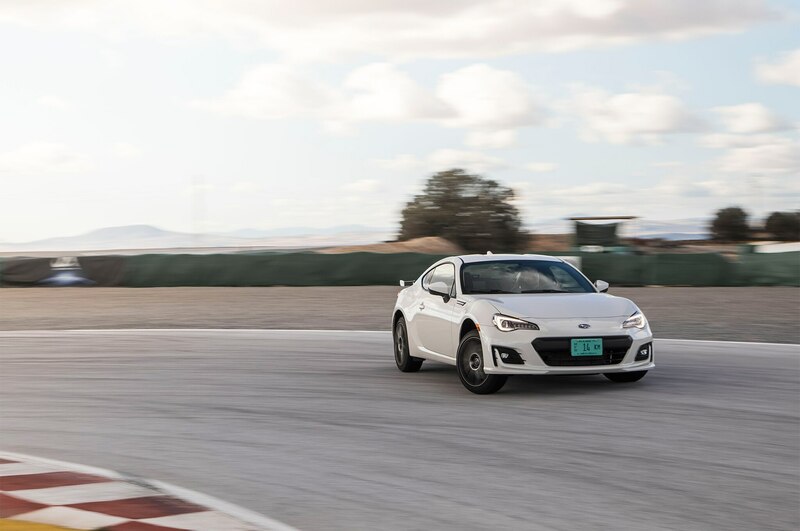 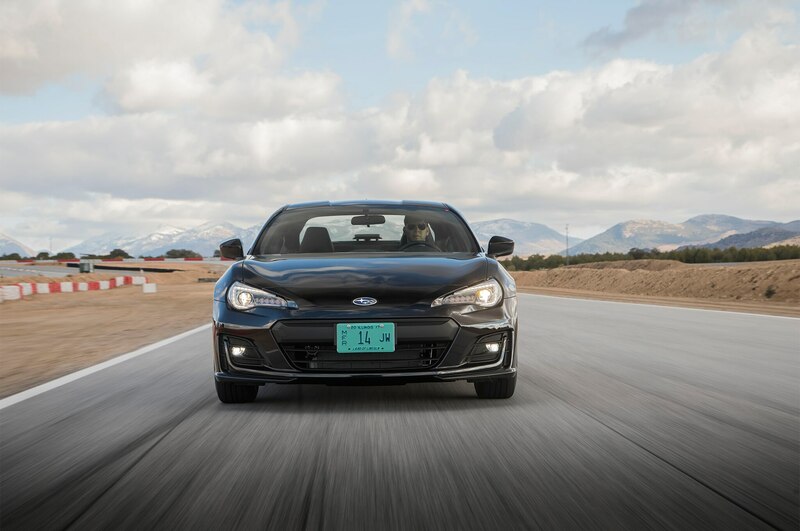 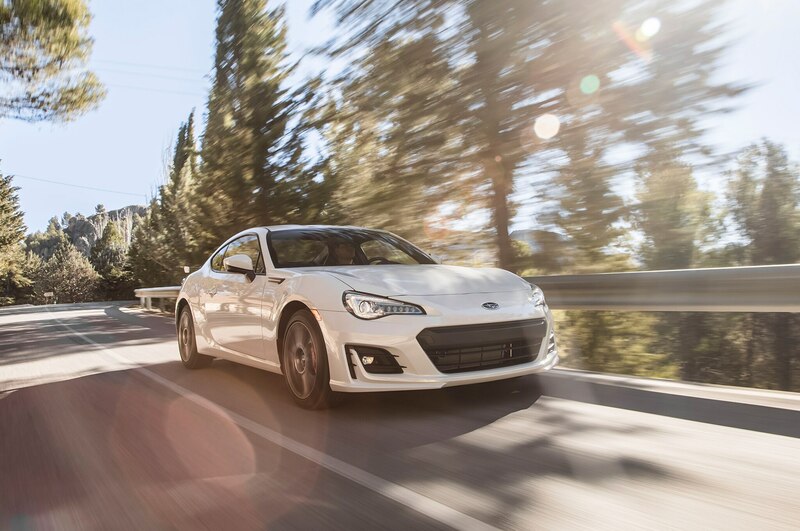 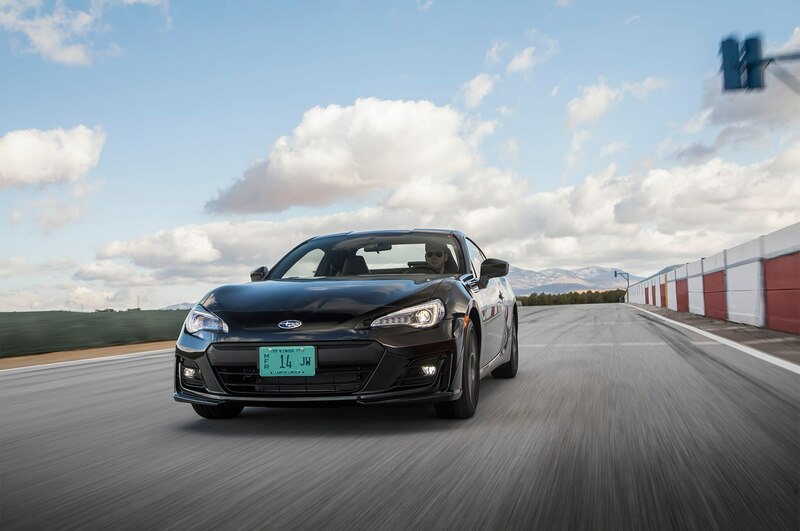 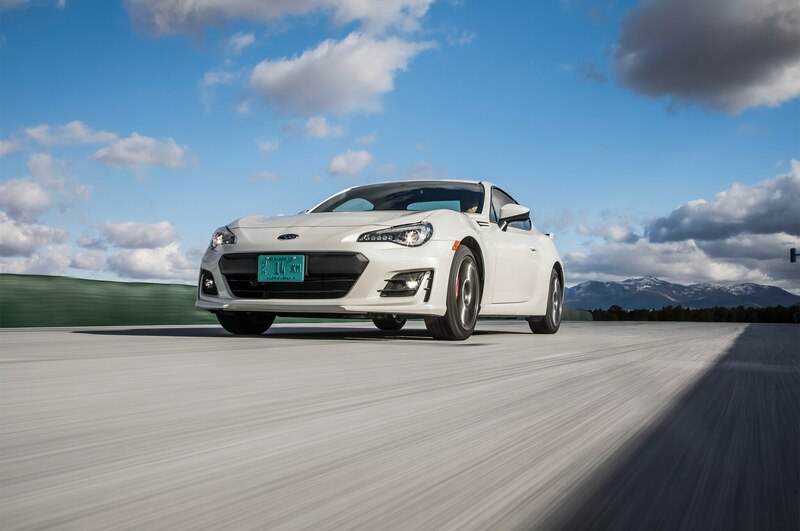 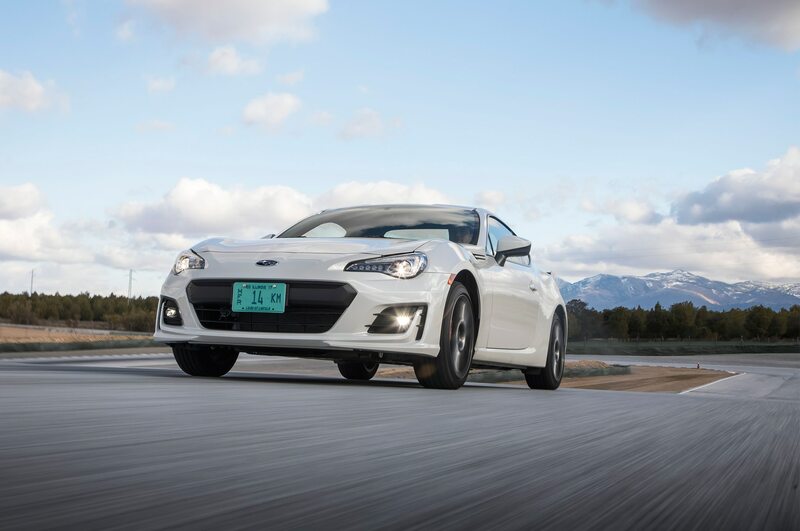 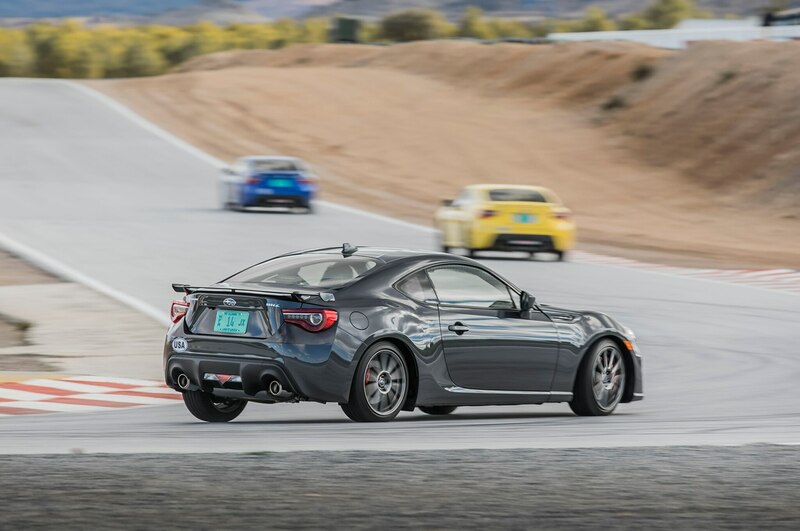 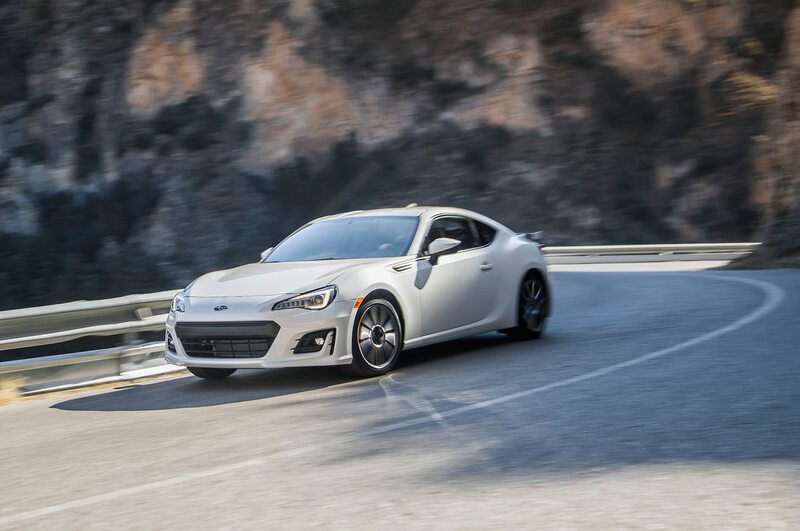 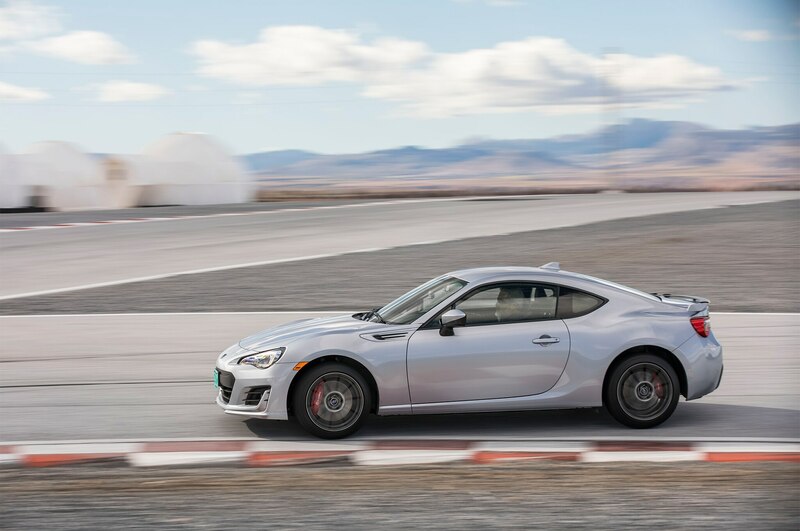 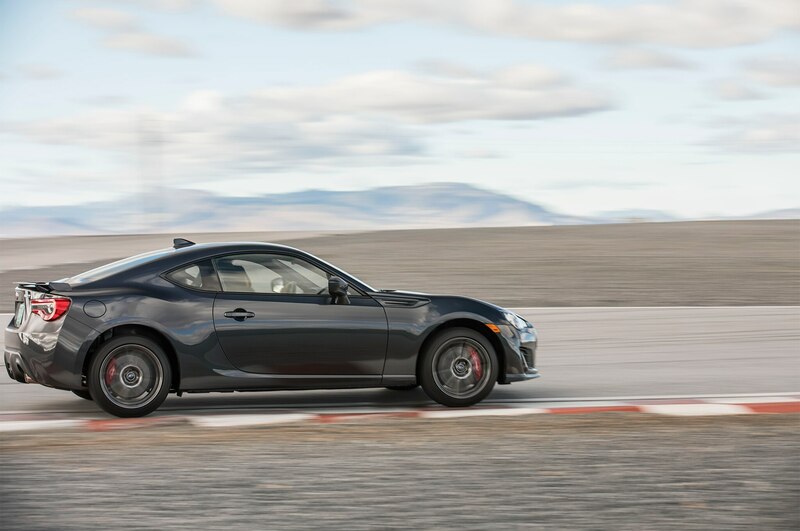 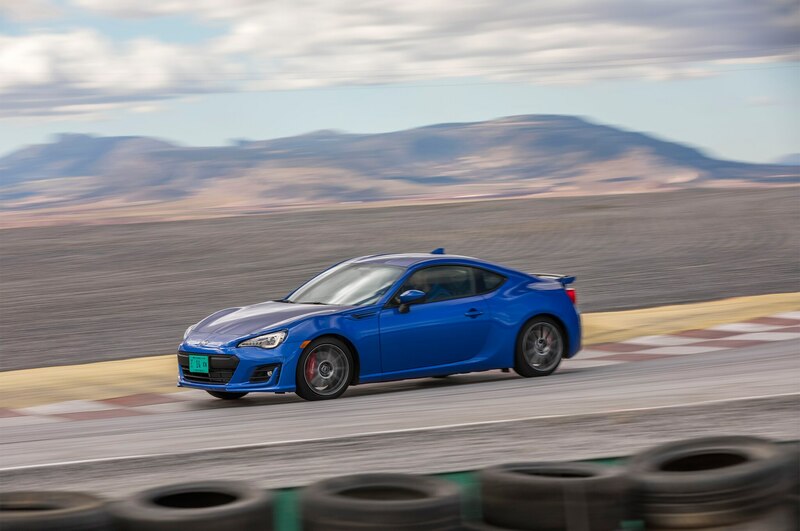 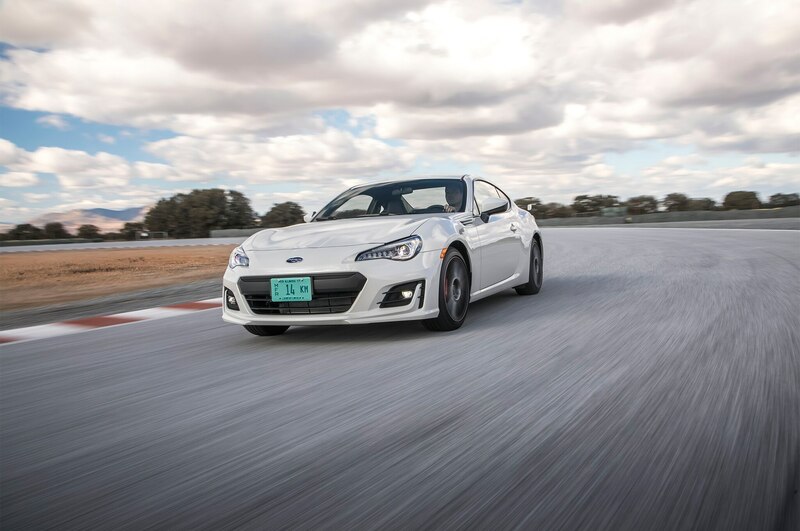 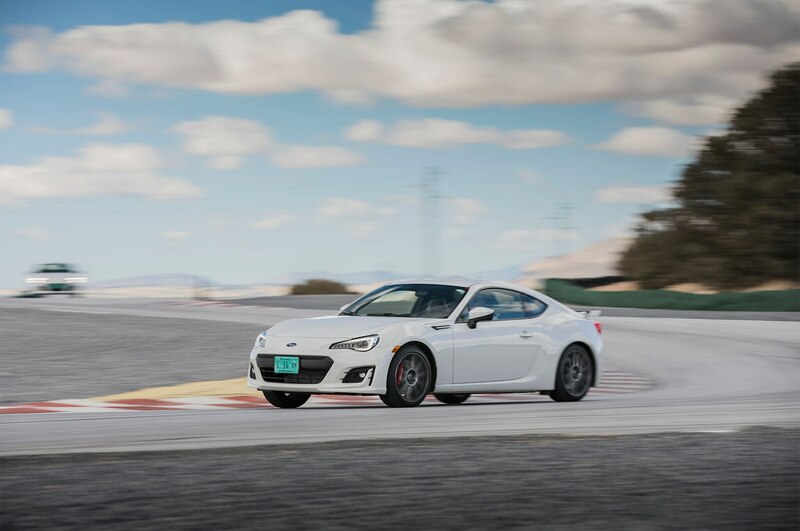 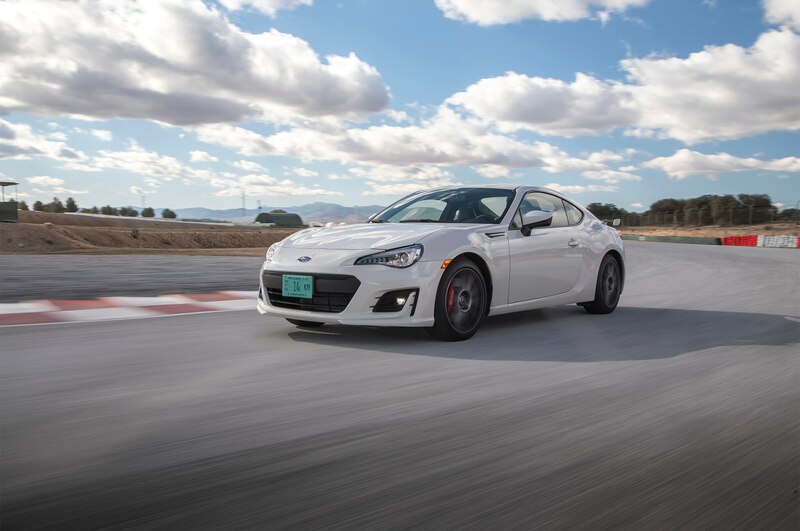 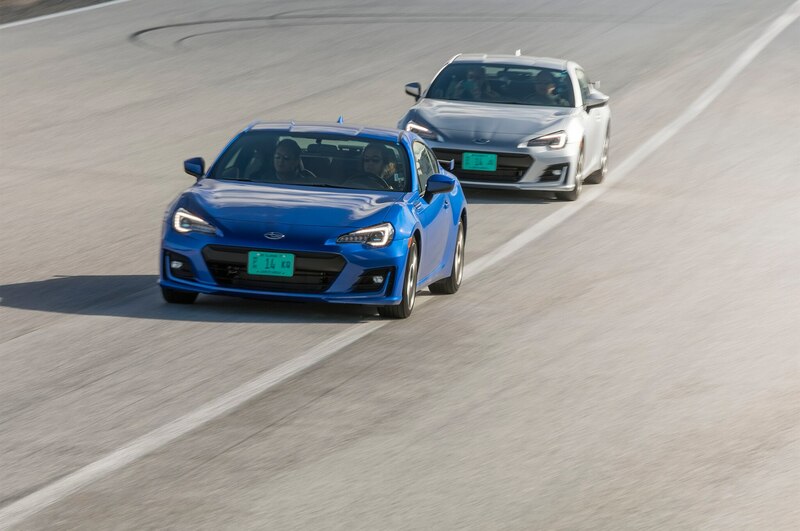 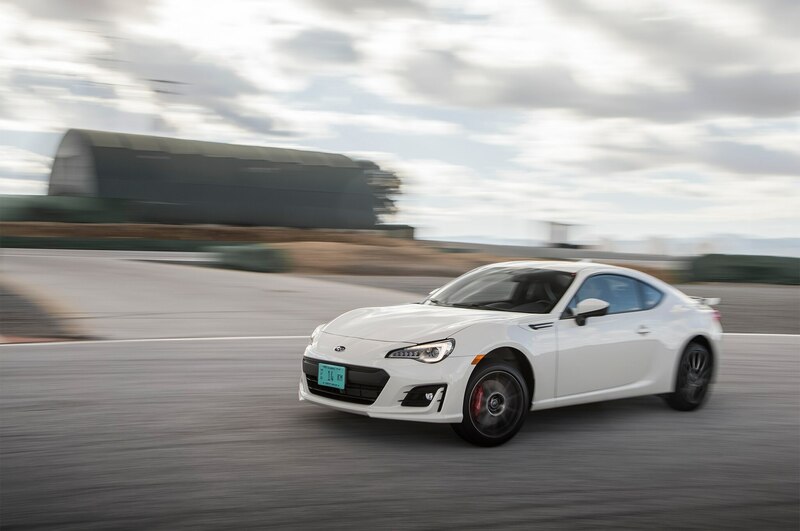 Without a back-to-back test against a 2016 BRZ, it’s impossible to gauge just how improved the 2017 version is. 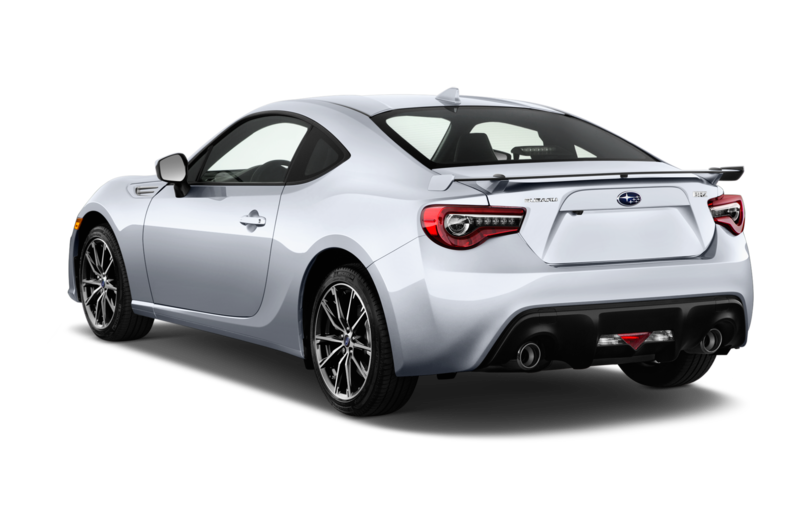 The same goes for the regular 2017 BRZ versus the Performance Pack. 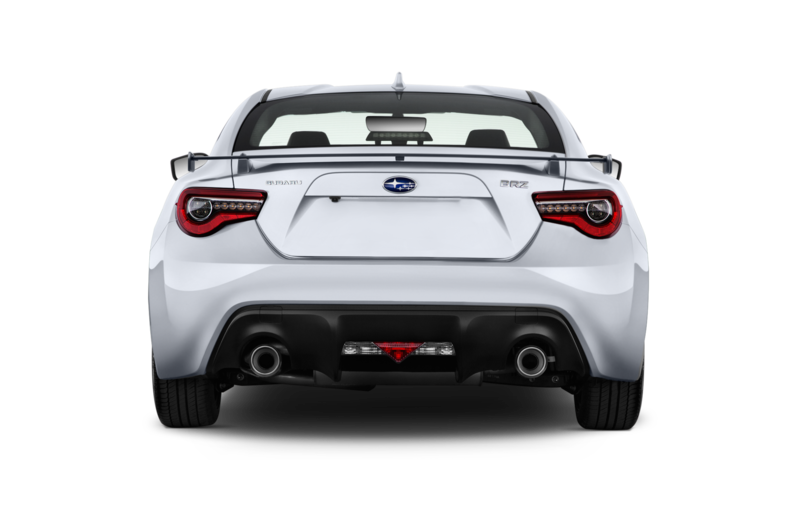 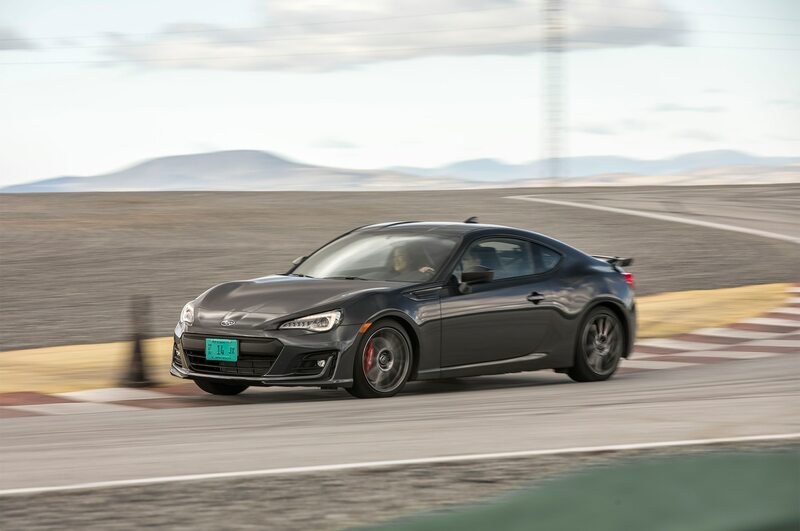 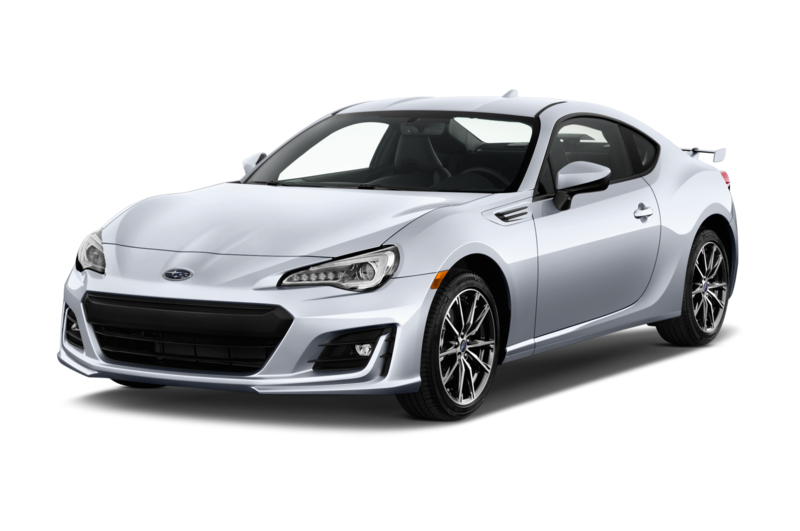 That said, when looked at in a vacuum, the 2017 BRZ with Performance Pack is one of the most fun-to-drive cars on the market for less than $30,000, alongside Mazda’s Miata, which forces the owner to sacrifice even more practicality (a fact at least partially responsible for the Miata’s geriatric median buyer age of 60, according to data from Maritz Research’s 2016 New Vehicle Customer Study; the BRZ’s, meanwhile, is a youthful 36). 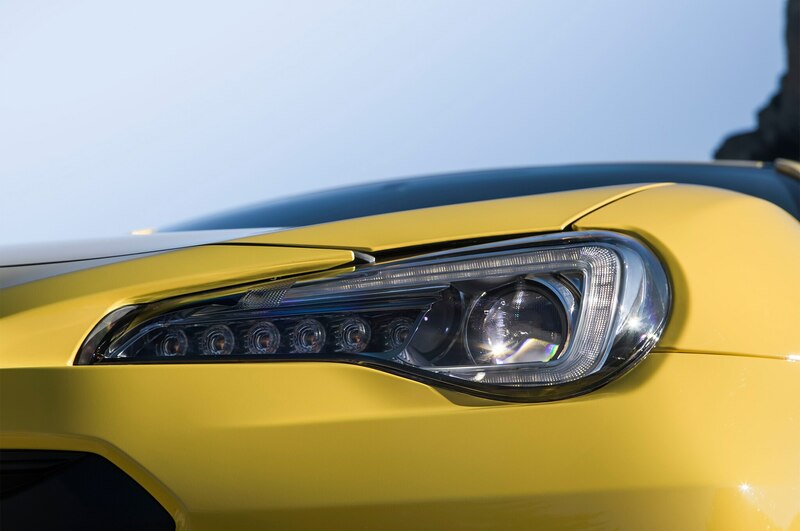 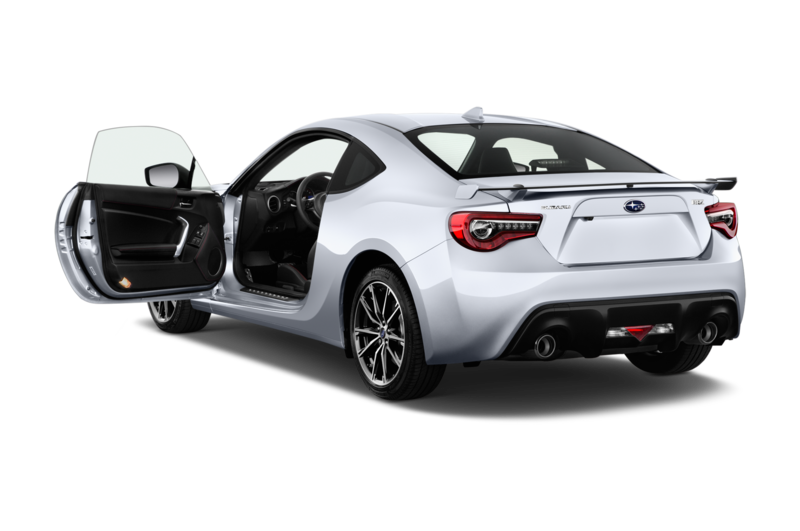 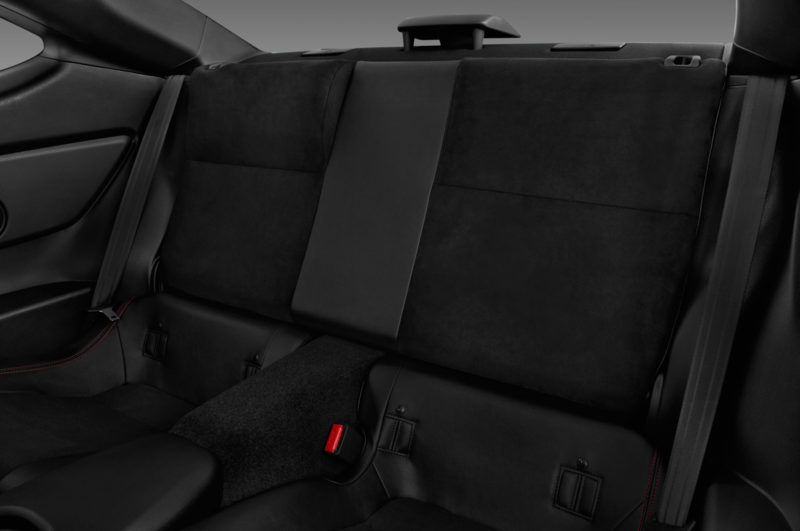 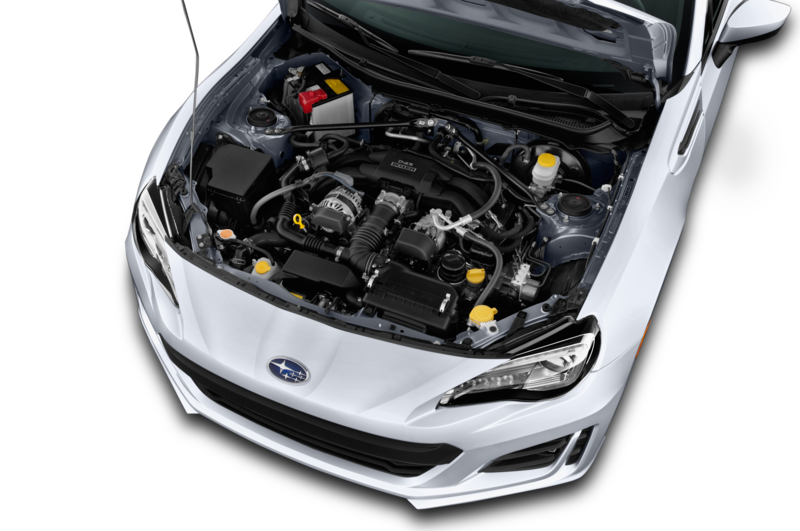 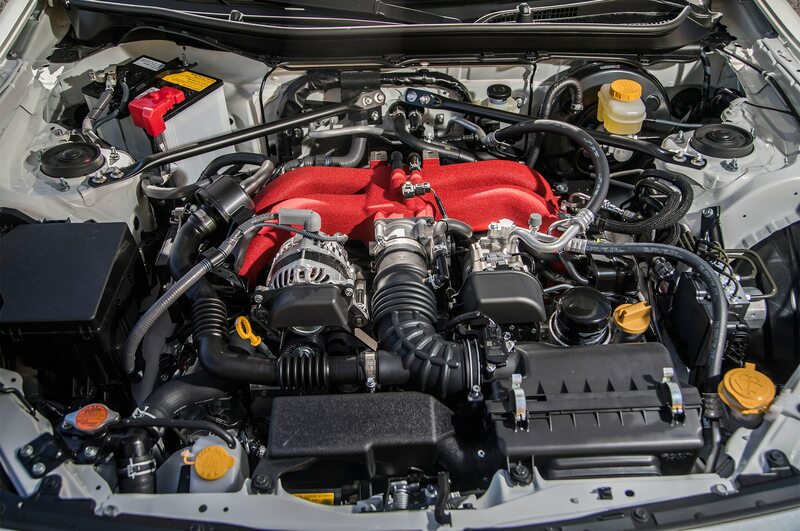 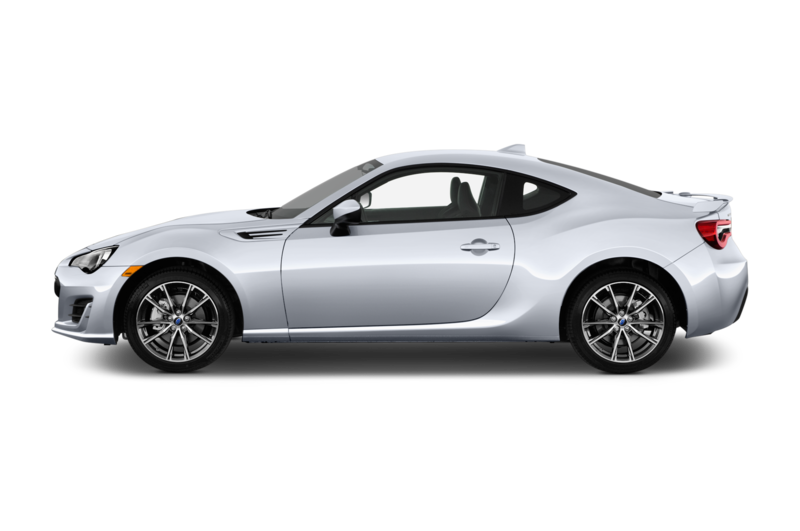 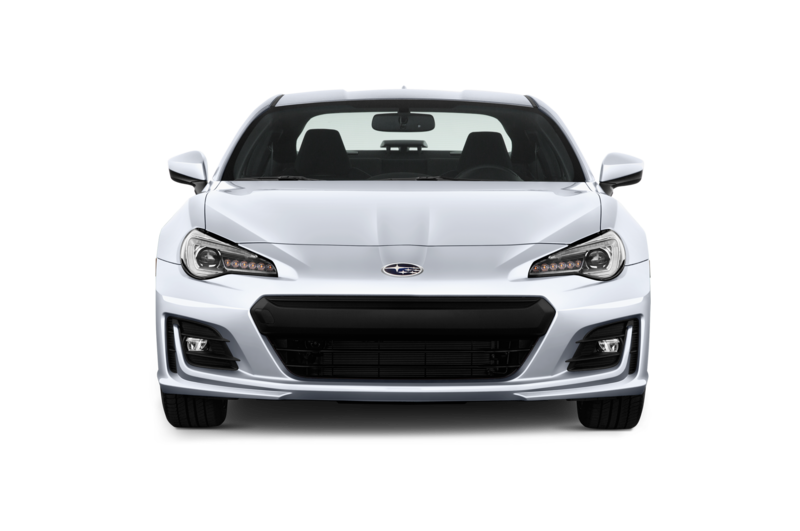 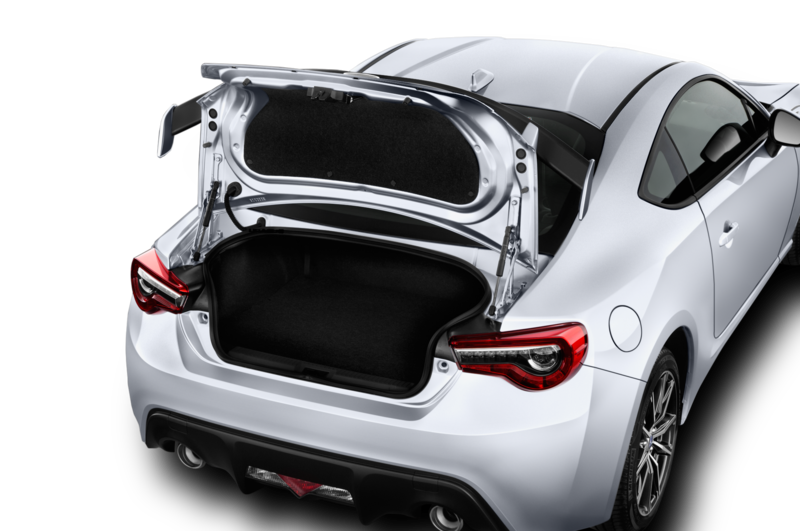 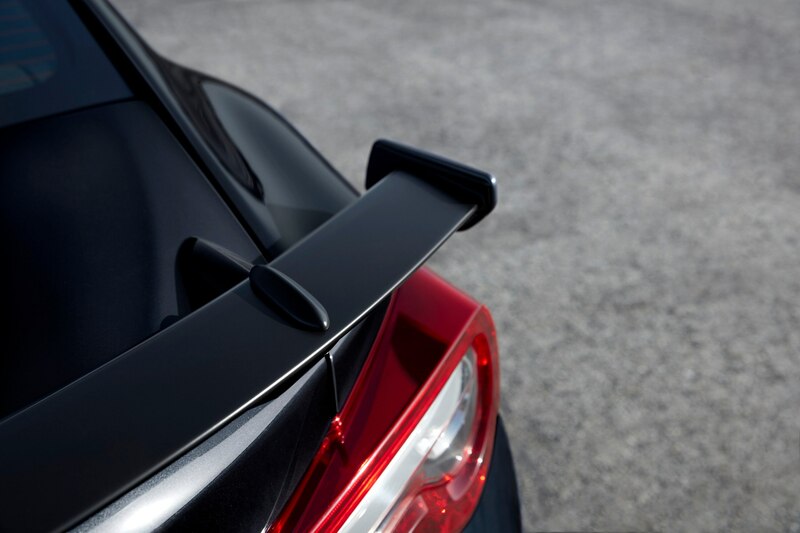 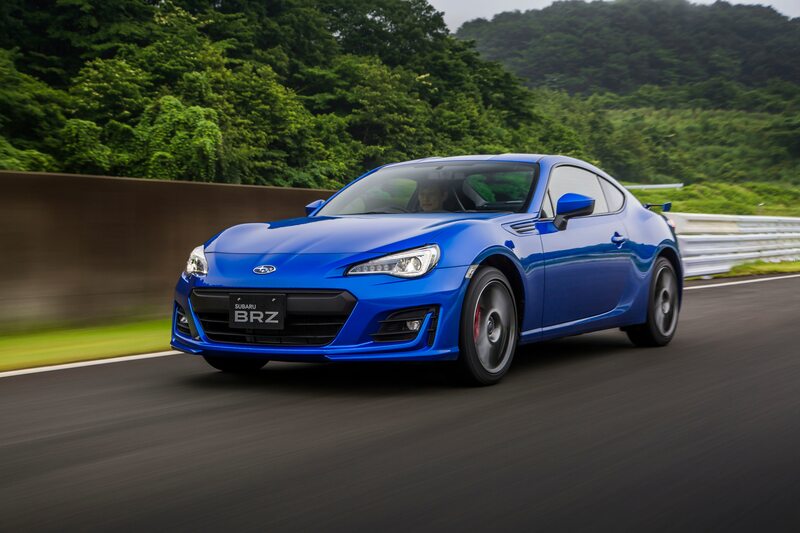 You’d be silly to skip the Performance Pack if you’re already looking at a BRZ Limited. 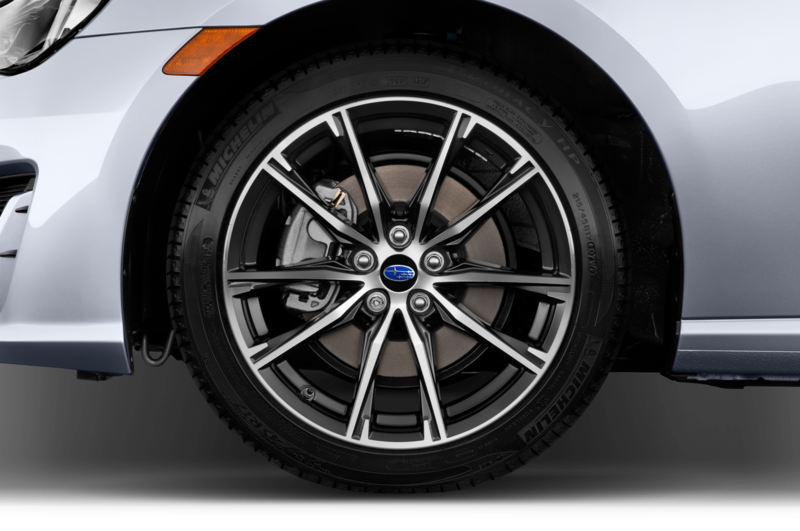 If only a performance-tire package existed. 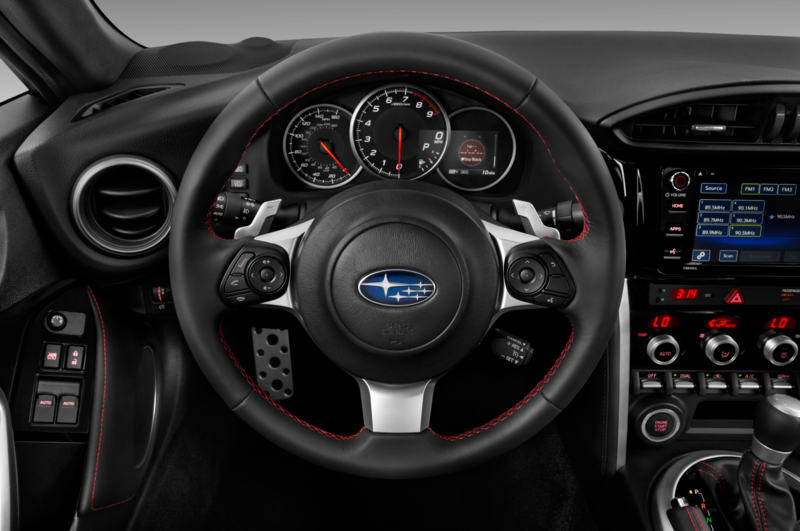 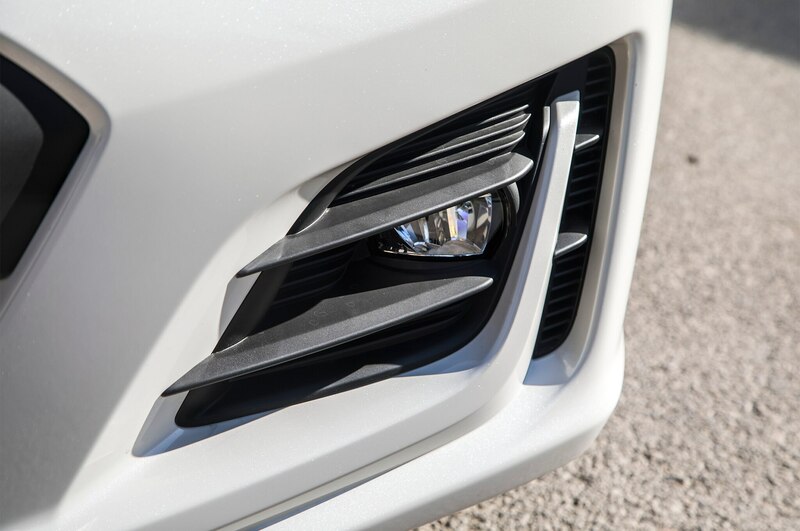 And while Subaru’s at it, maybe it should add a turbo option. 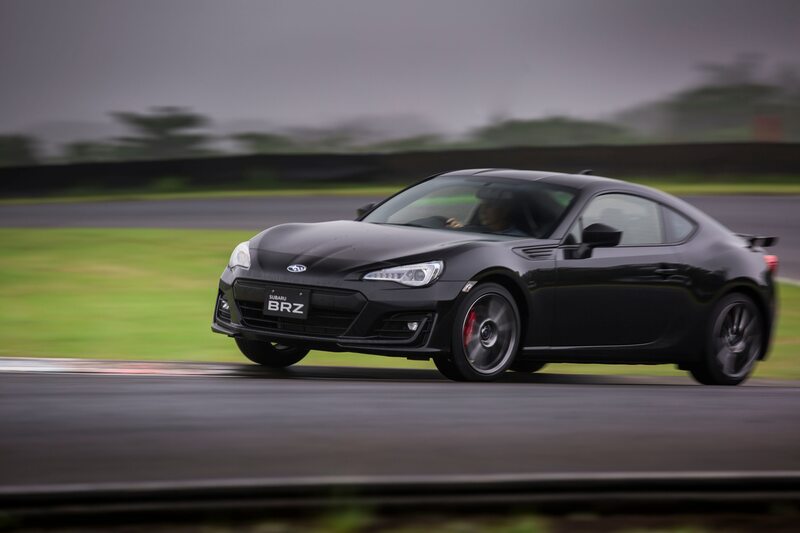 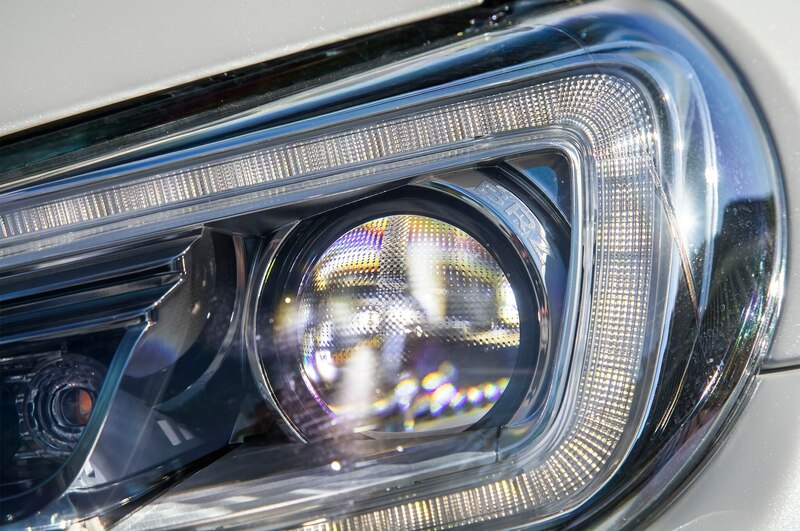 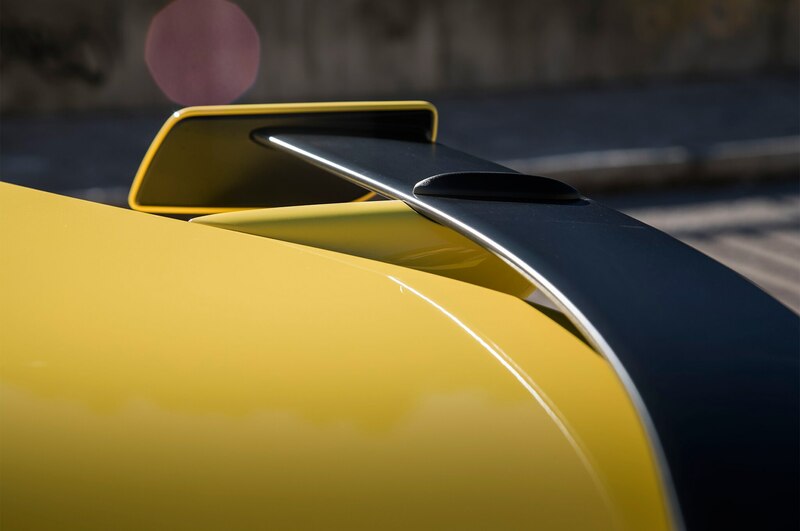 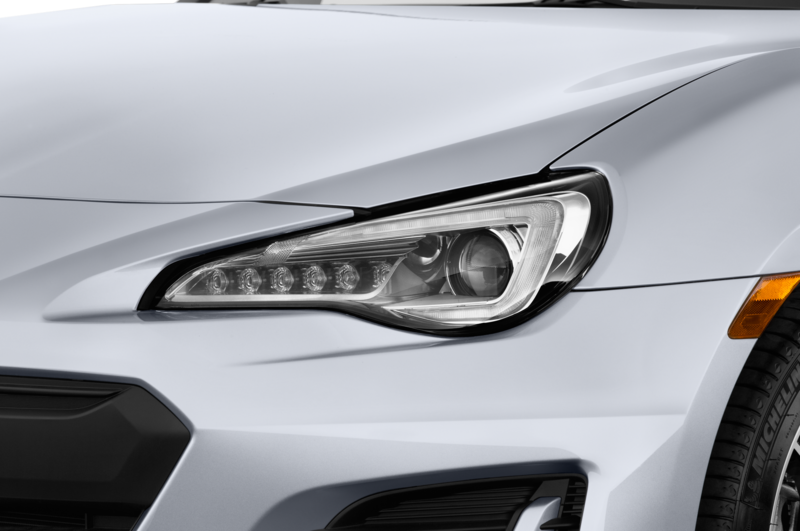 Subaru hinted something special is coming for 2018, but if you’re keen on acquiring a BRZ this year, there’s no reason to push off your purchase. 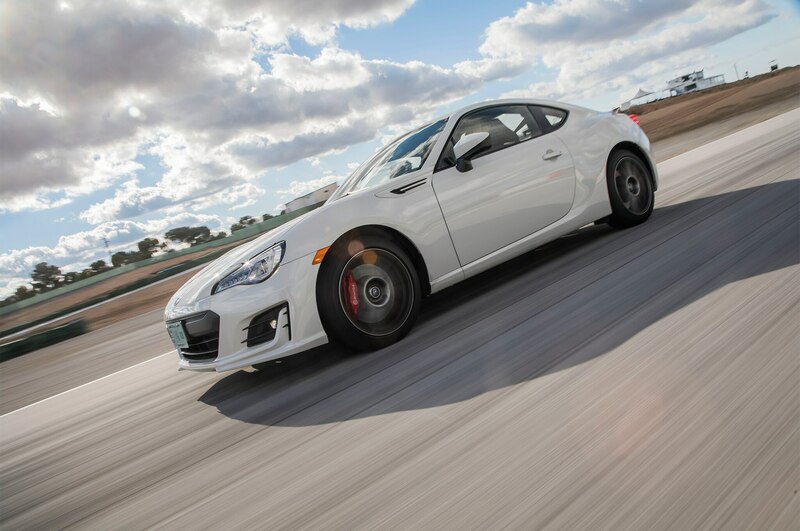 Tires are easy to change, after all, and as for the turbo, you may end up waiting for a day that never comes.